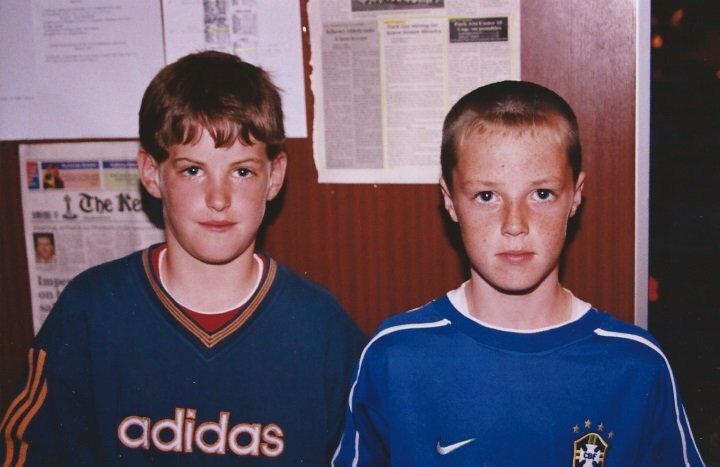 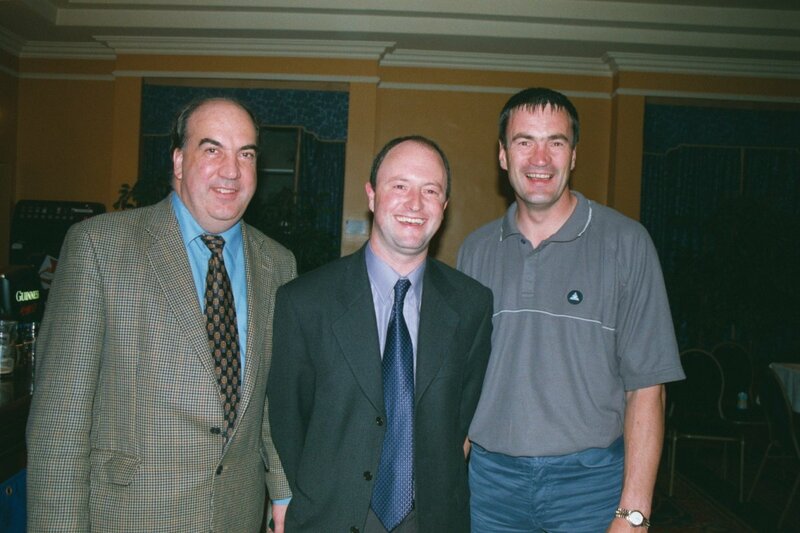 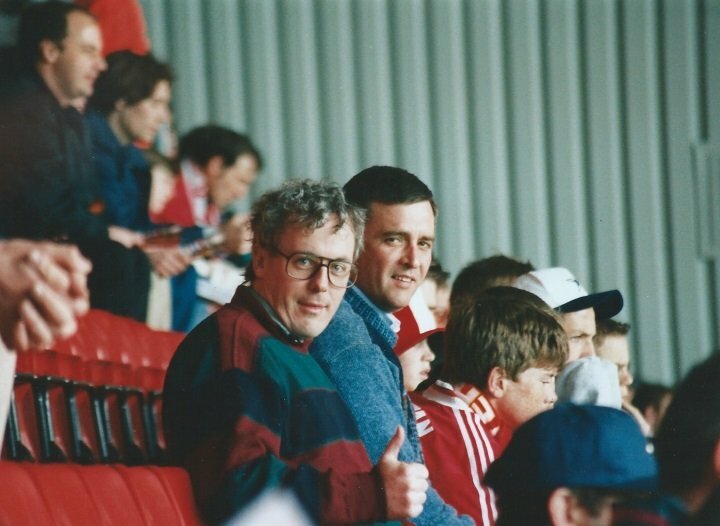 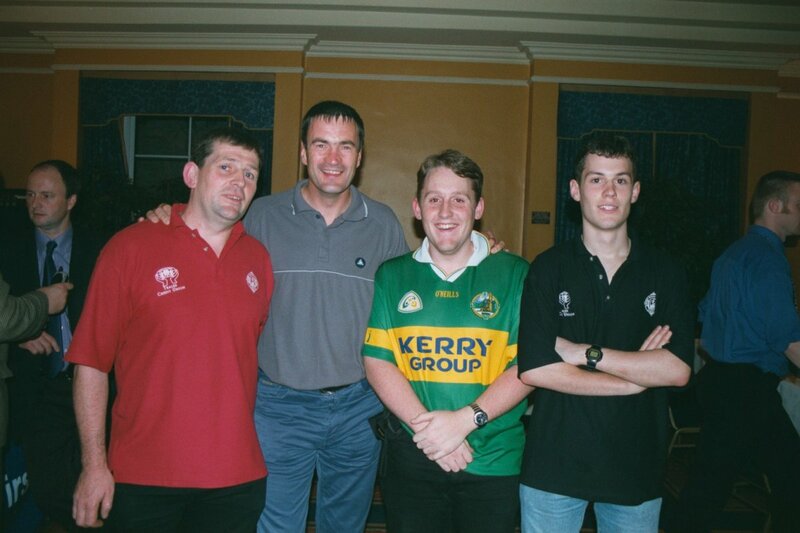 #12 , Con Barrett , Mark O'Sullivan , ? . 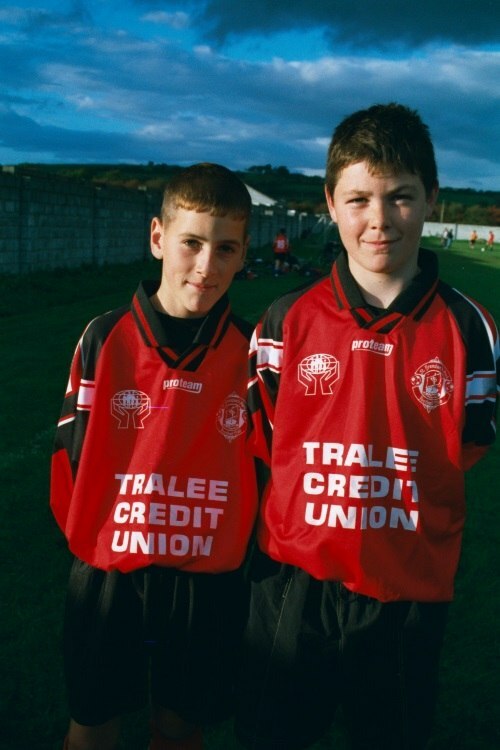 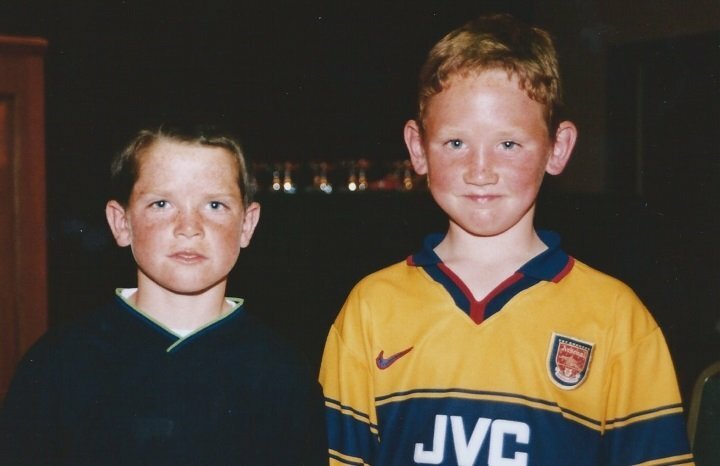 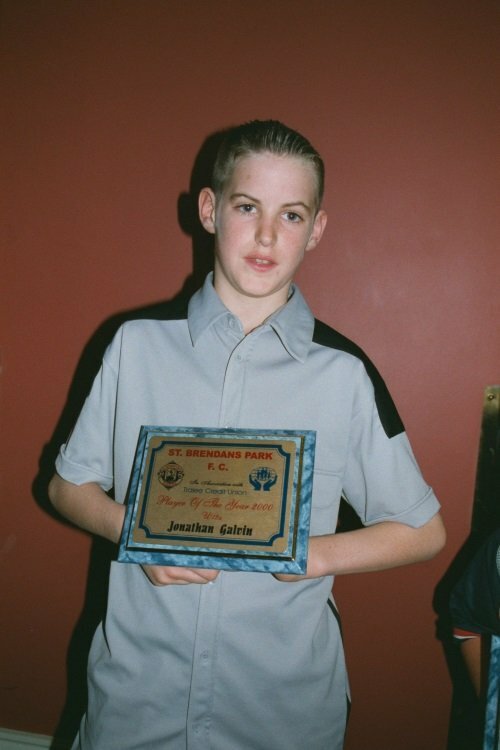 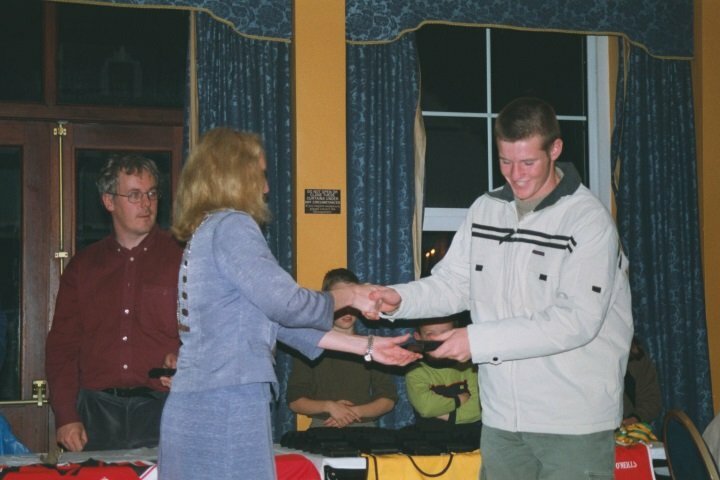 #32 , Jonathan Galvin & ? 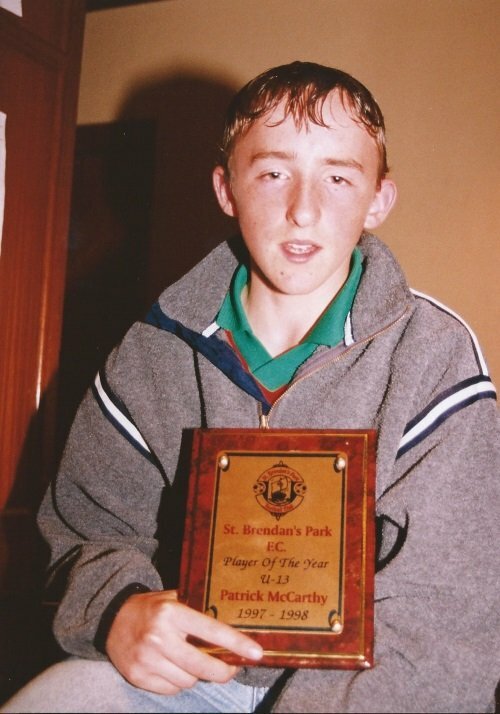 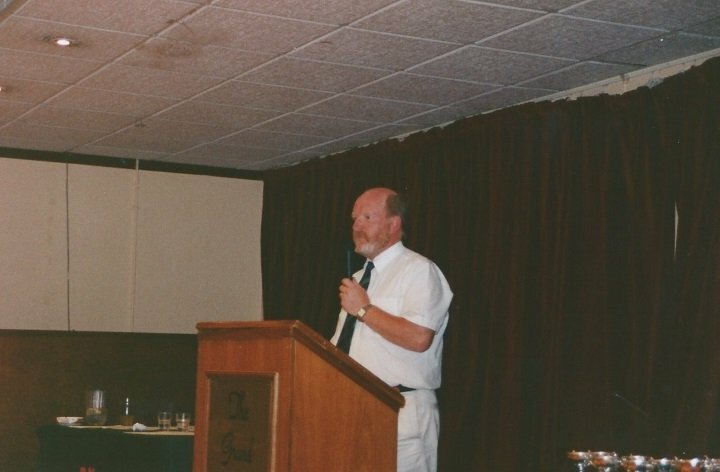 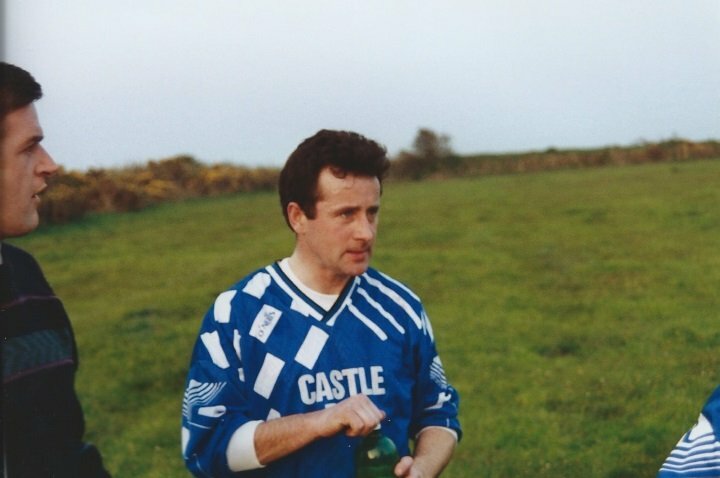 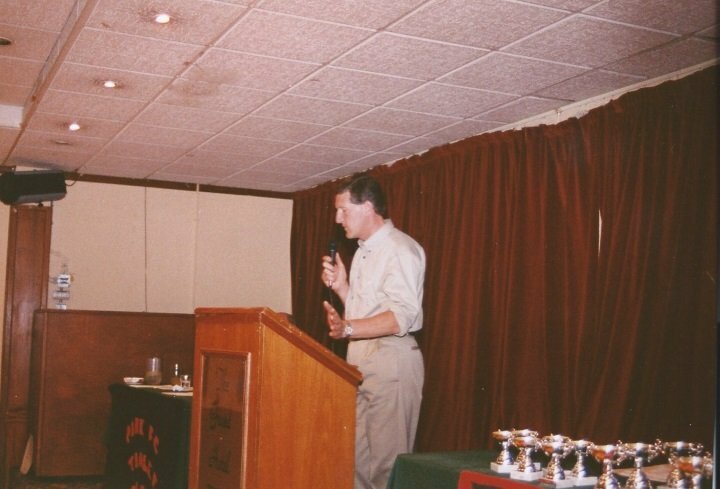 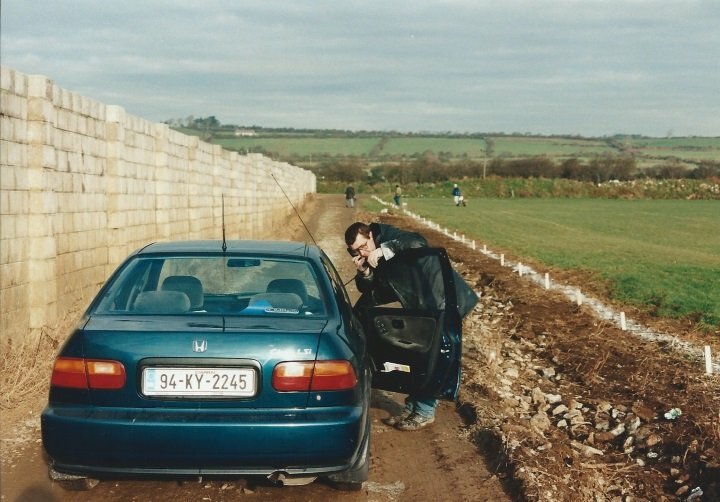 #36 , Pa McCarthy 1994 . 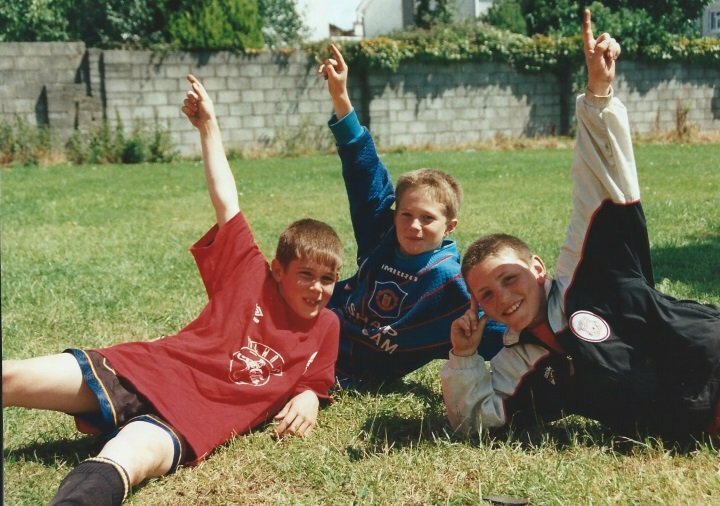 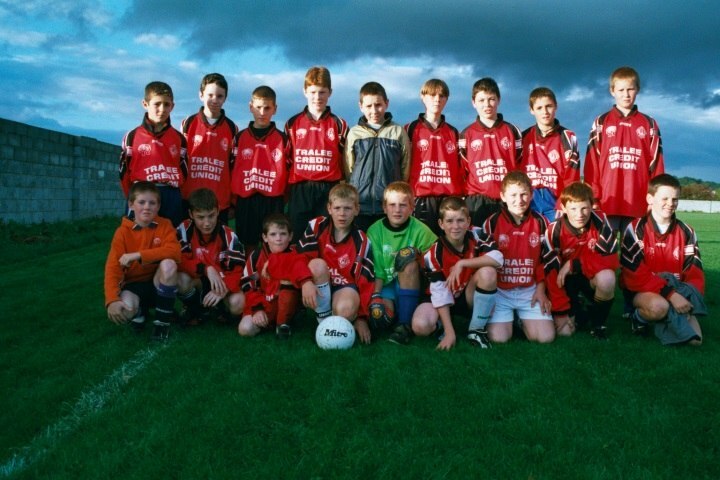 #41 ,u12 October 1996 , Back - Brian Mulcahy , Dermot Raggett , John McGillycuddy . 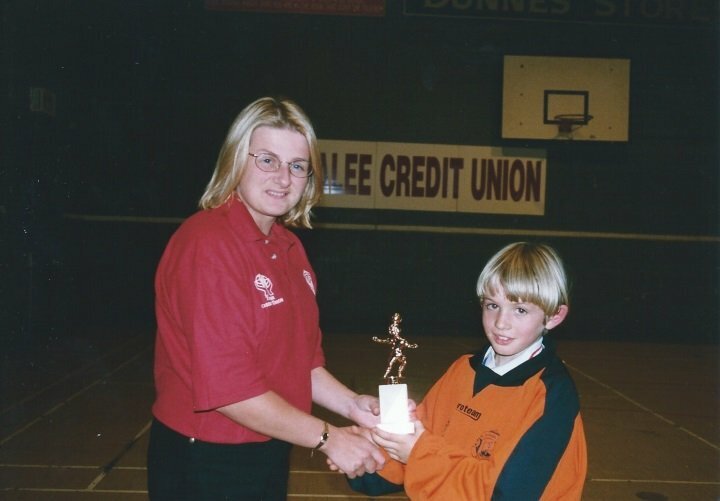 Front- Francis Quike , Colin Looney . 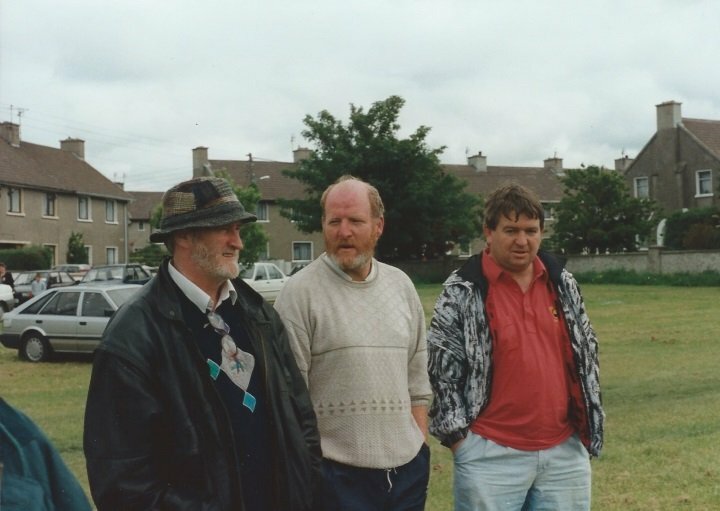 #41 , u12 October 1996 , Back - Brian Mulcahy , Dermot Raggett , John McGillycuddy . 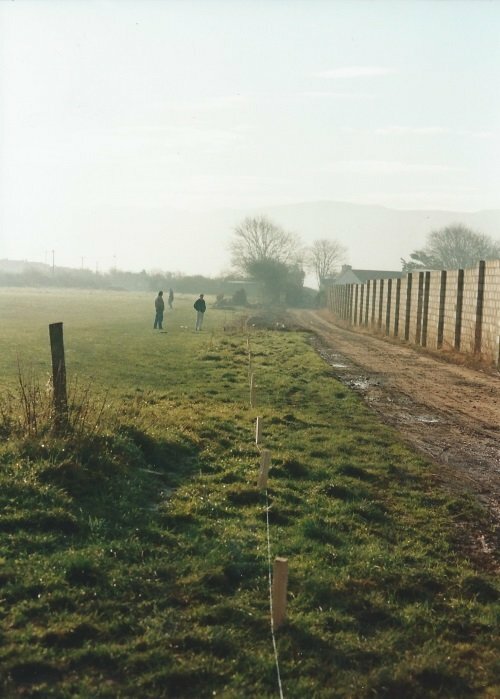 Front- Francis Quike , Colin Looney . 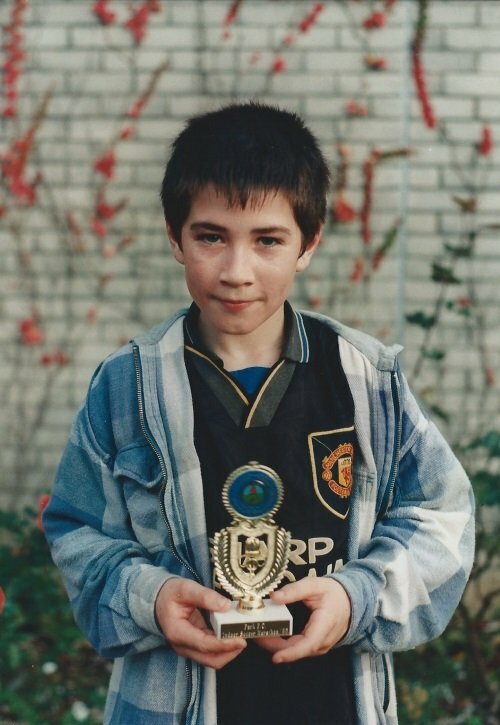 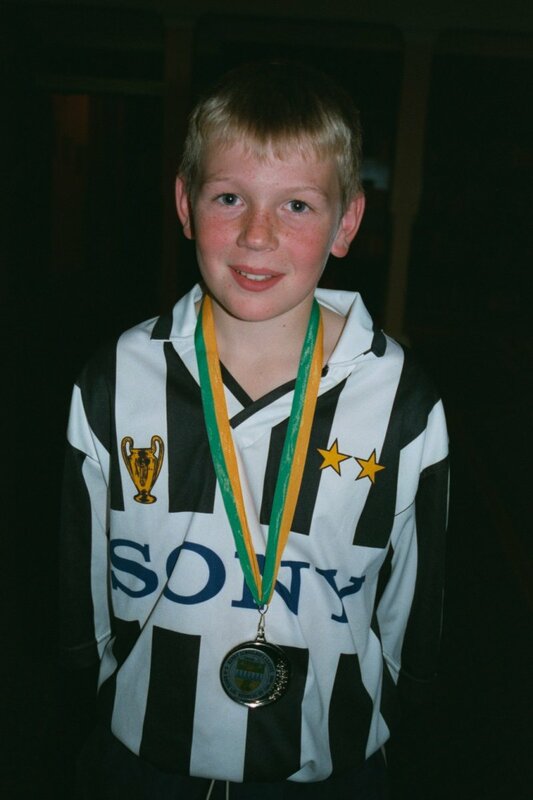 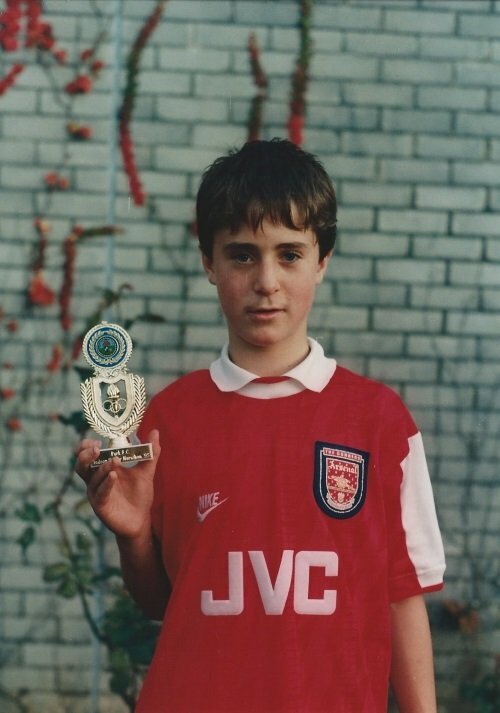 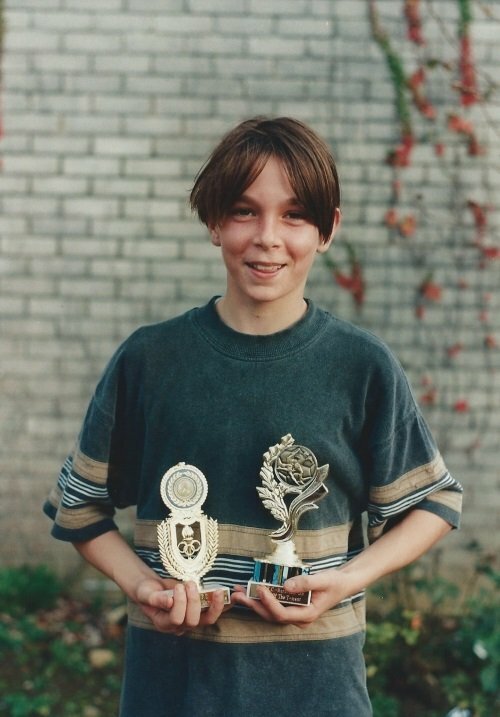 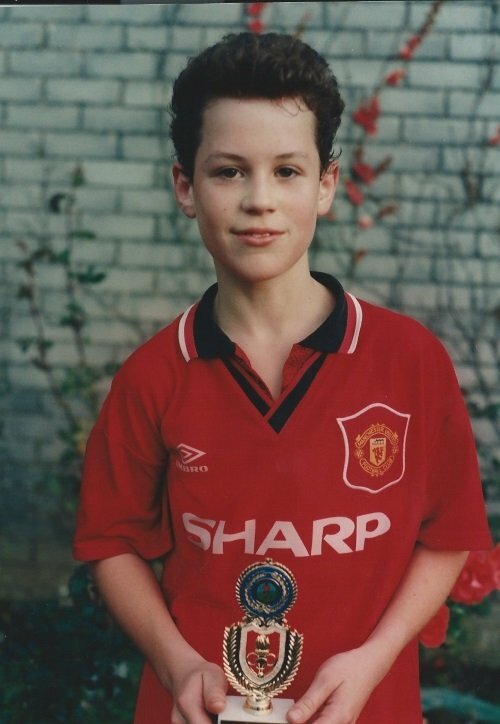 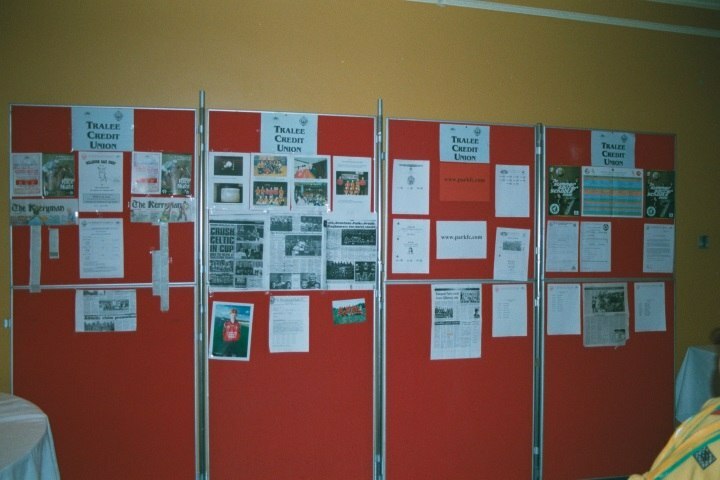 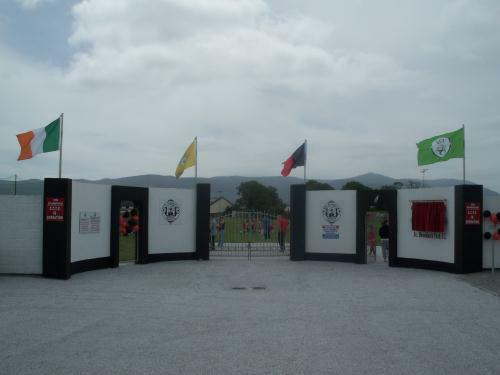 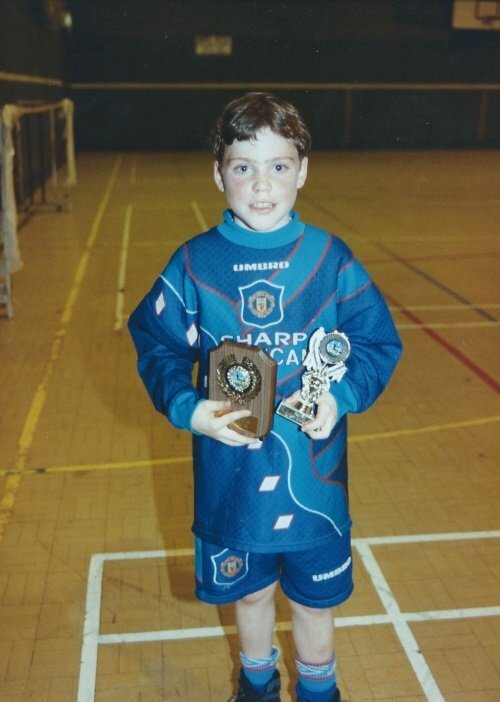 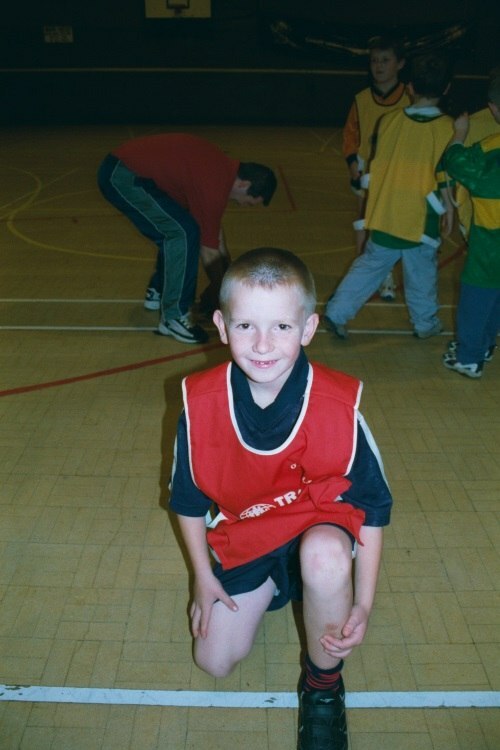 #85, U14 October 1996 , U14 October 1996 . 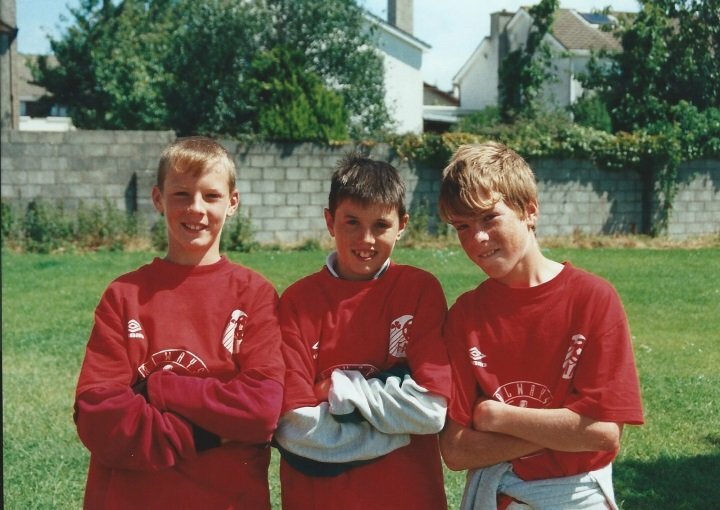 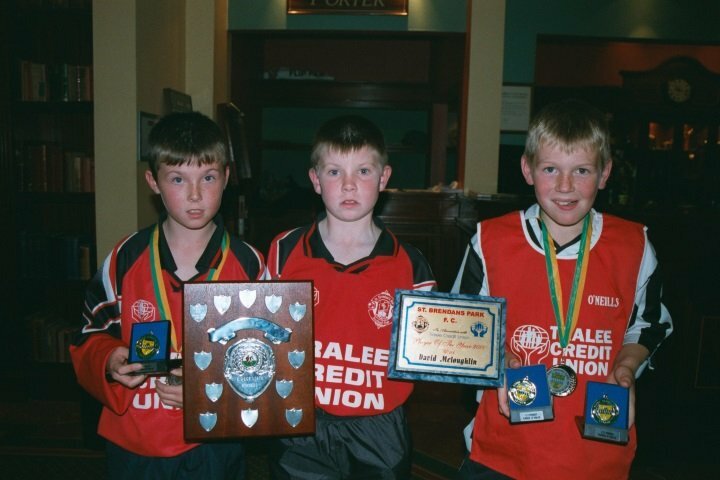 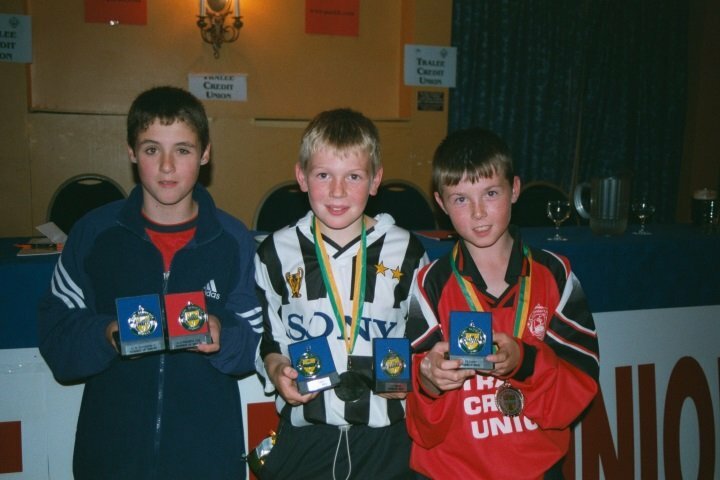 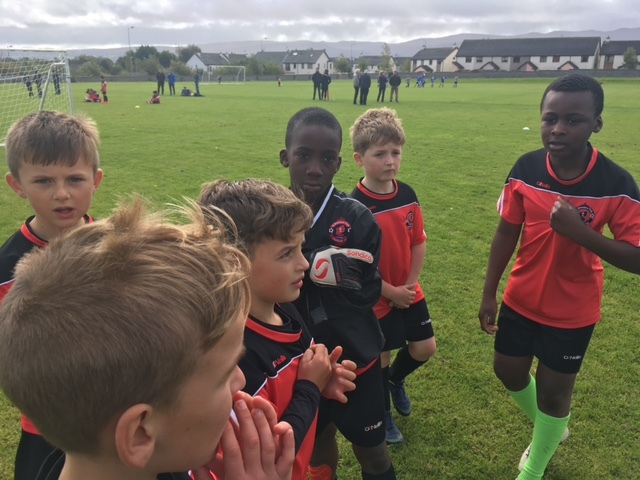 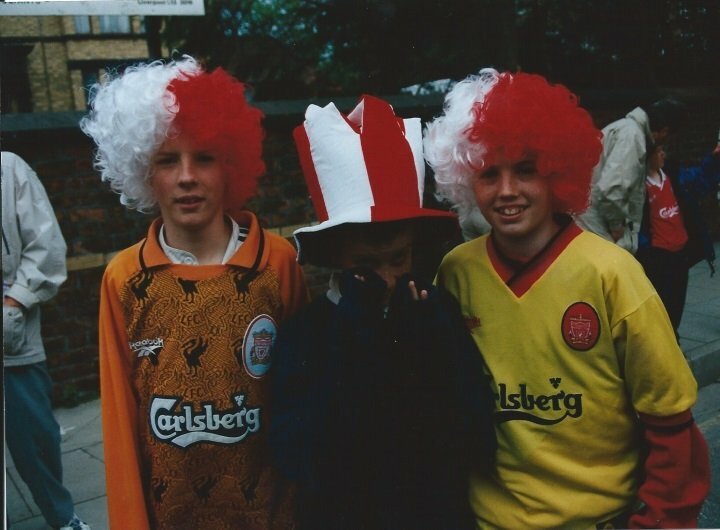 Back- Adam Moore , Aidan Mulcahy , David Conway . 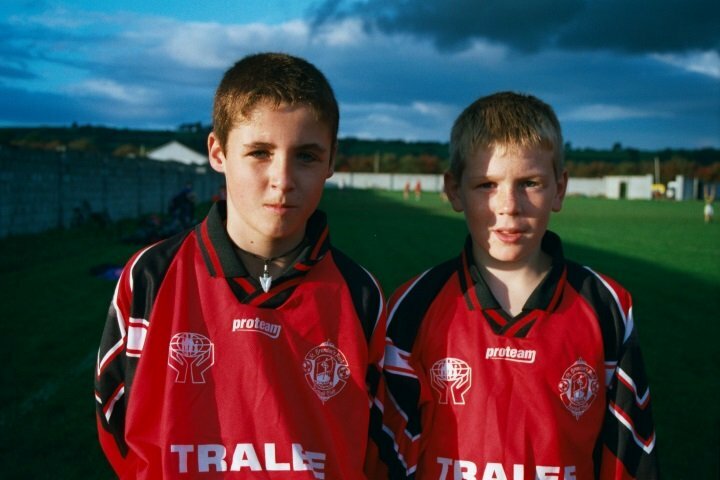 Front- Martin Courtney , Tomas Dowling . 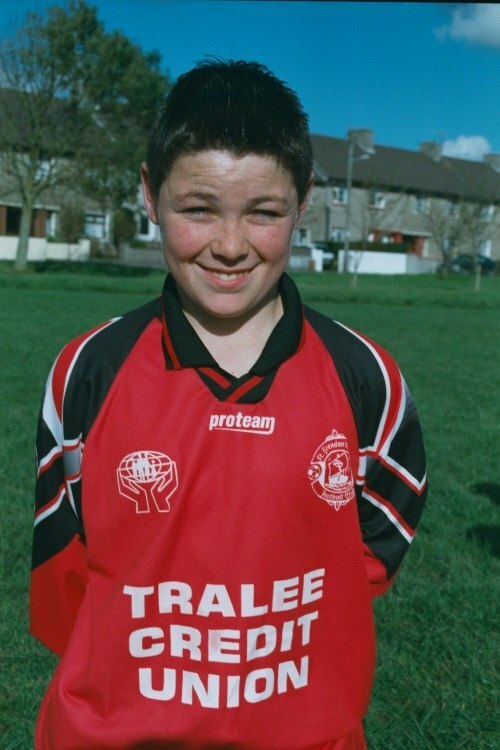 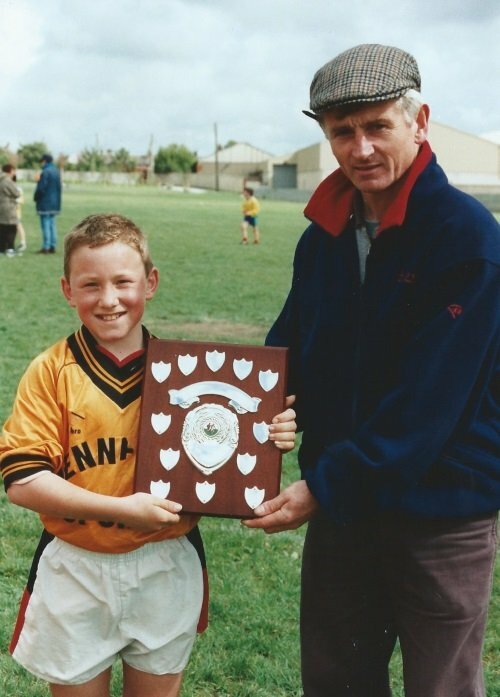 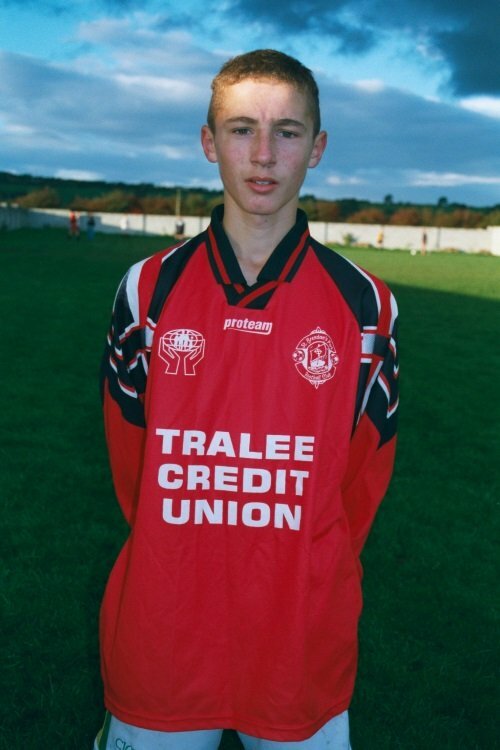 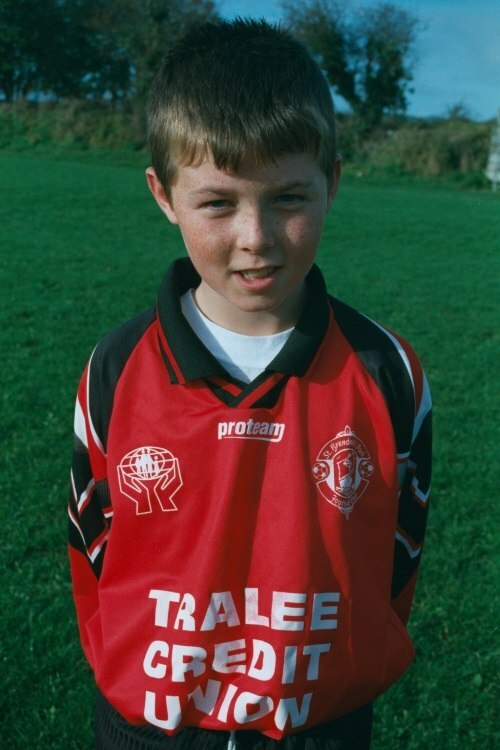 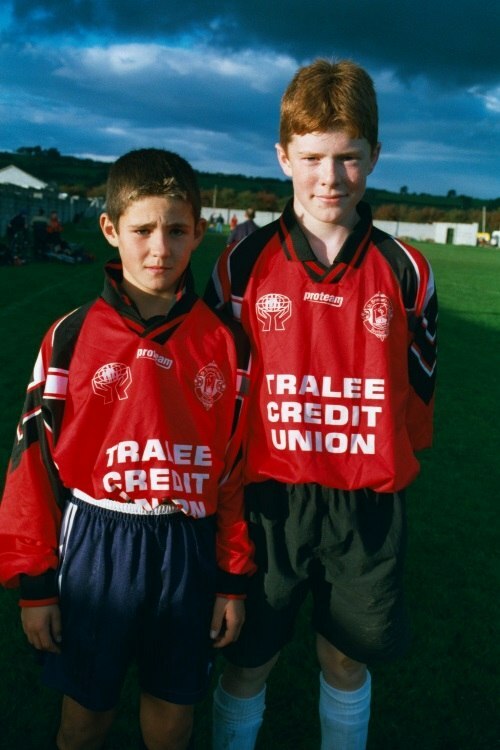 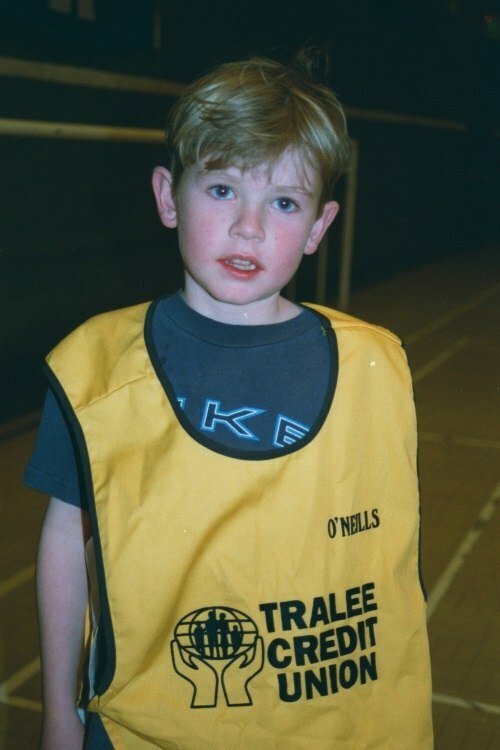 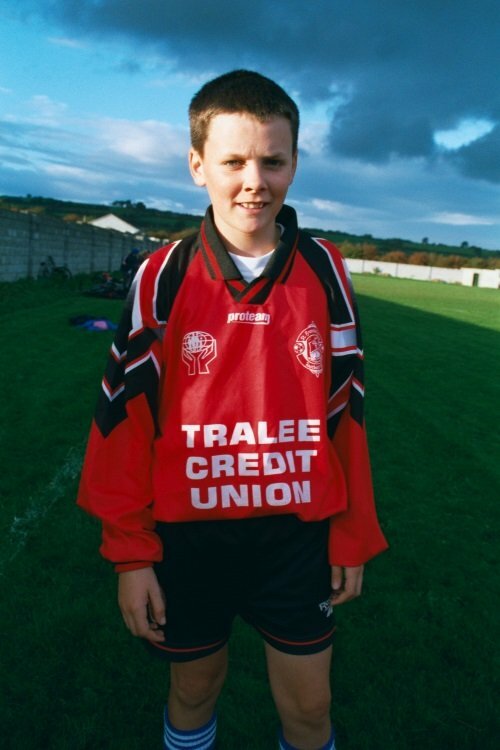 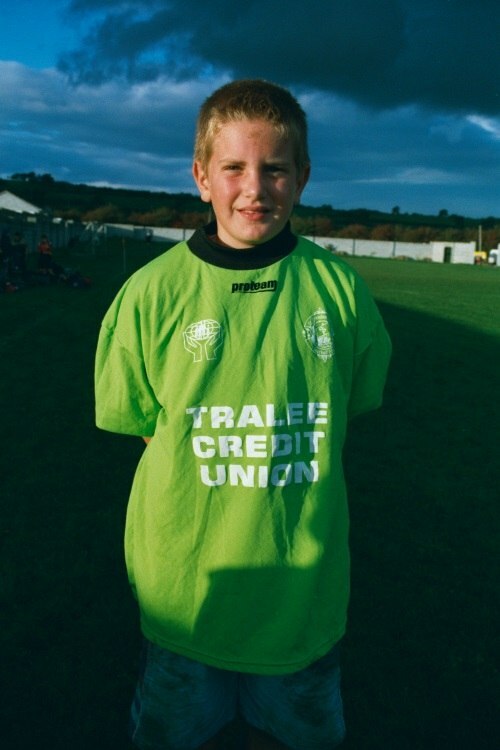 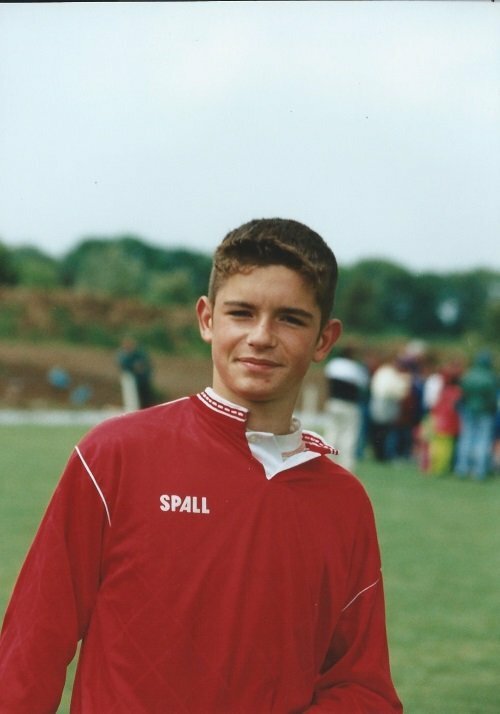 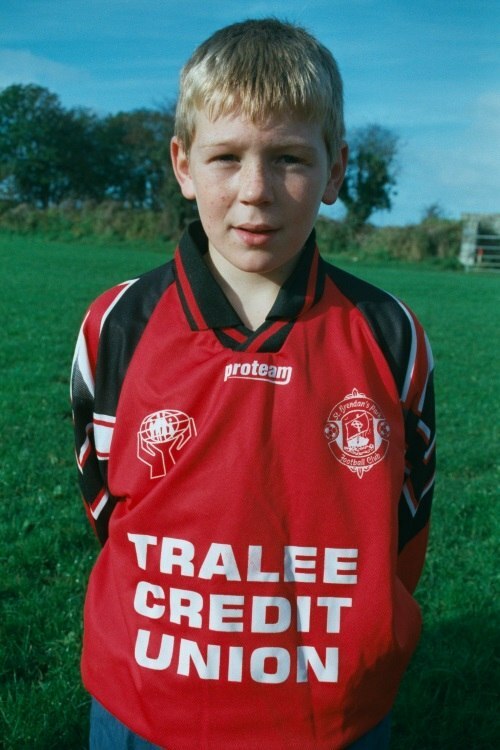 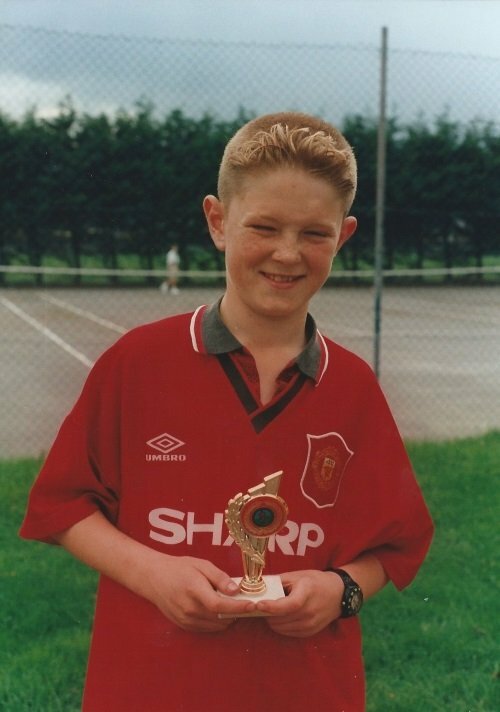 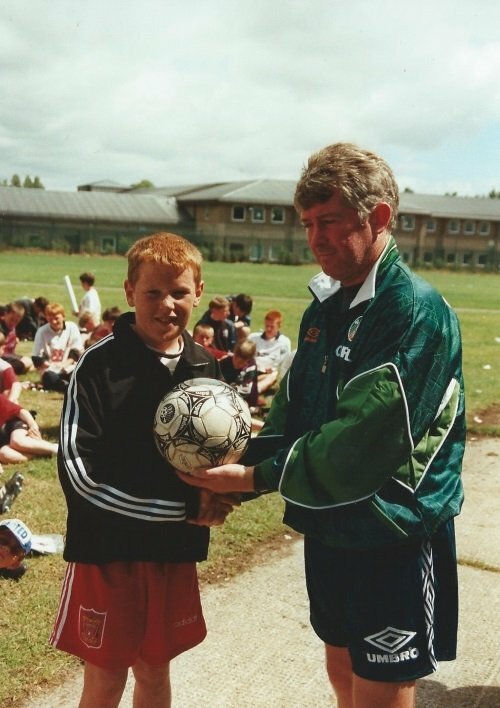 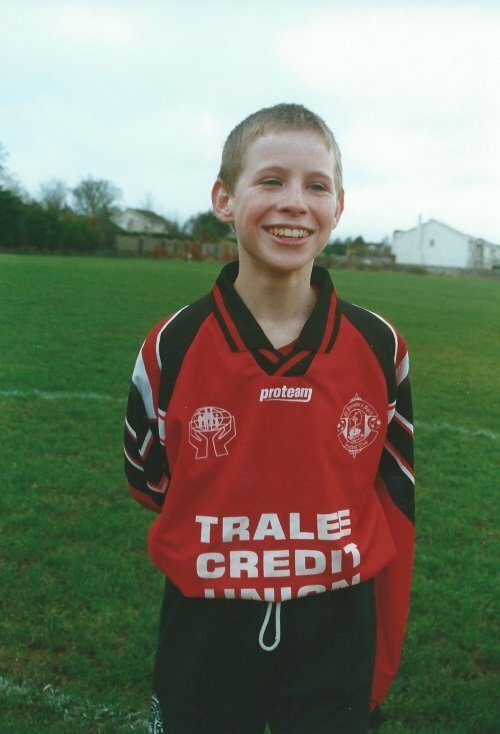 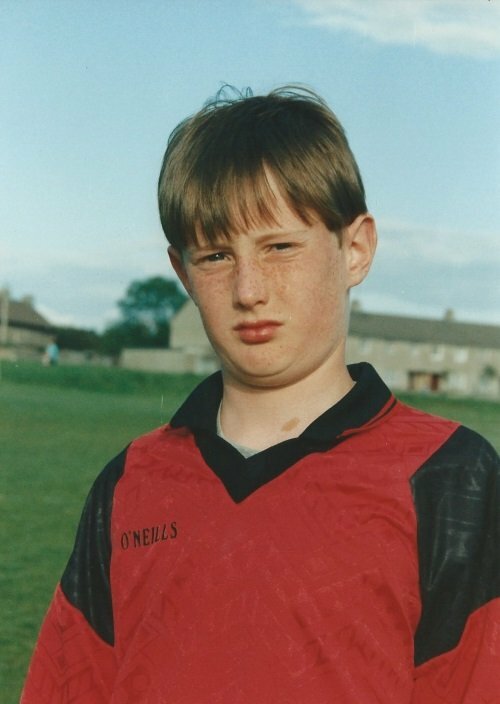 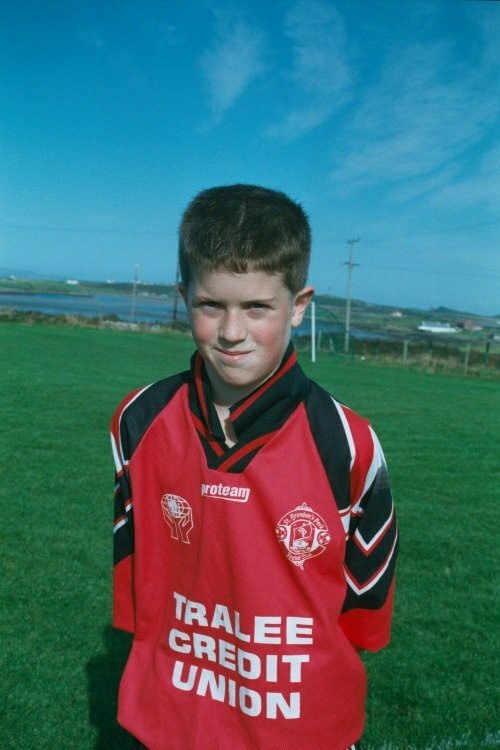 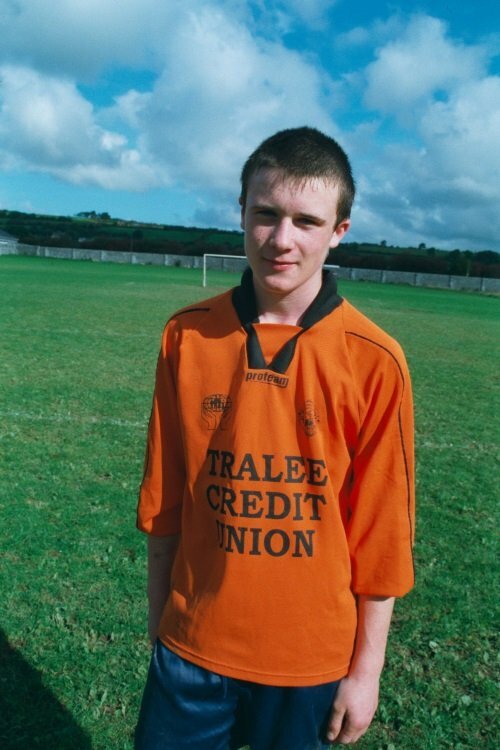 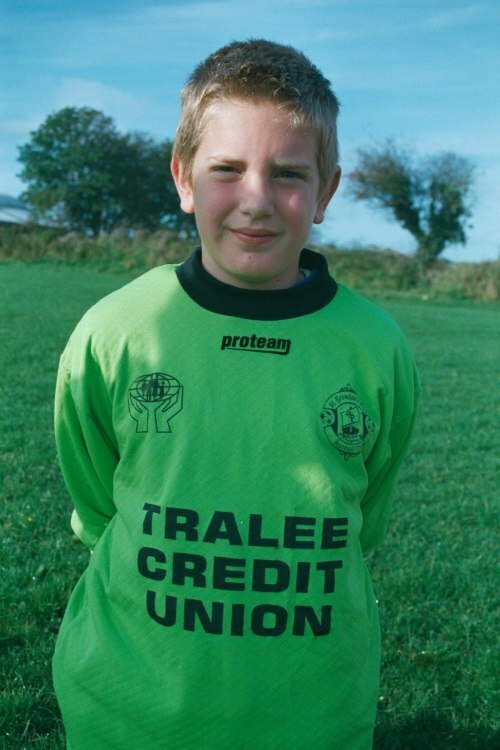 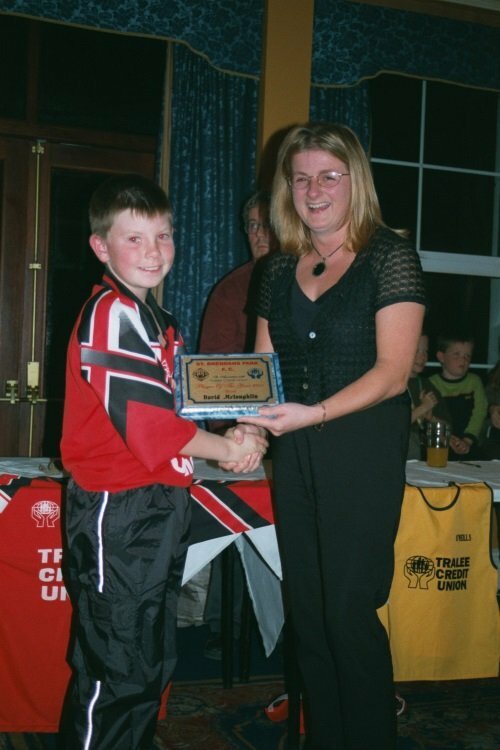 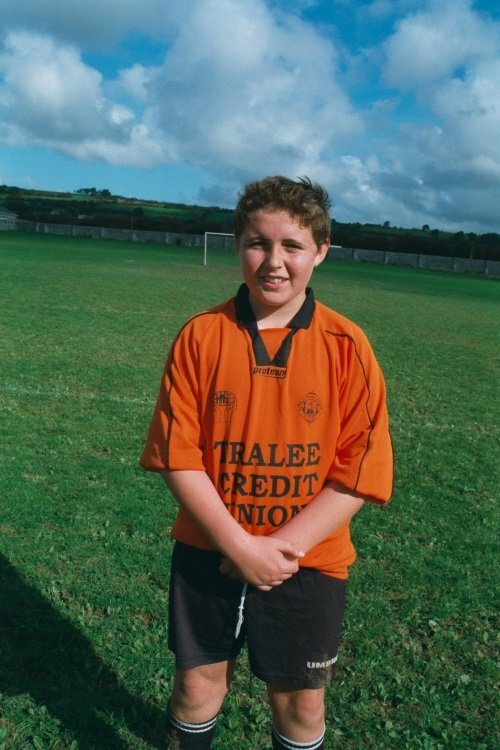 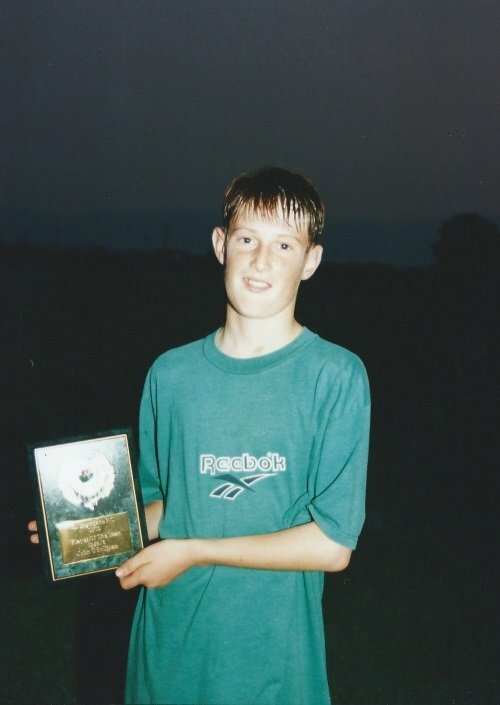 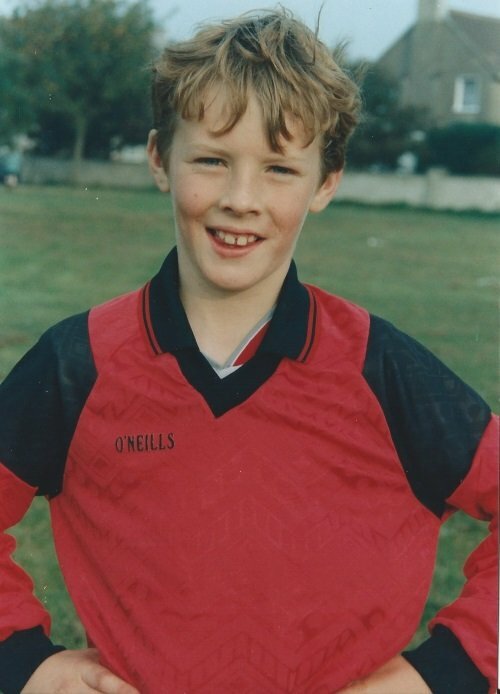 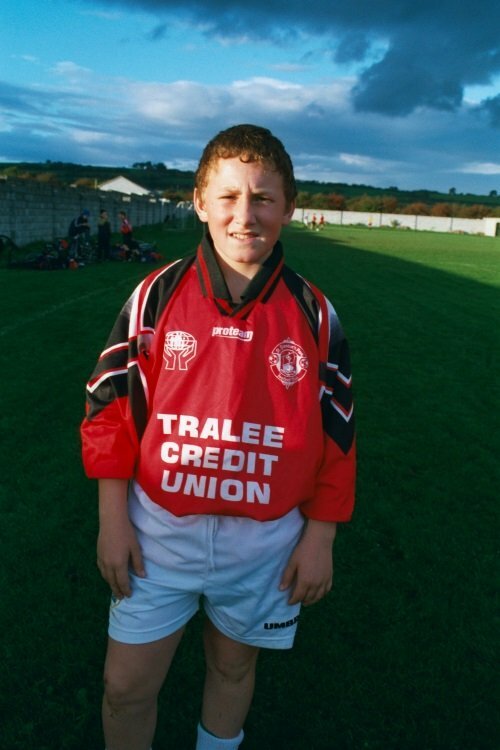 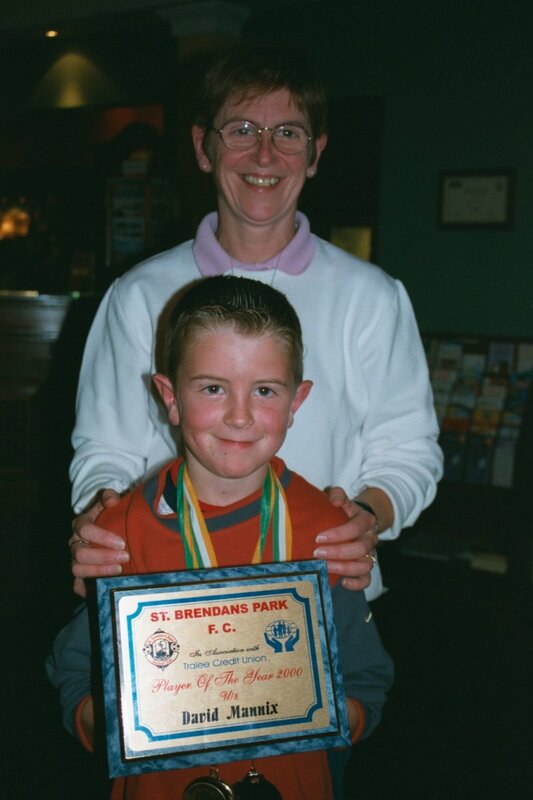 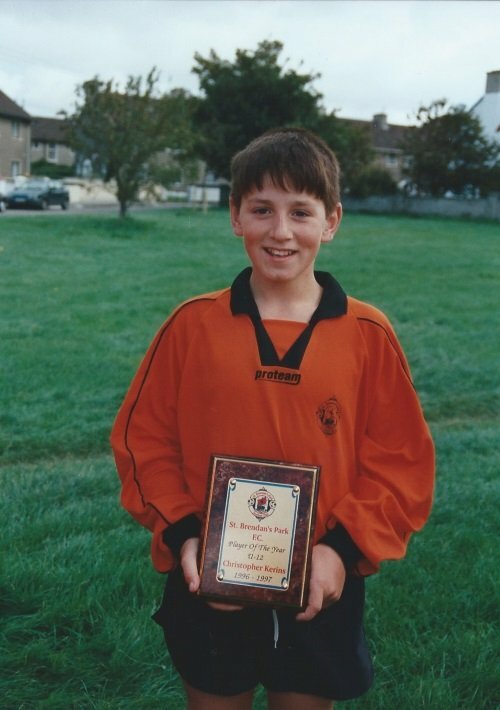 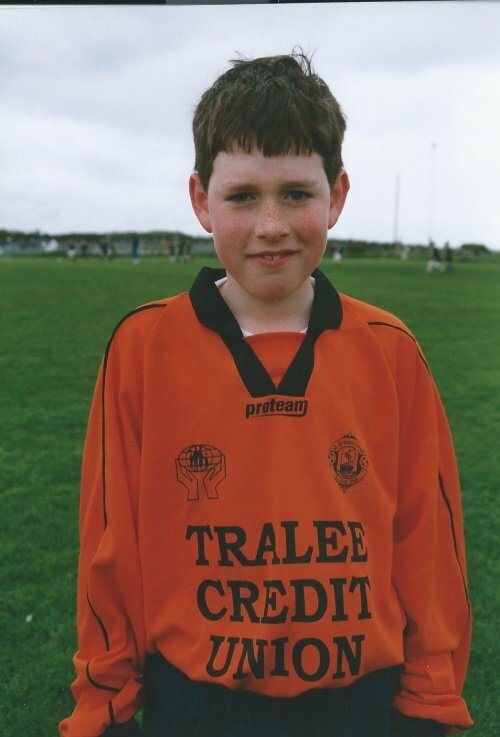 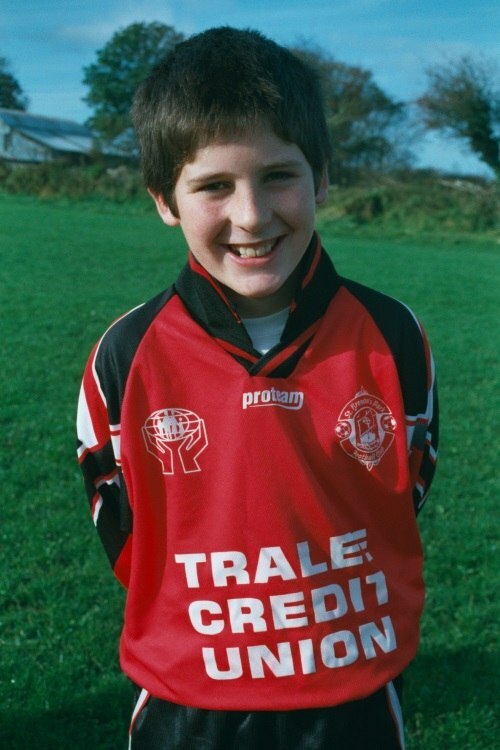 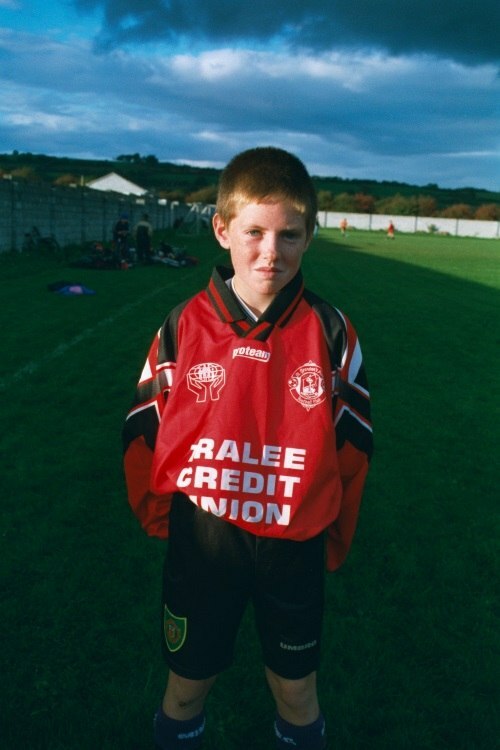 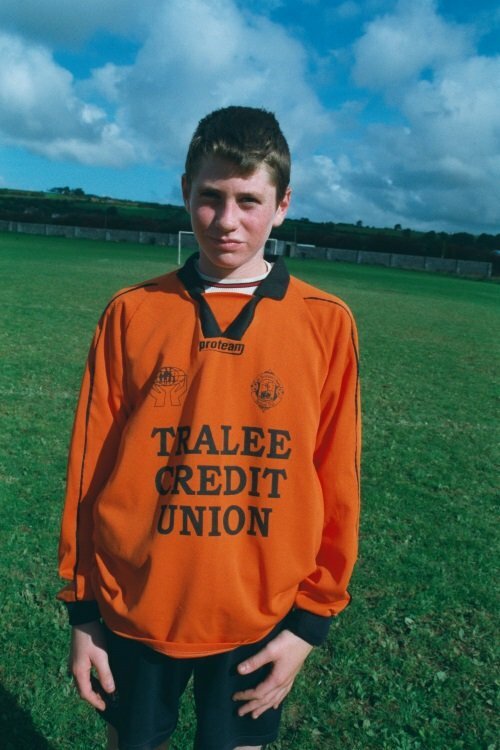 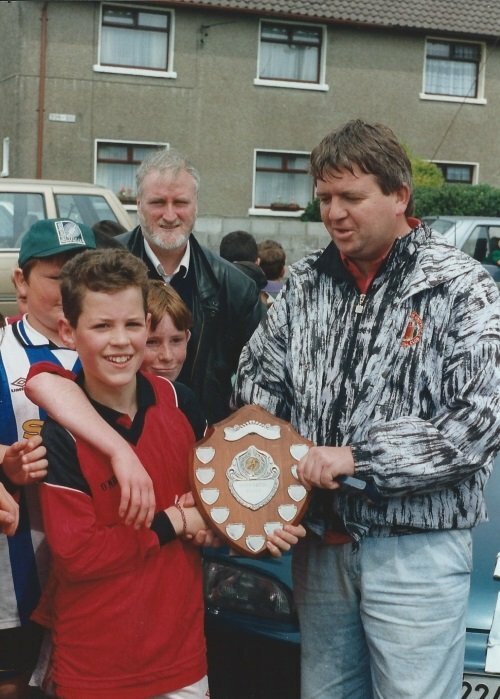 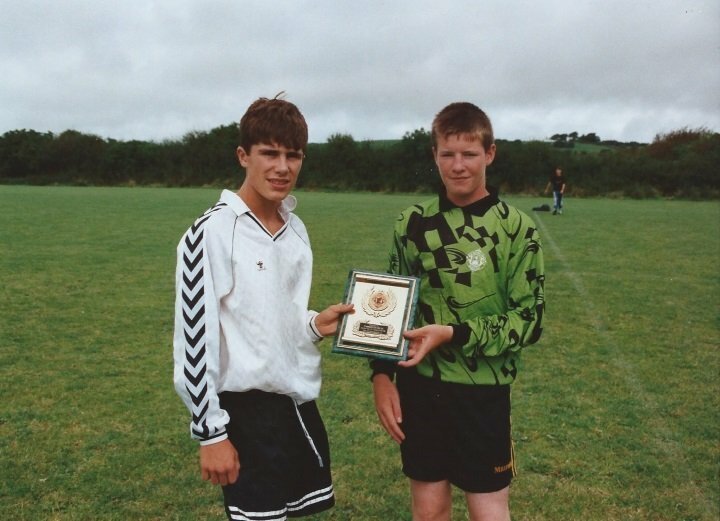 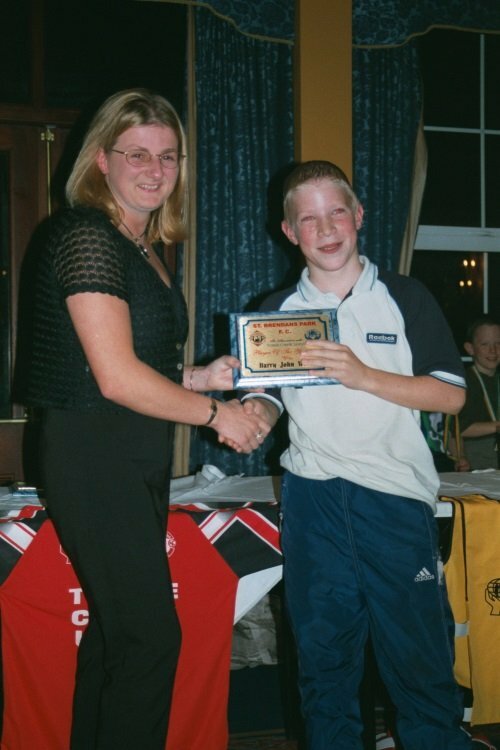 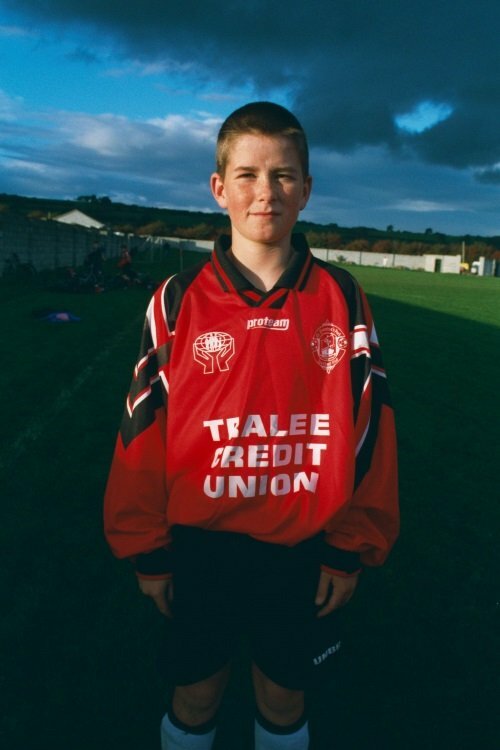 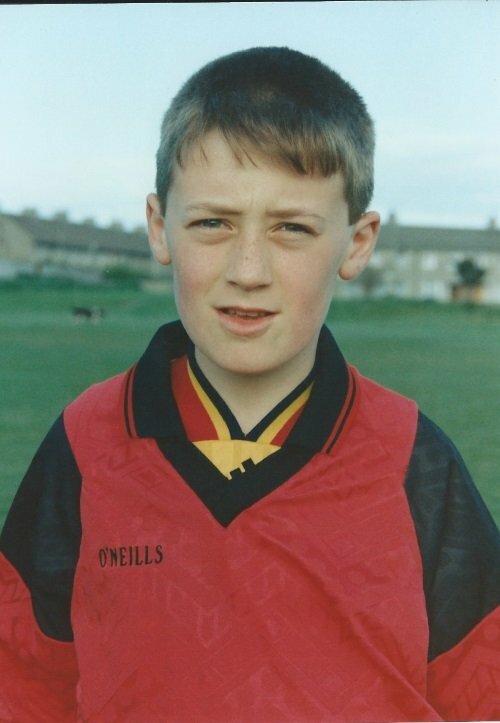 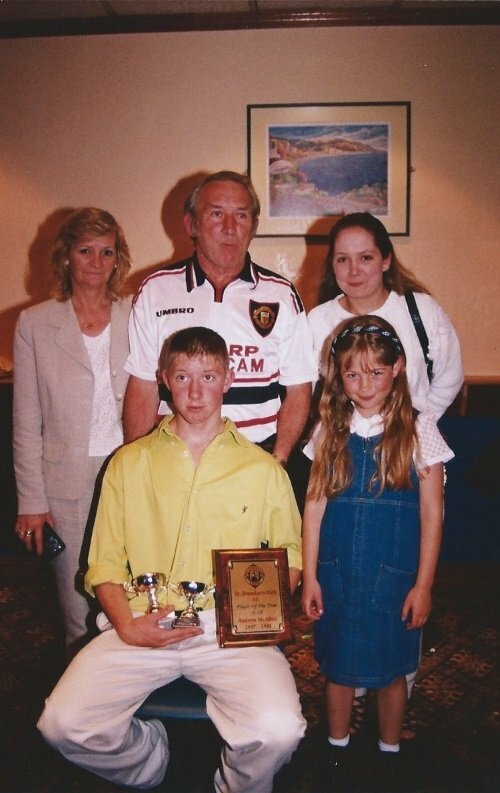 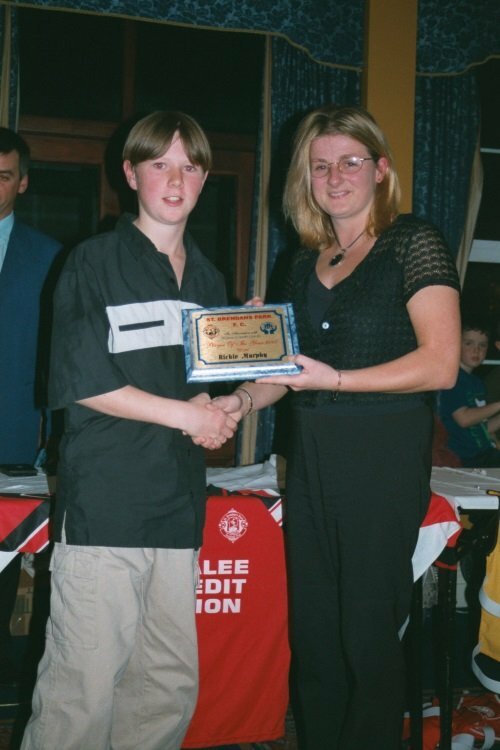 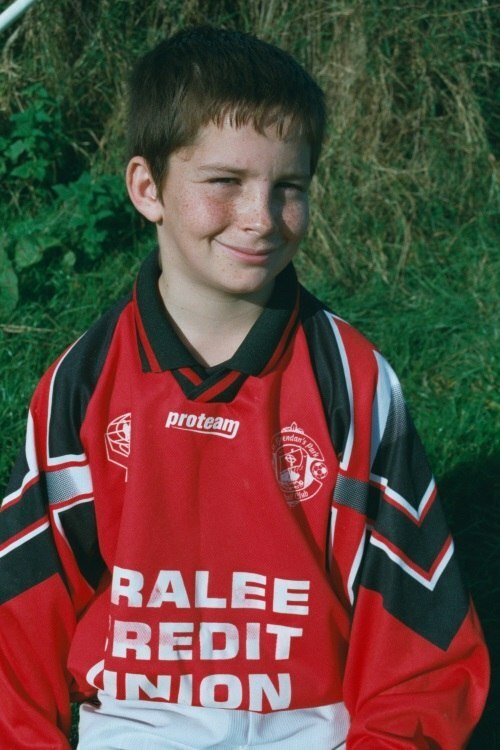 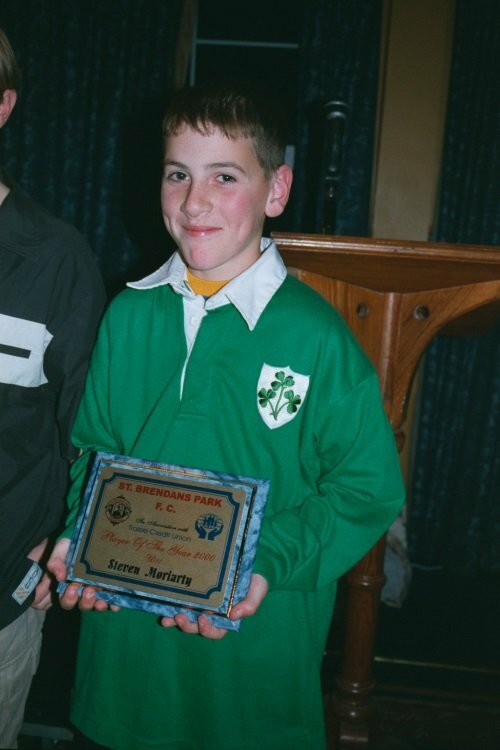 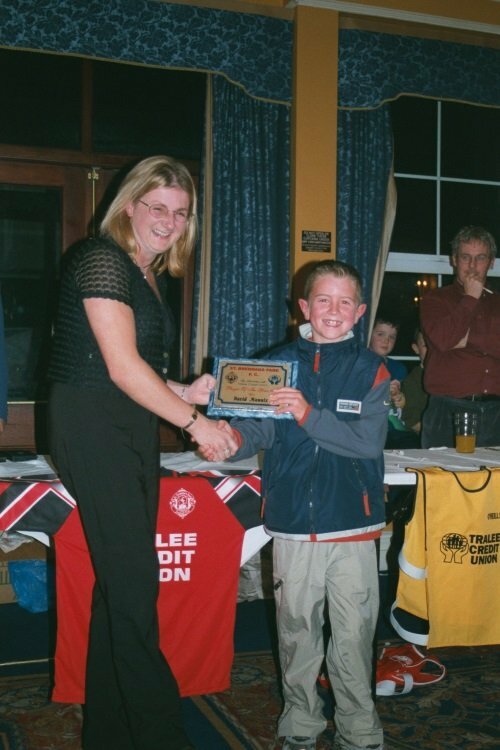 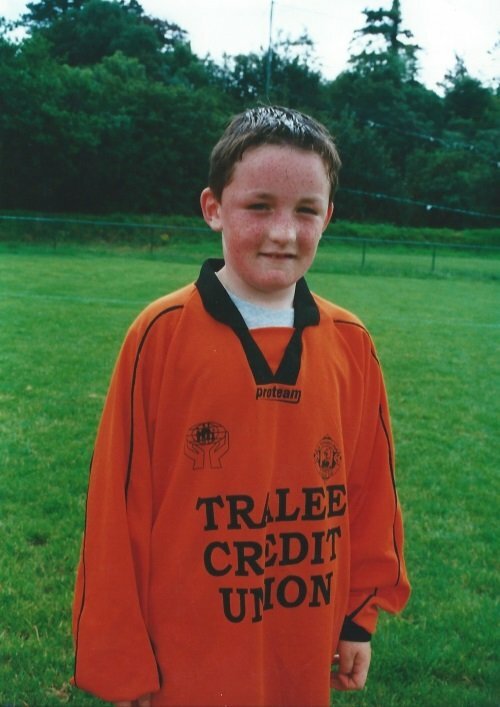 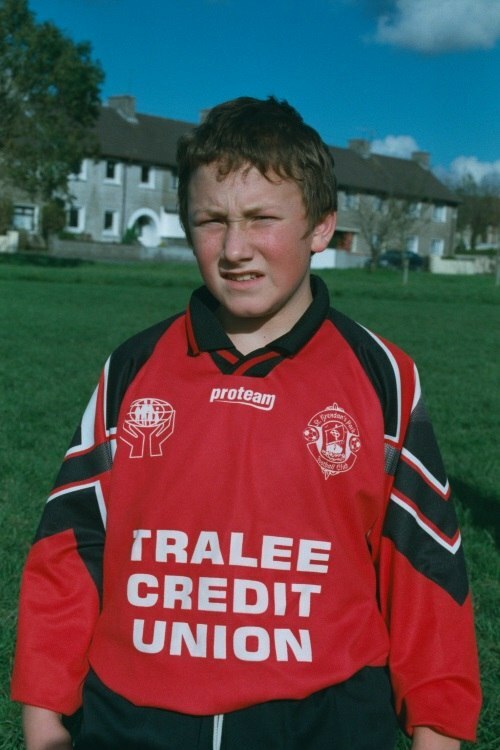 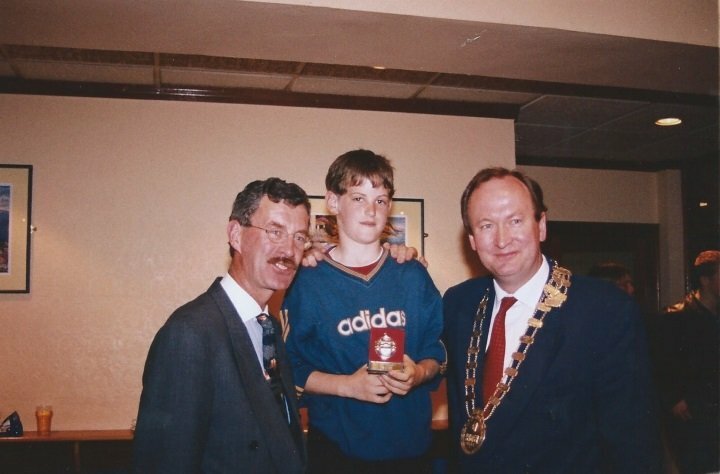 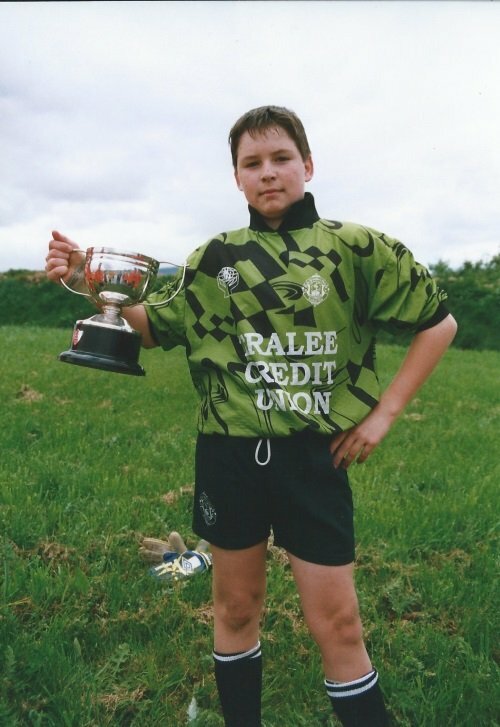 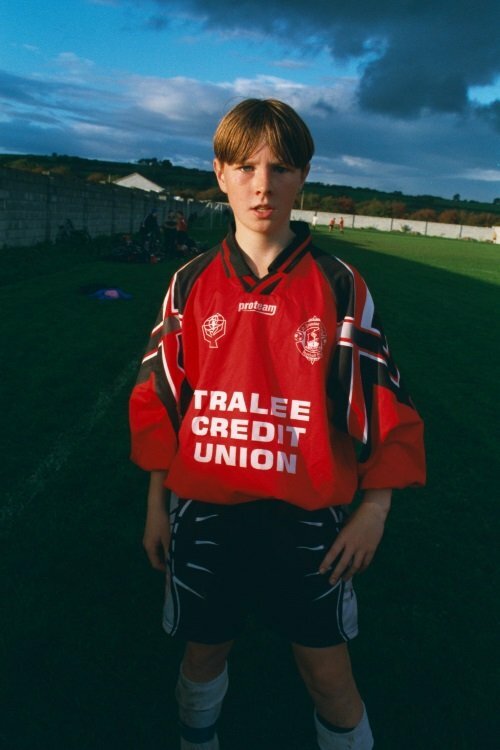 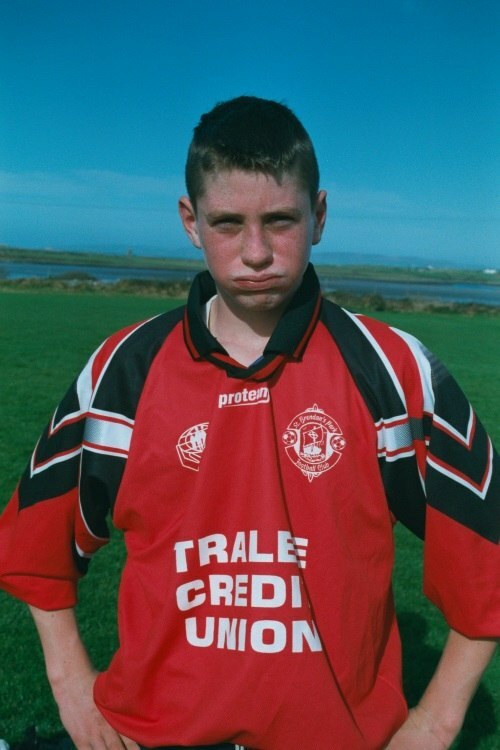 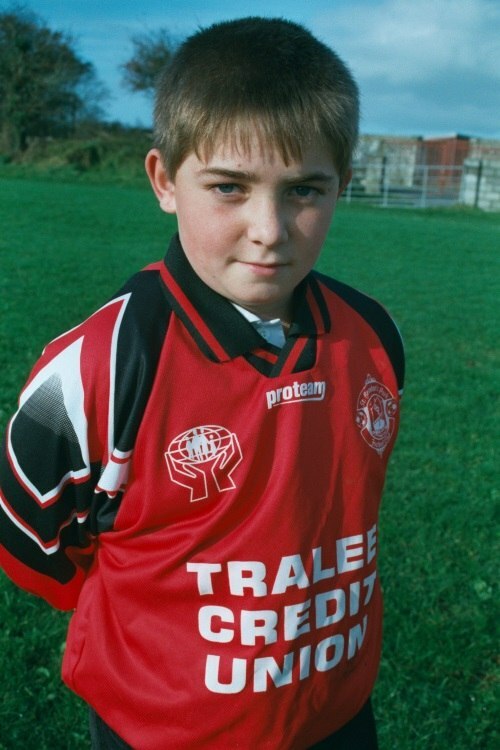 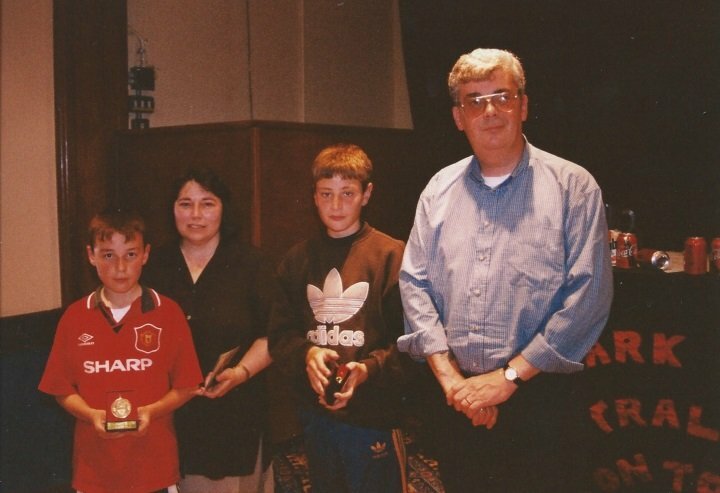 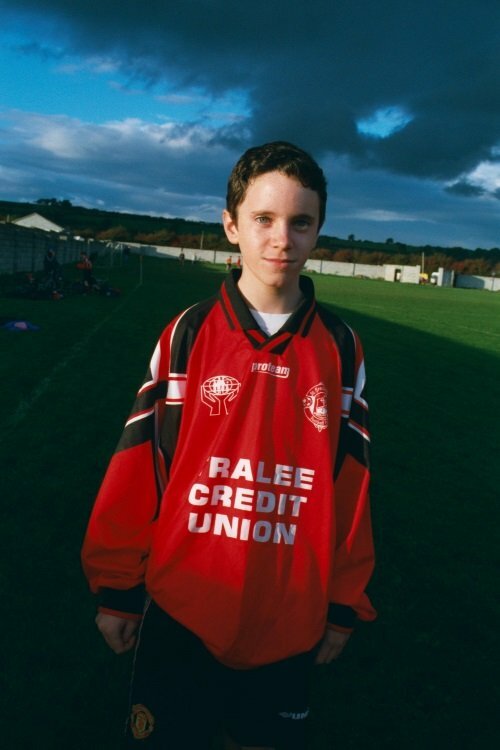 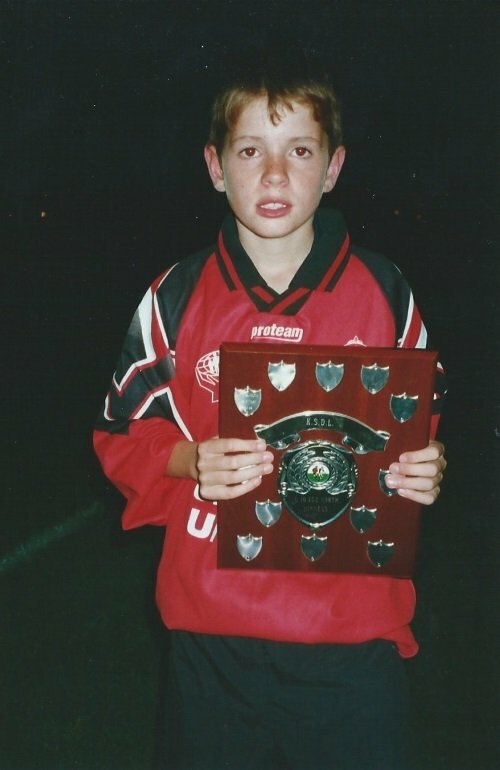 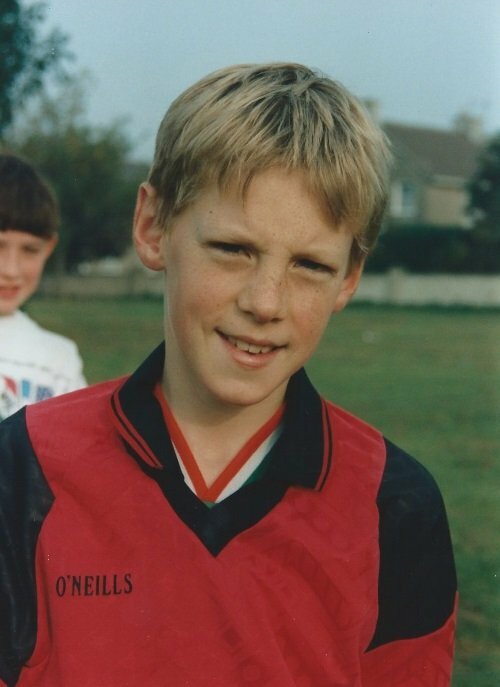 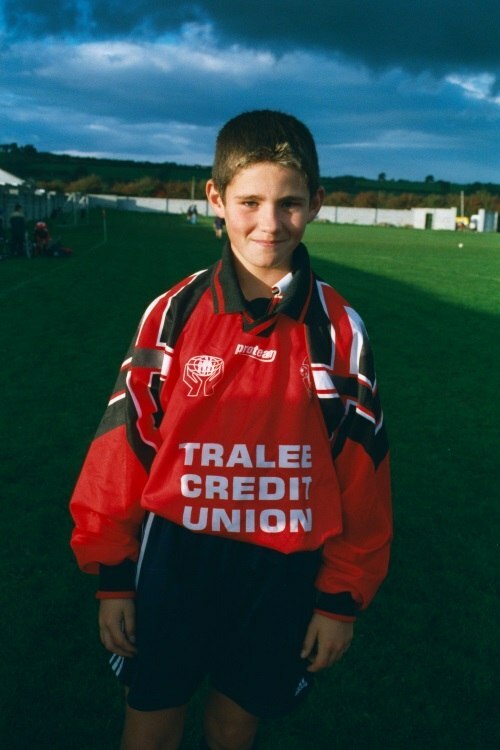 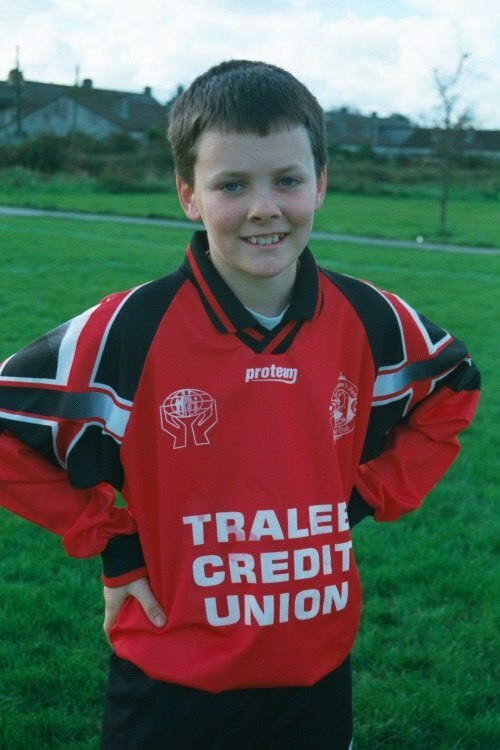 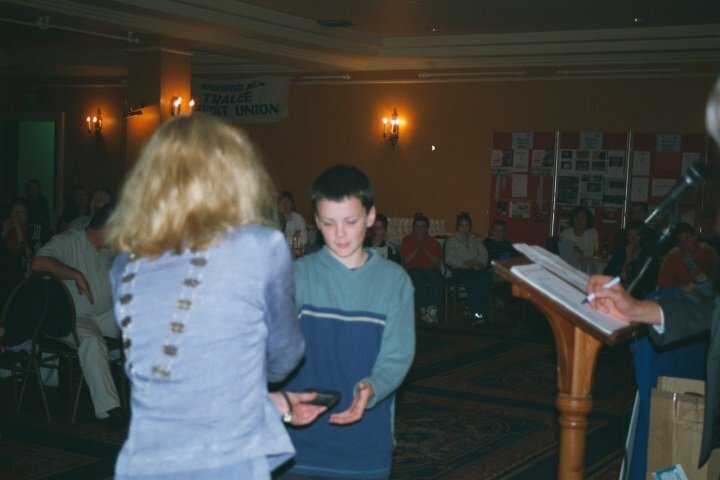 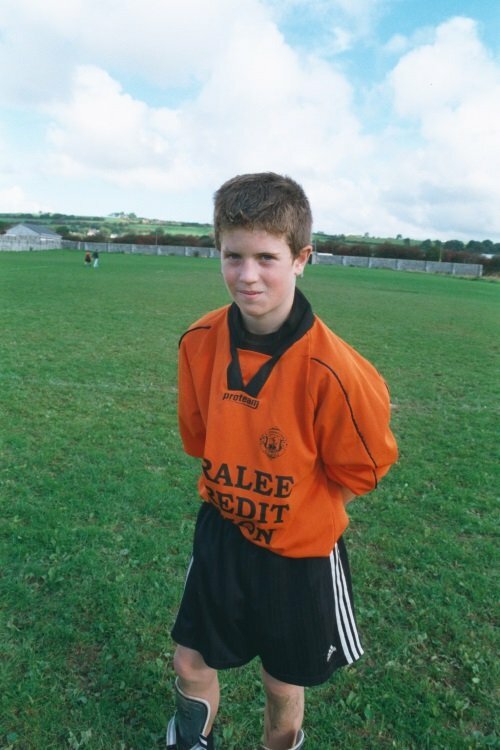 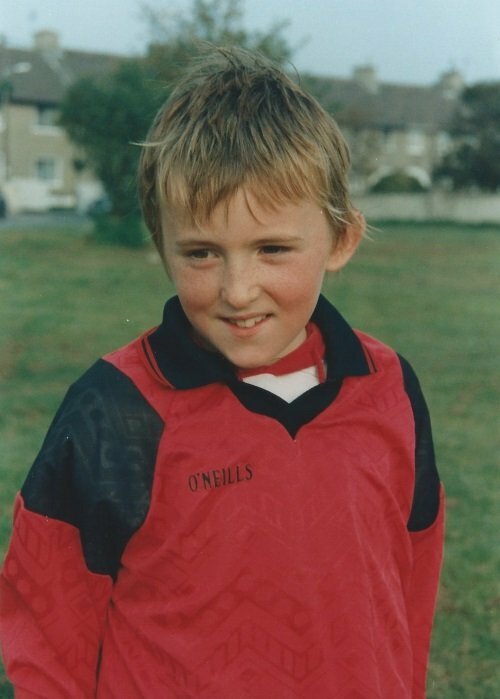 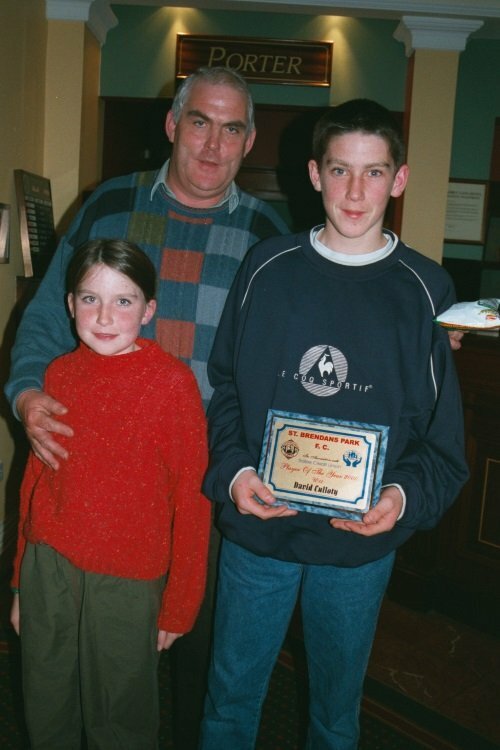 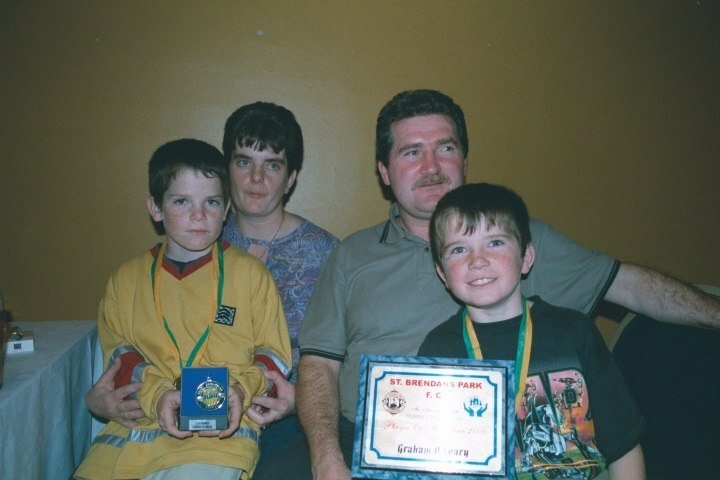 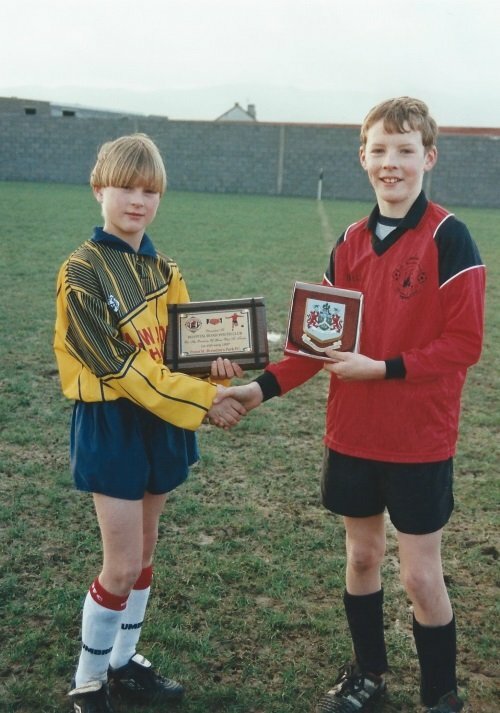 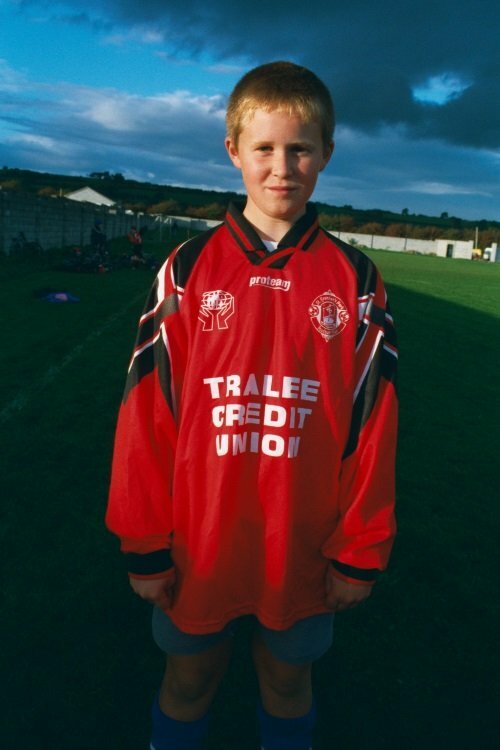 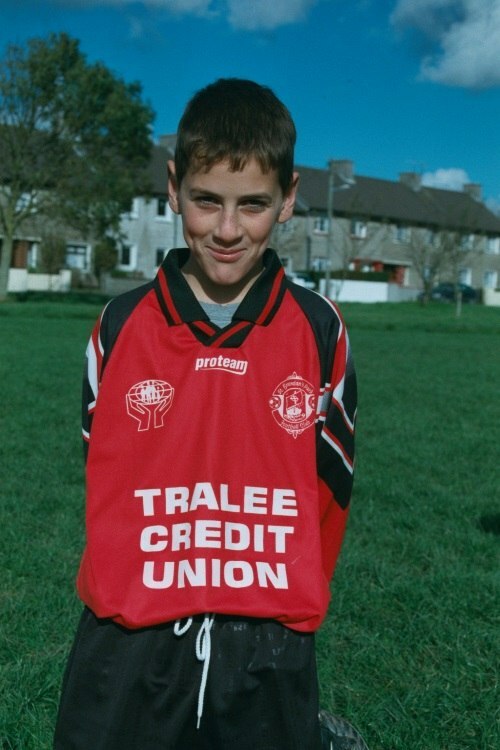 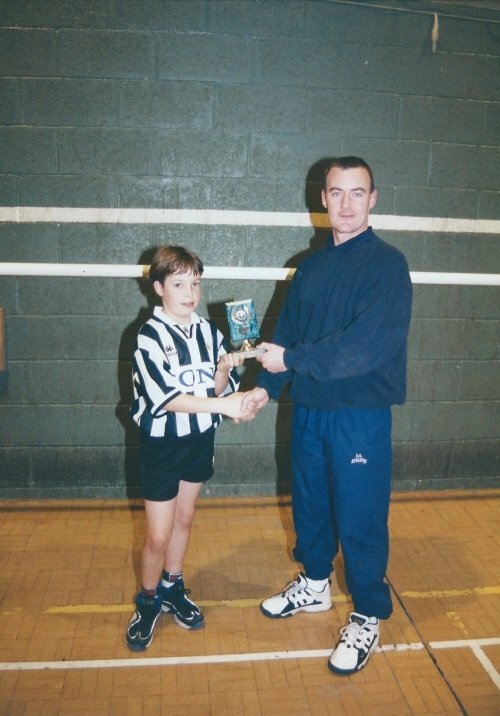 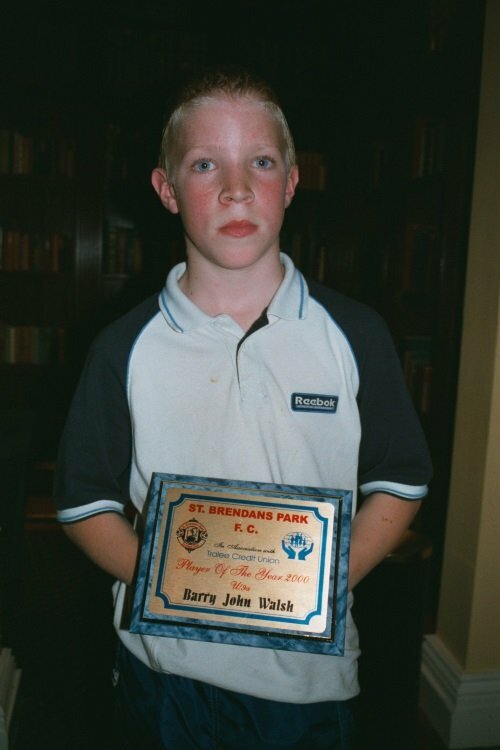 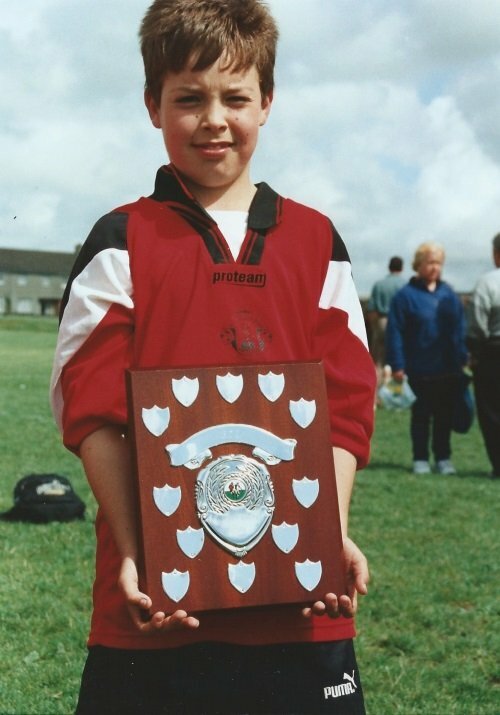 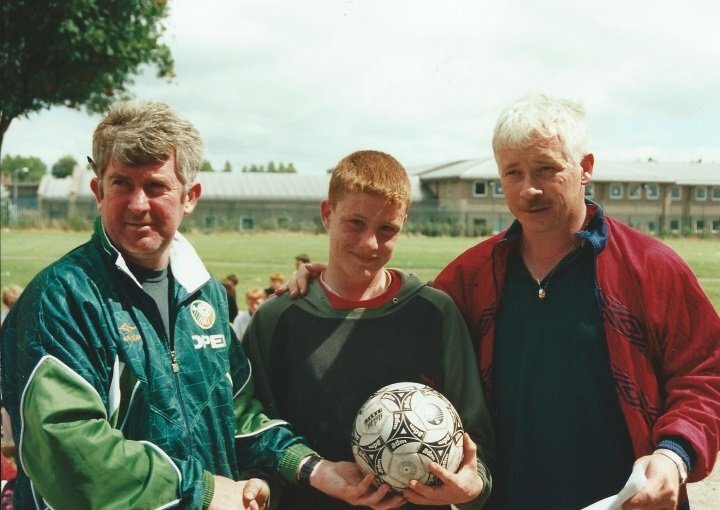 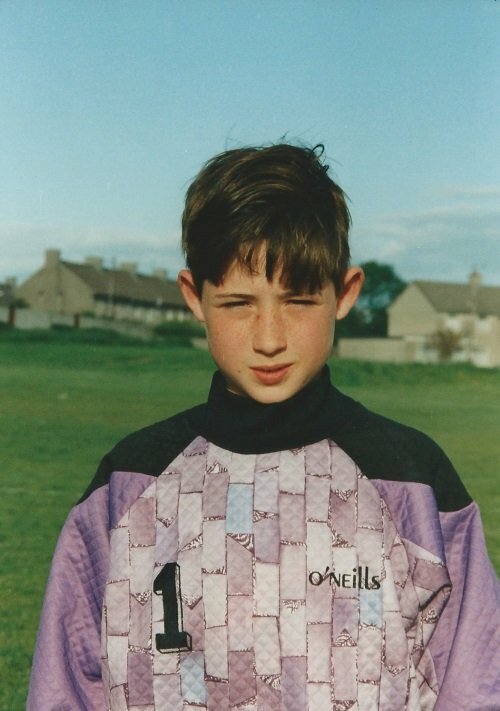 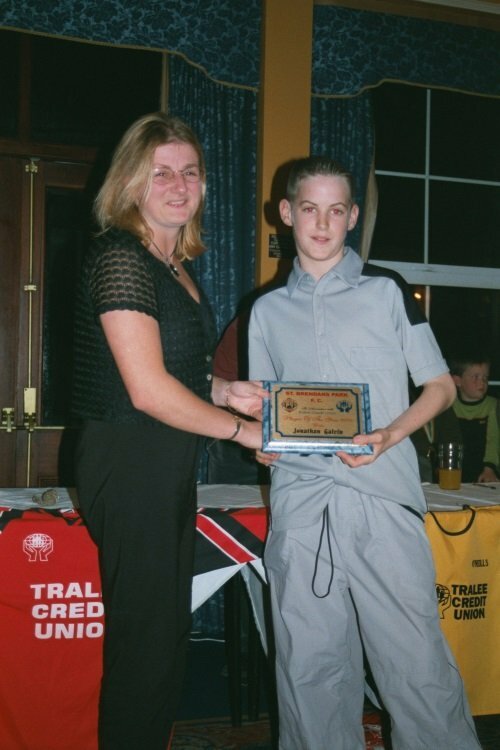 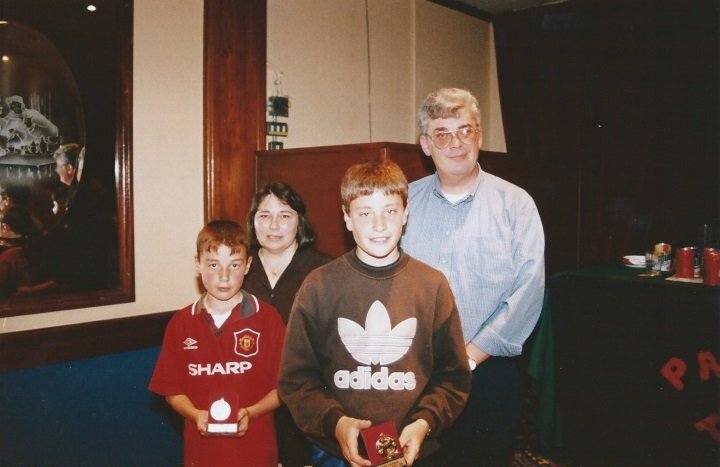 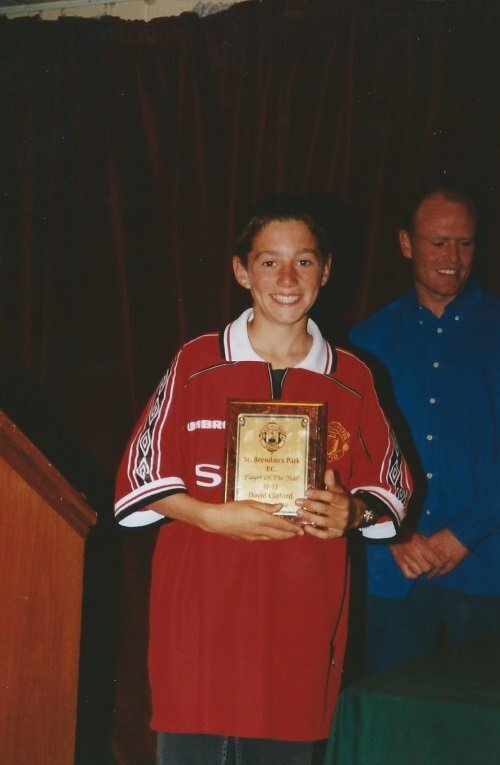 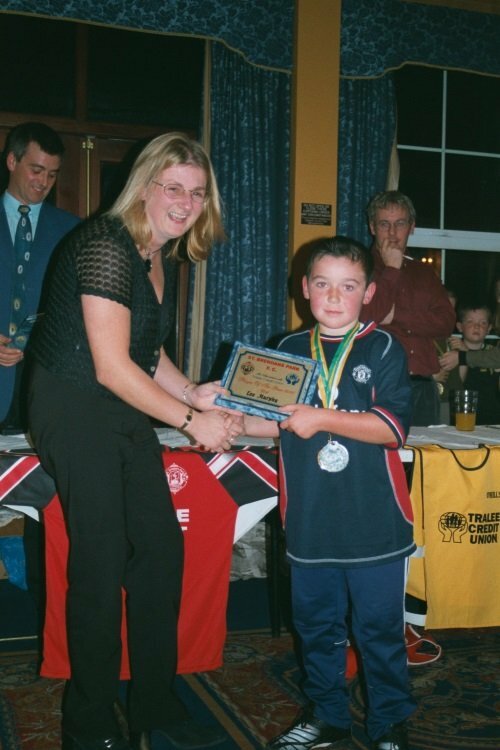 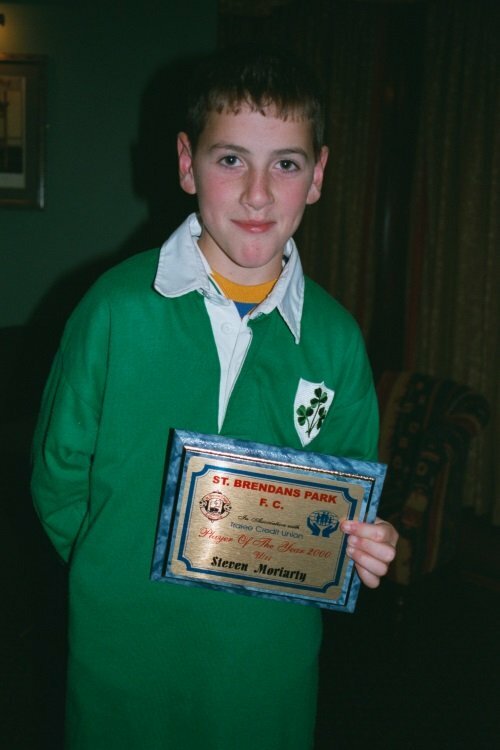 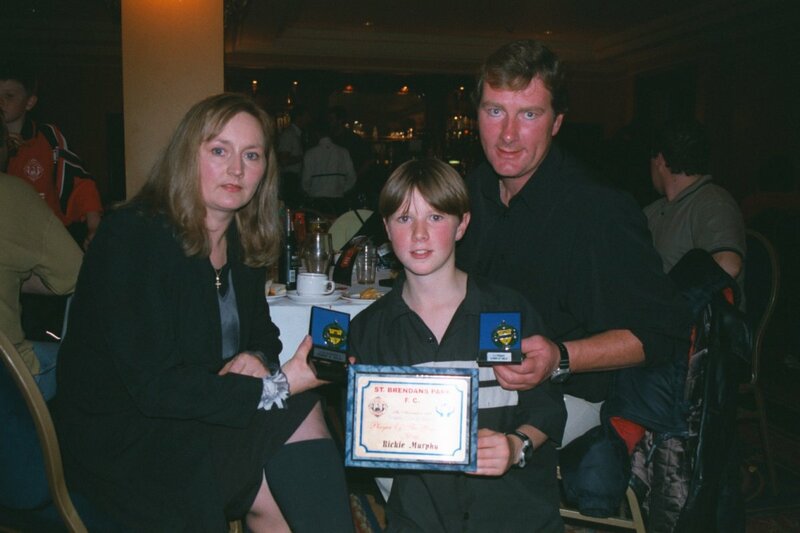 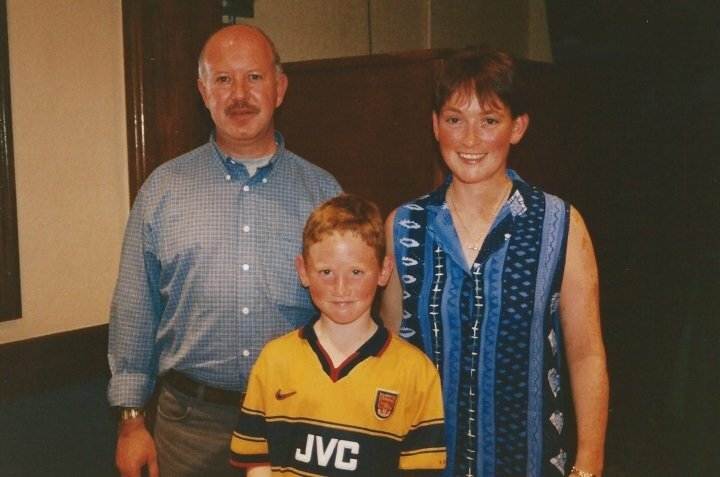 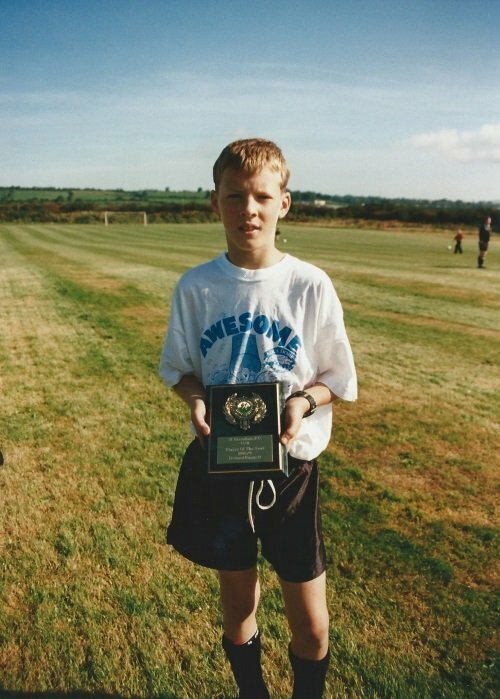 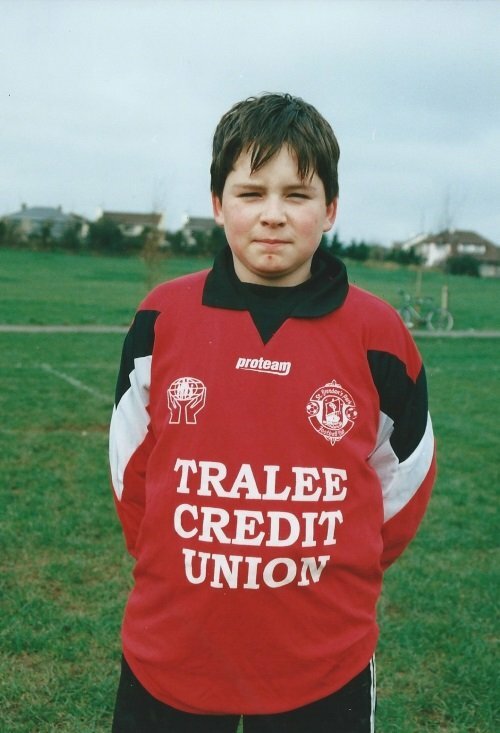 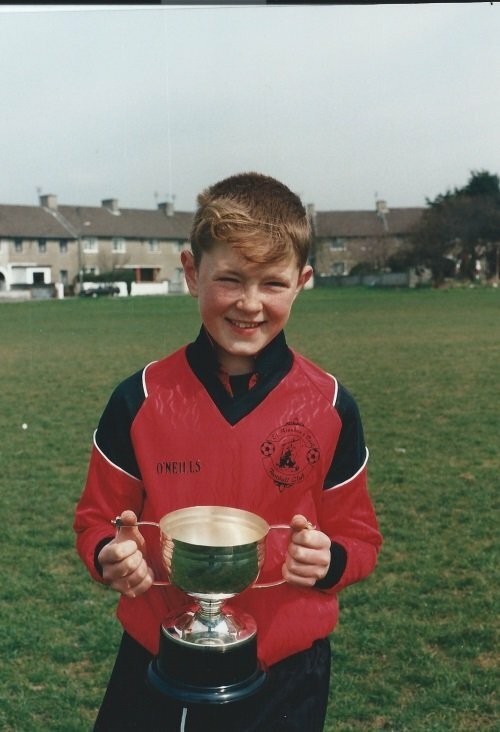 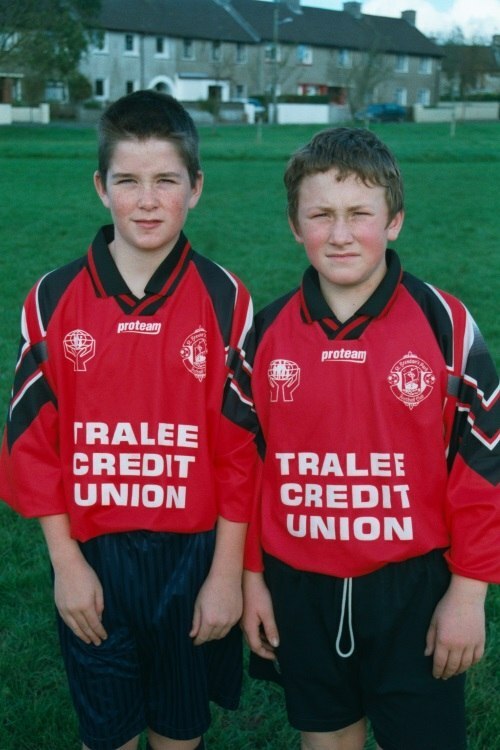 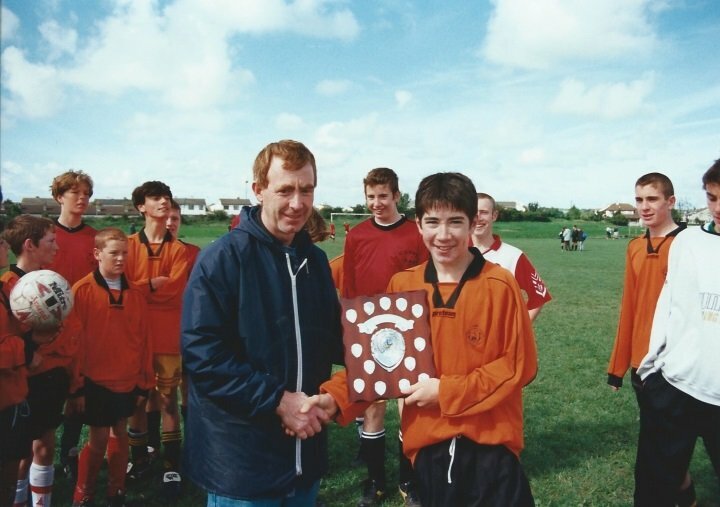 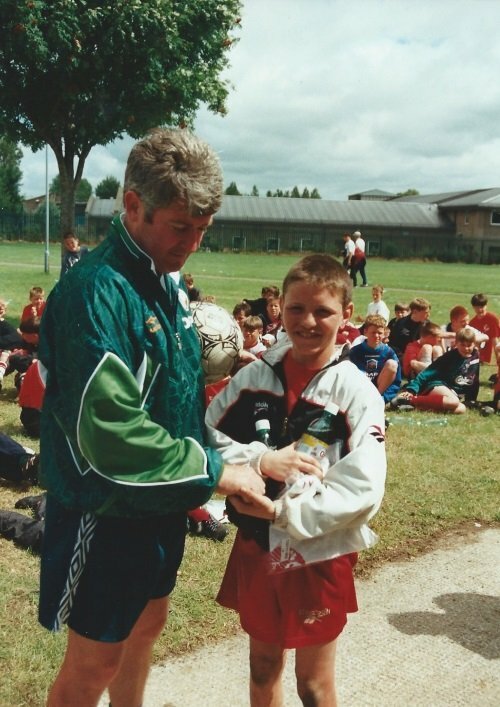 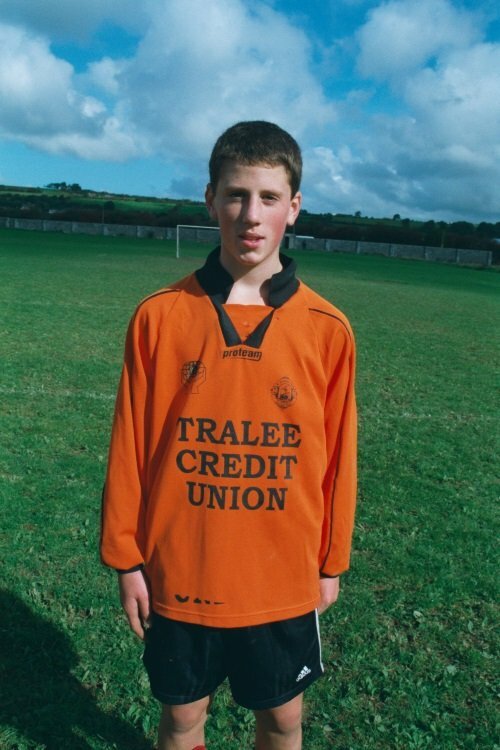 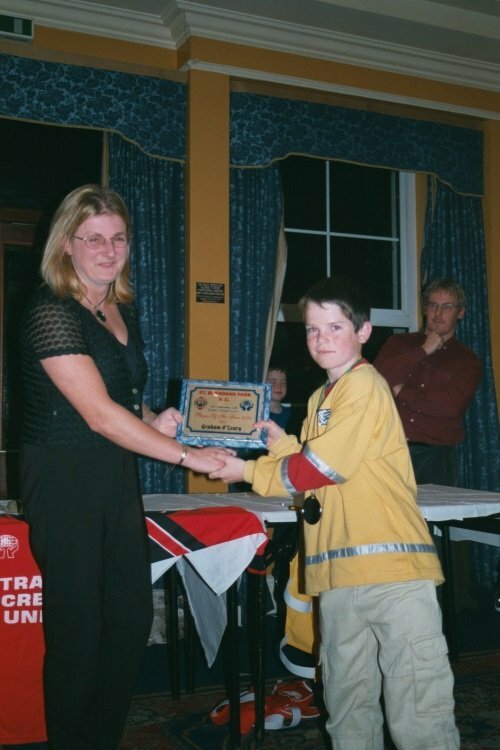 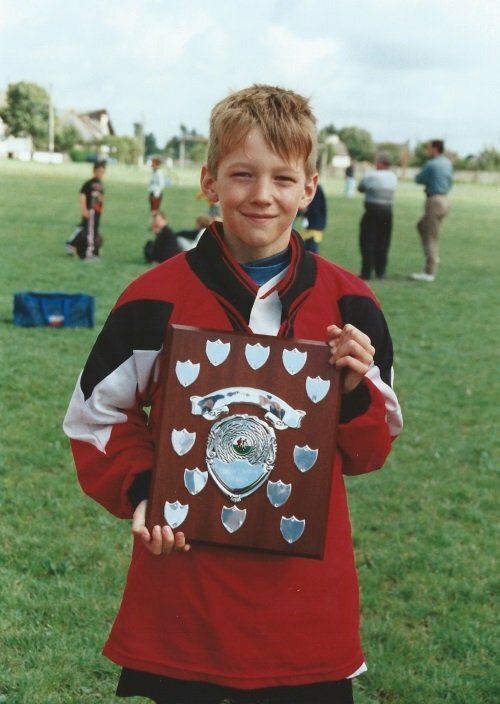 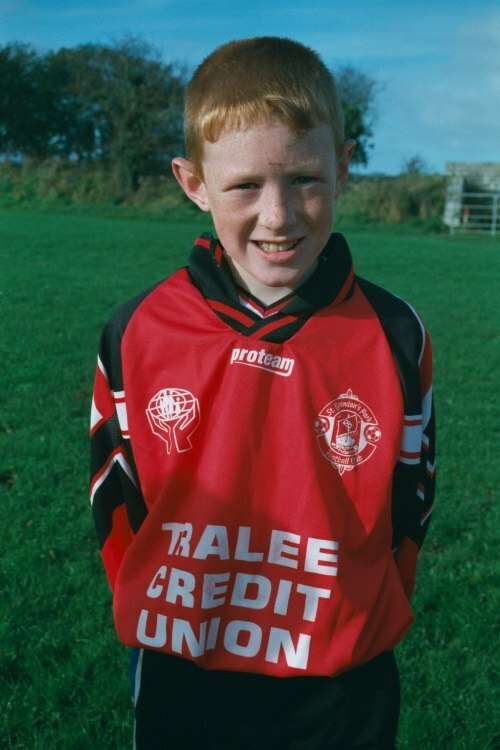 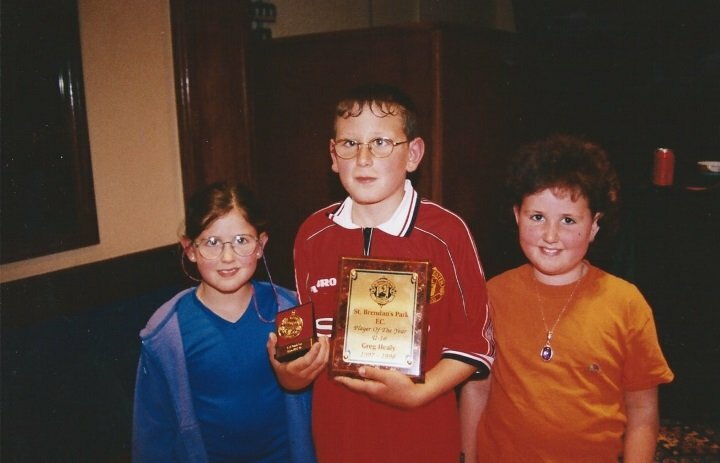 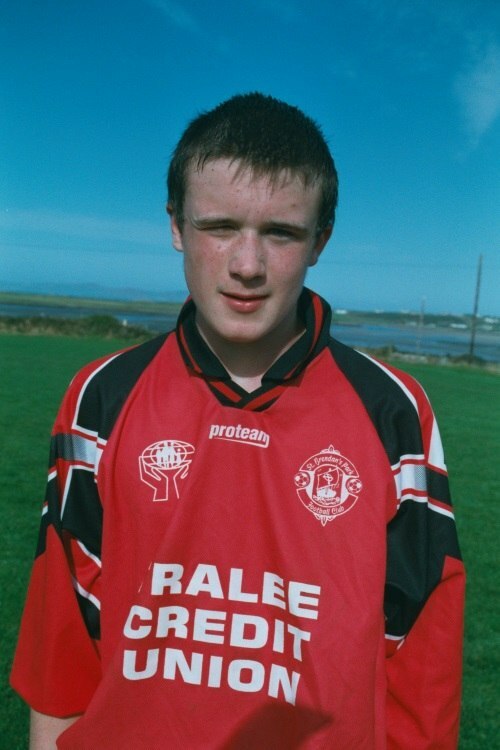 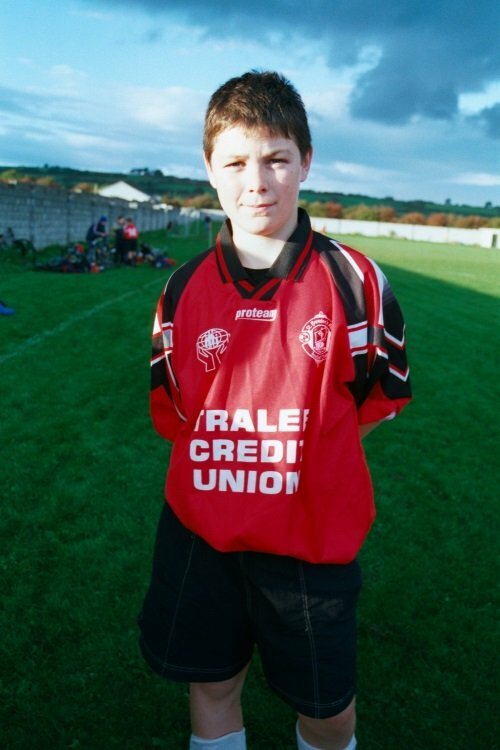 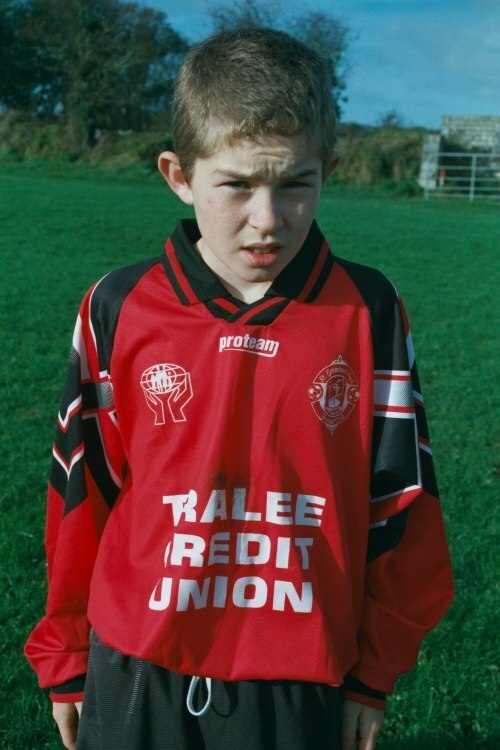 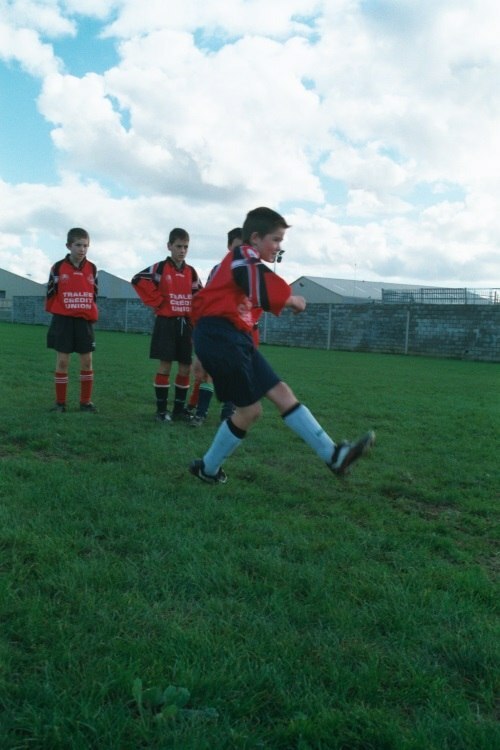 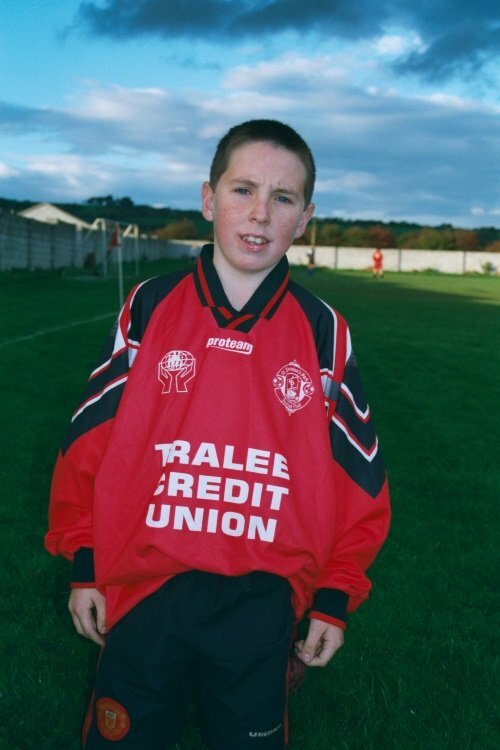 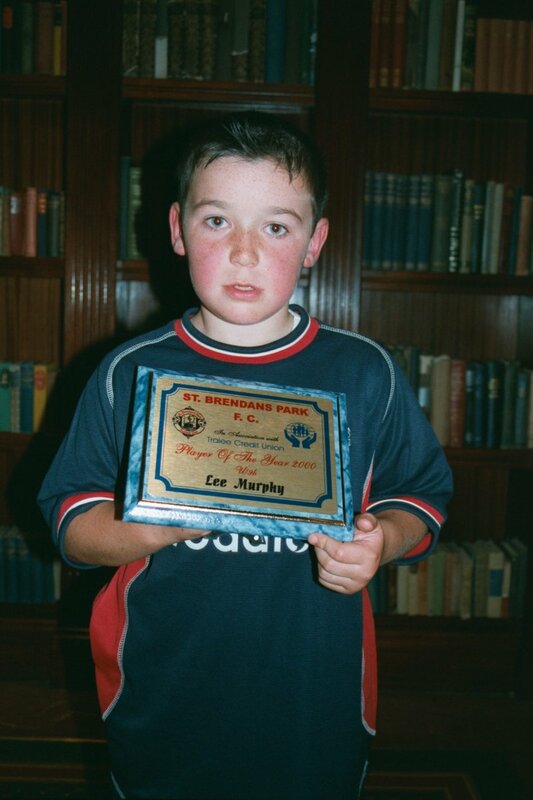 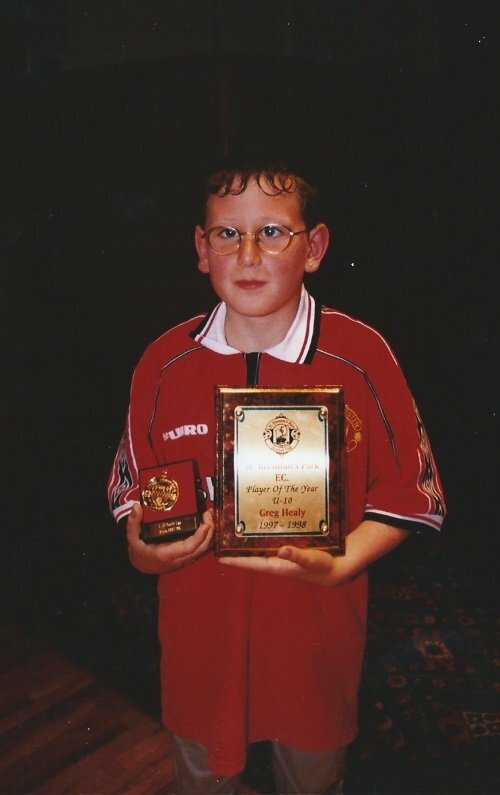 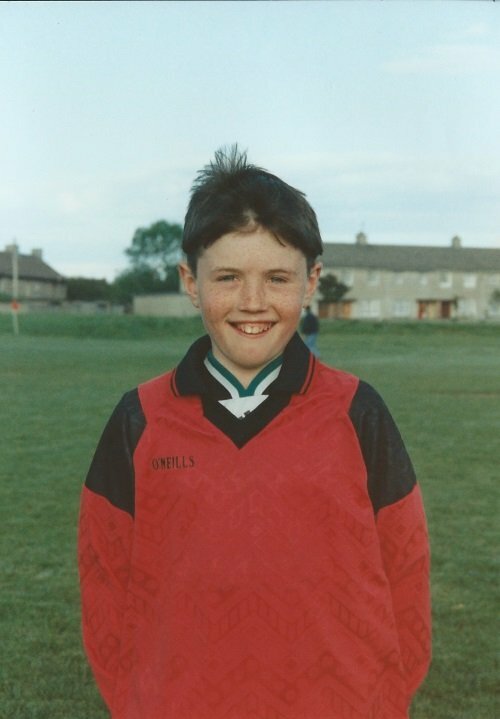 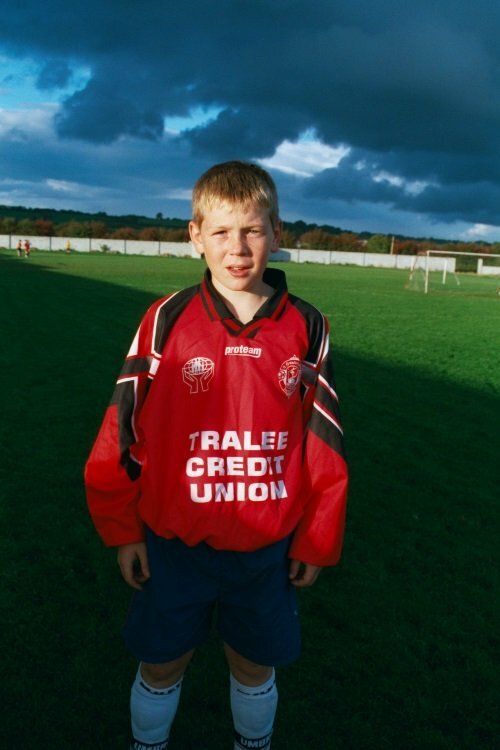 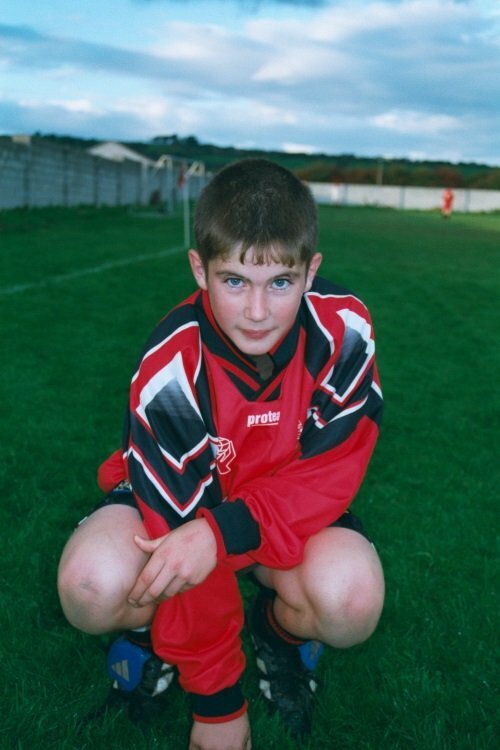 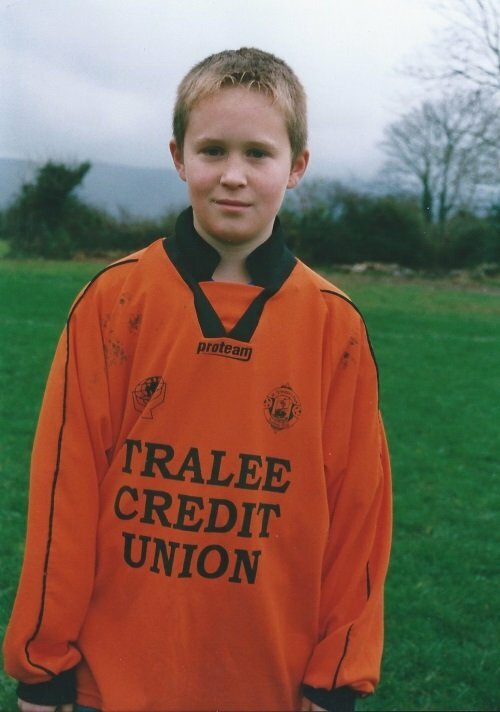 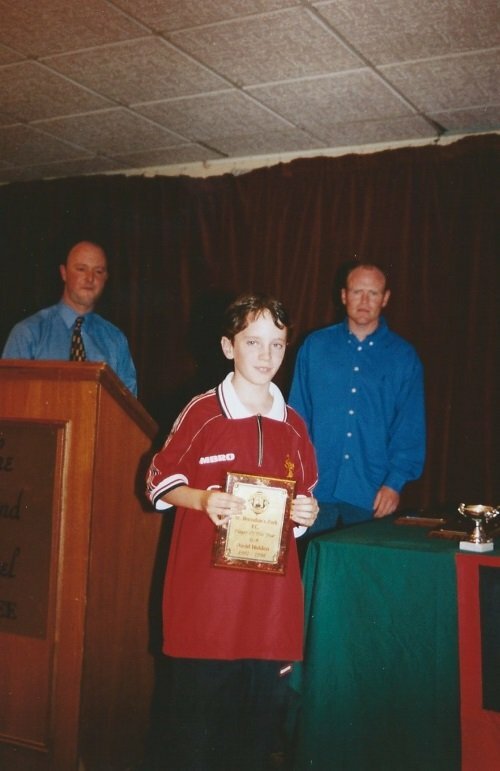 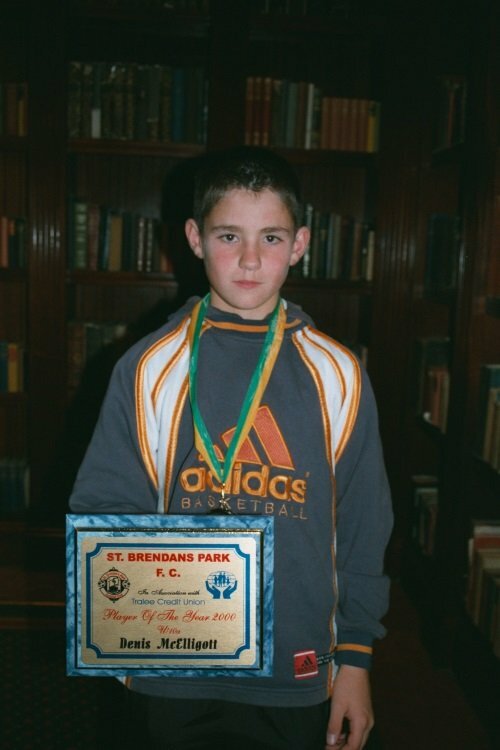 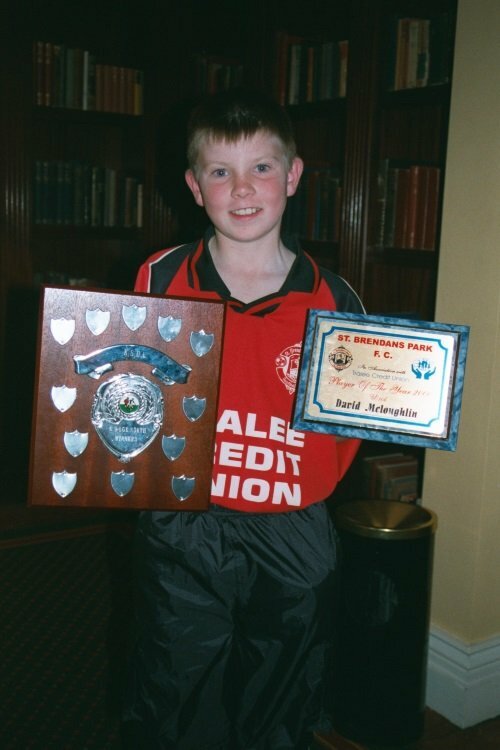 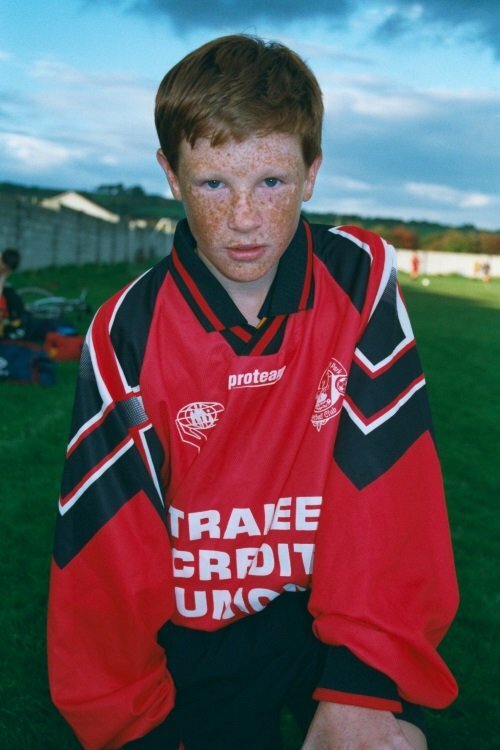 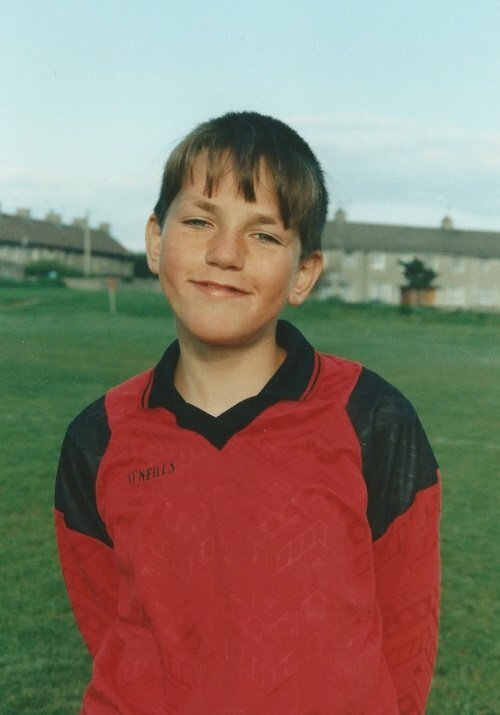 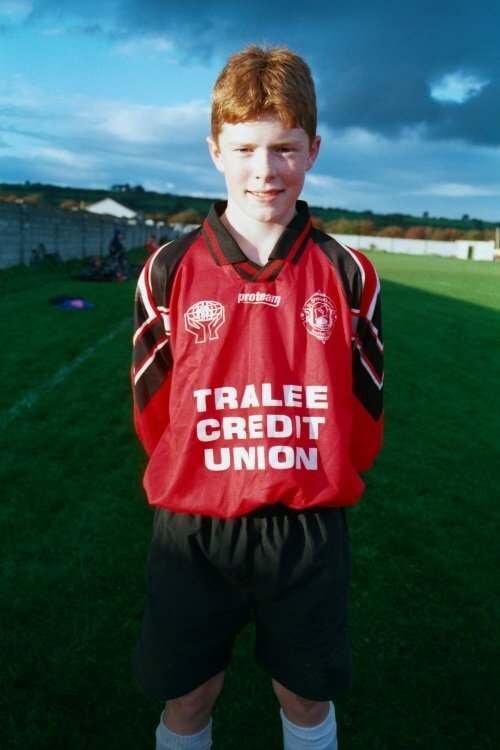 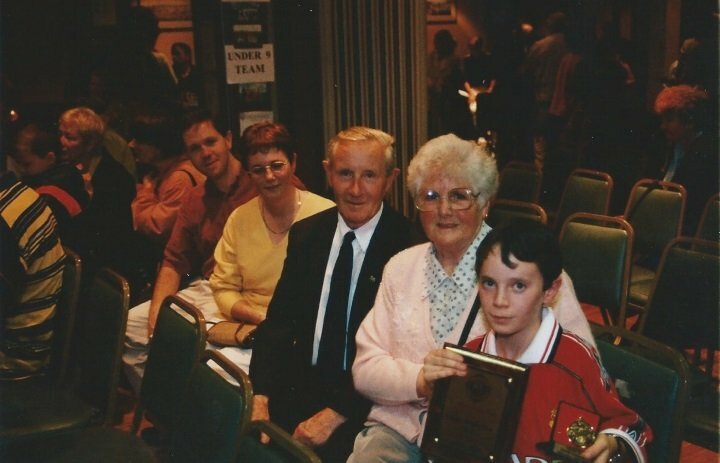 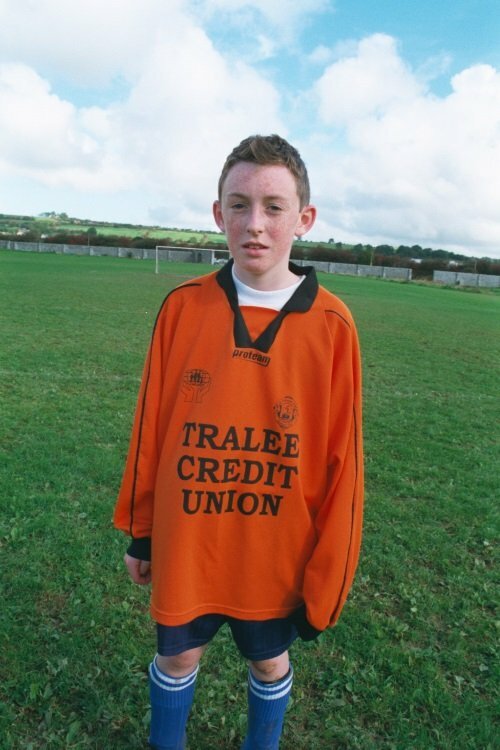 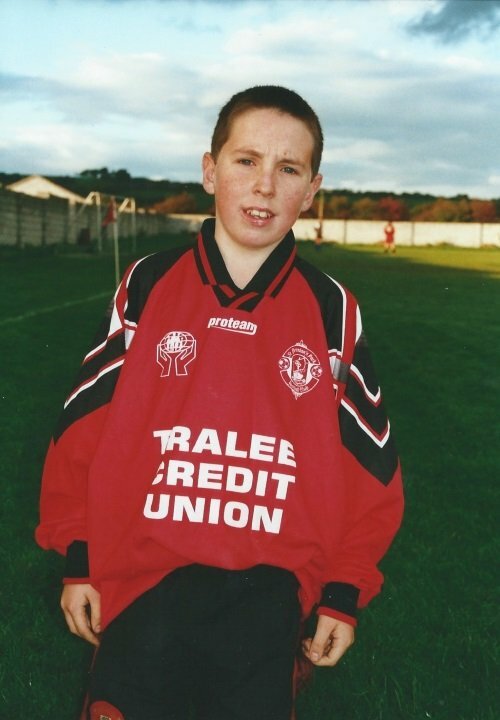 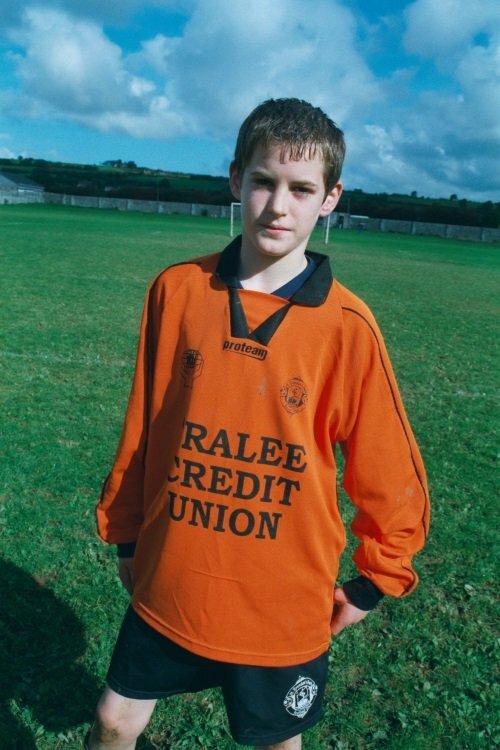 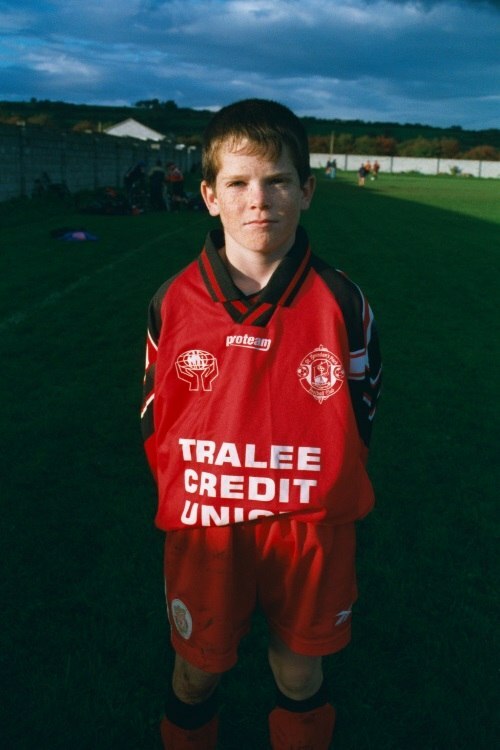 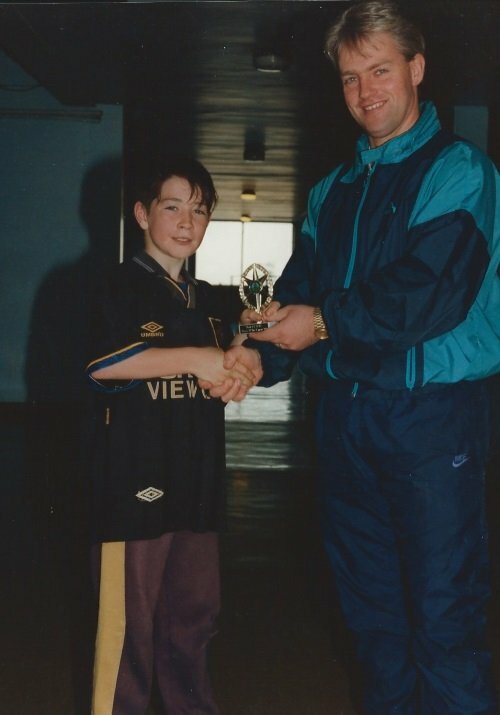 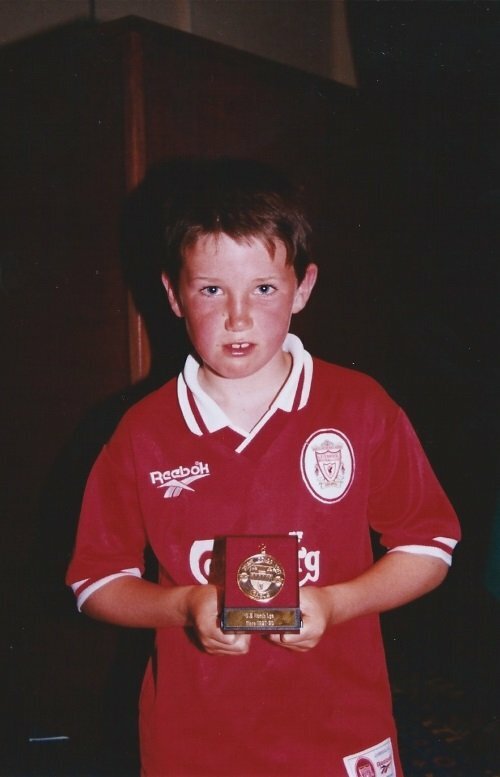 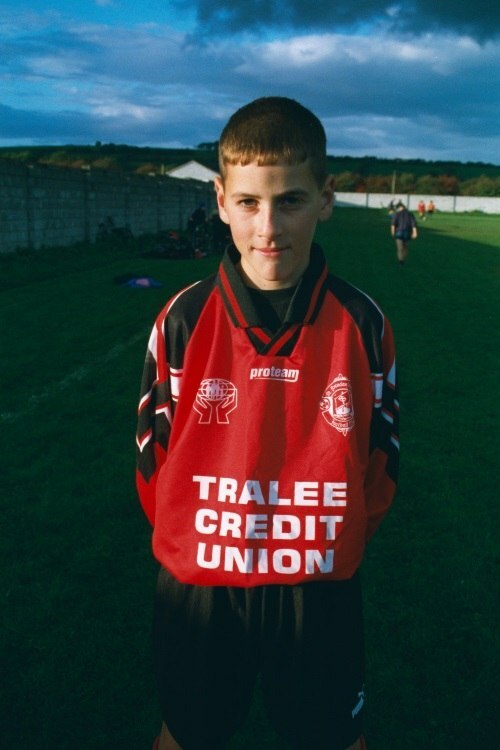 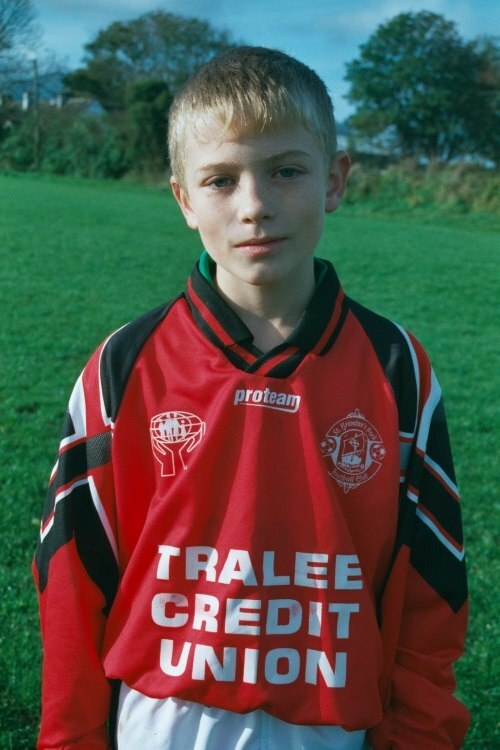 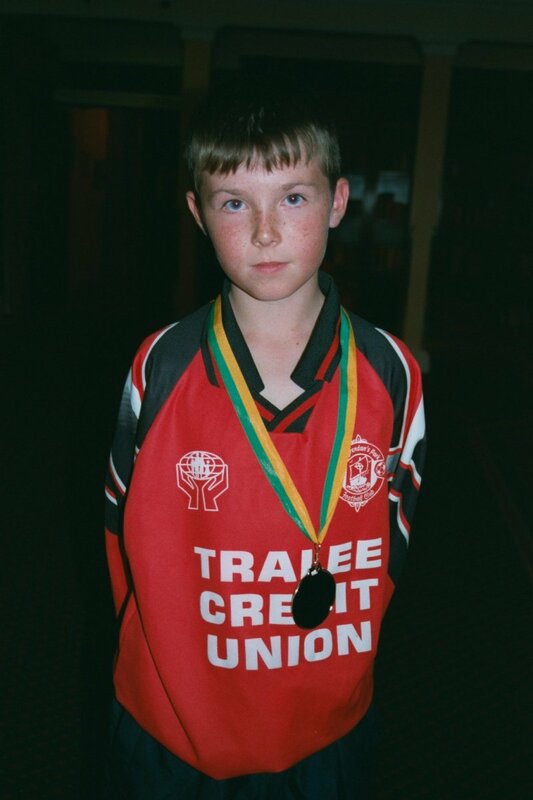 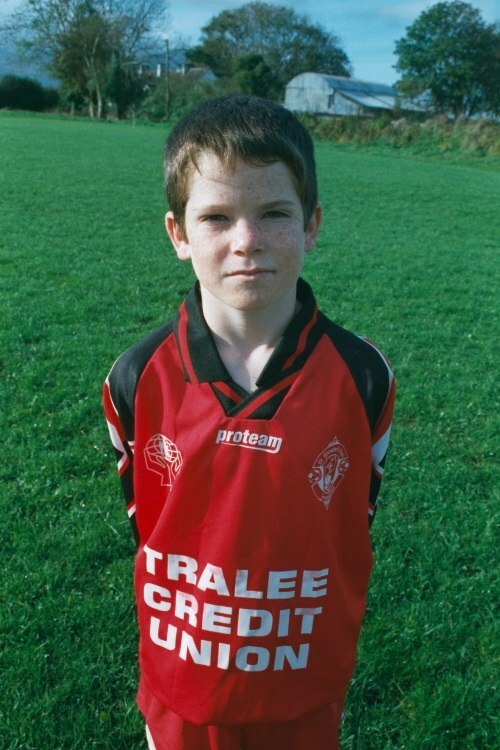 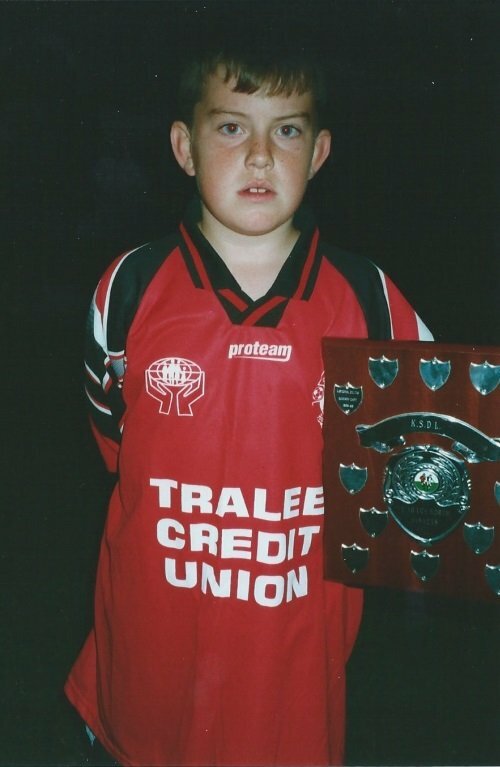 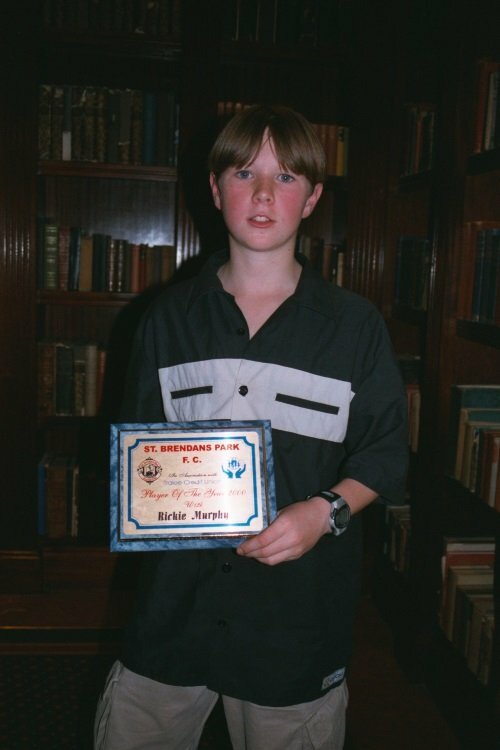 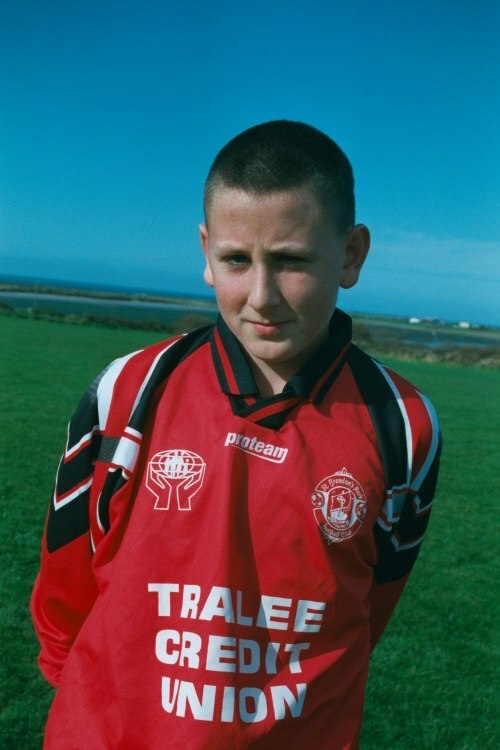 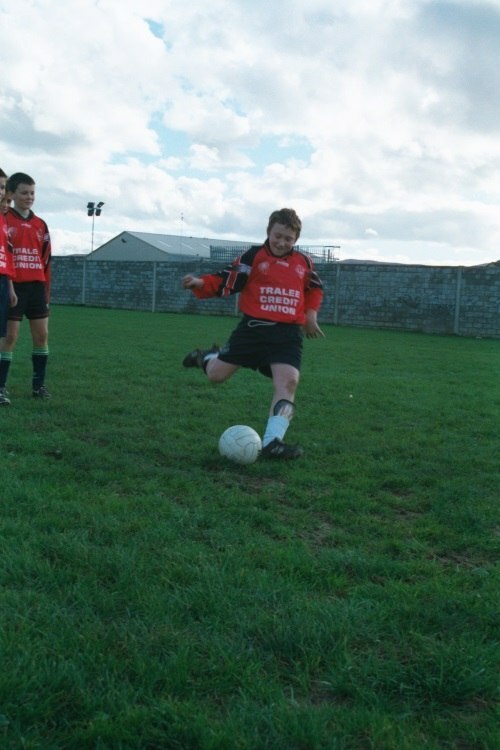 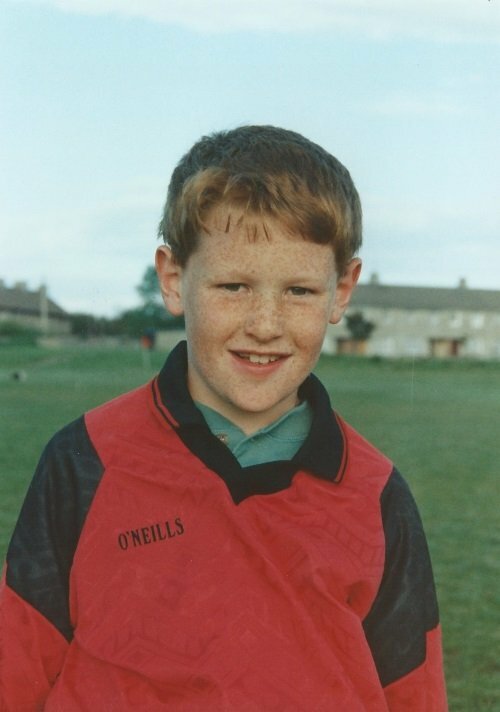 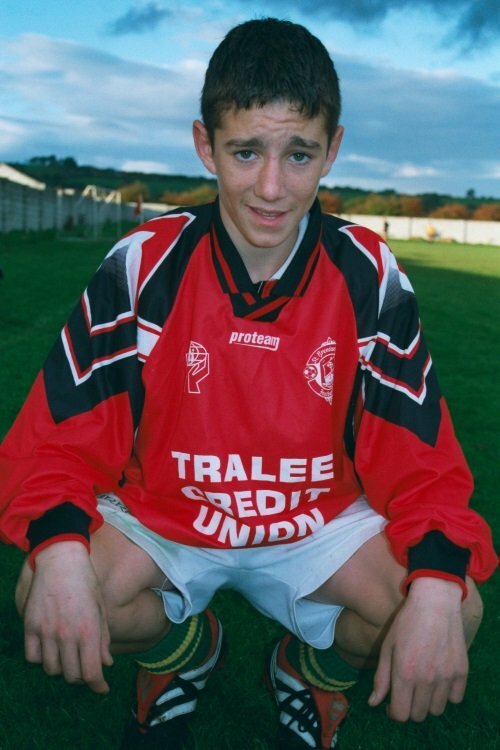 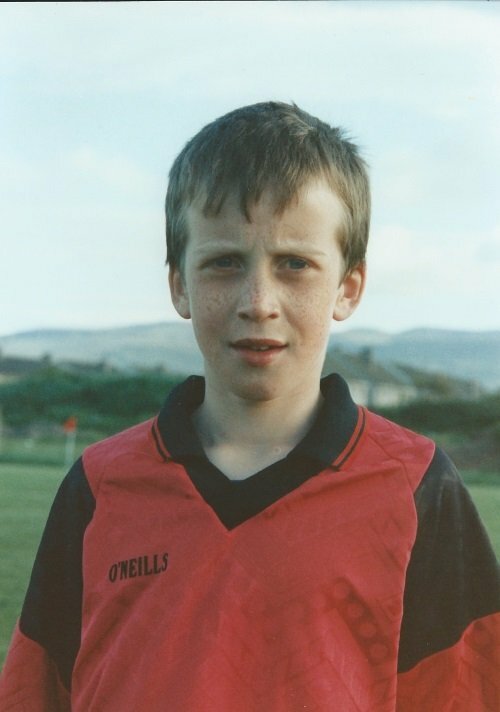 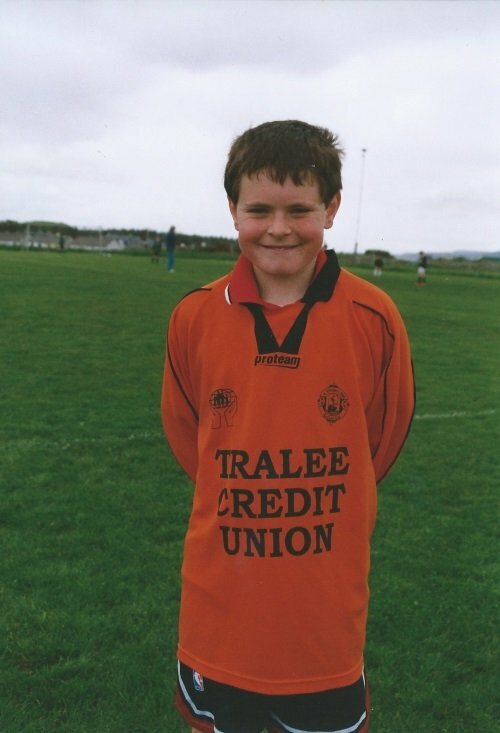 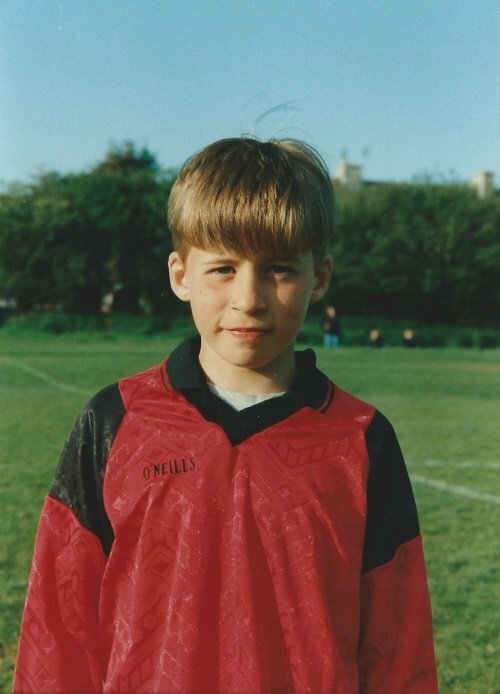 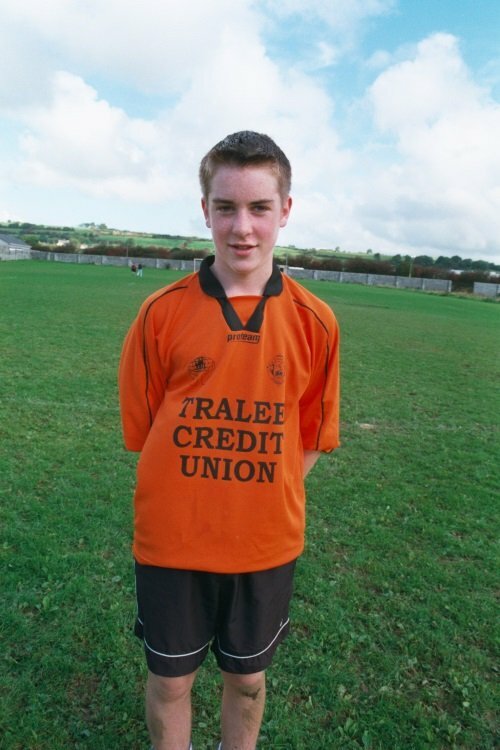 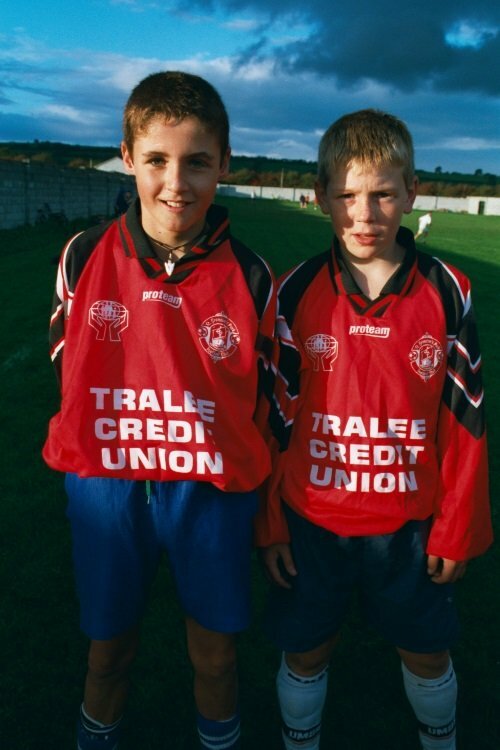 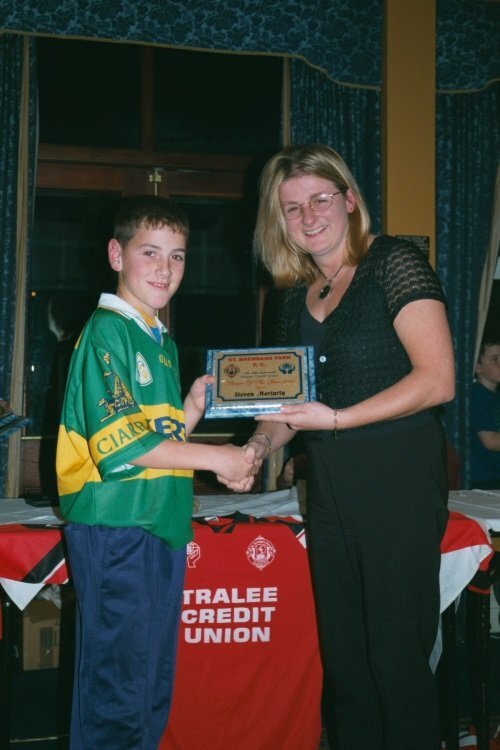 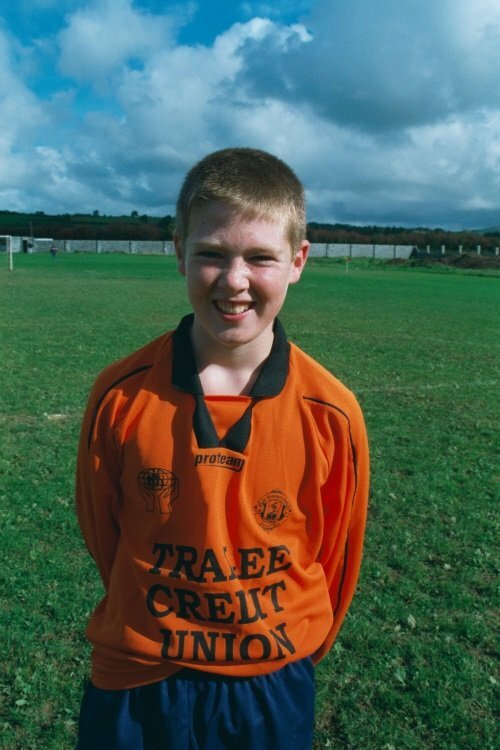 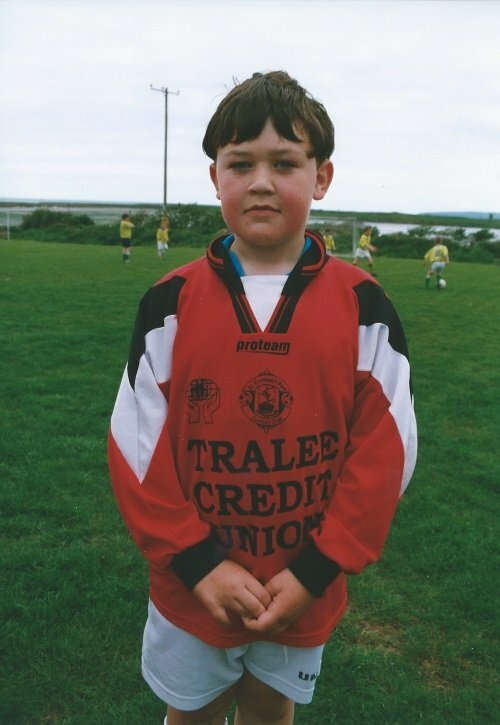 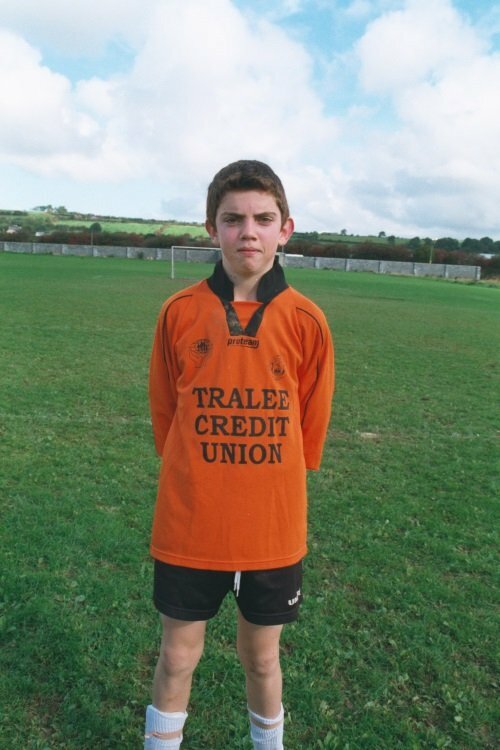 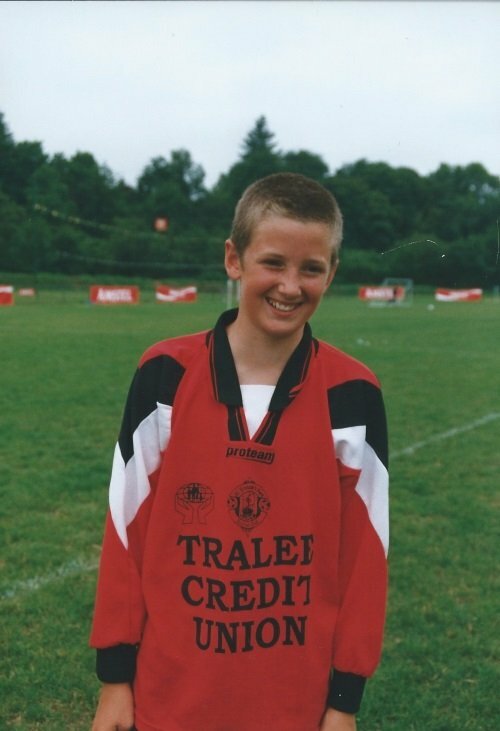 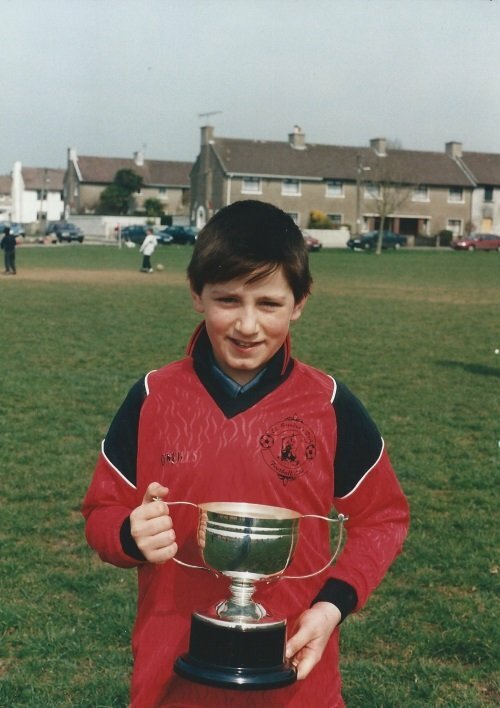 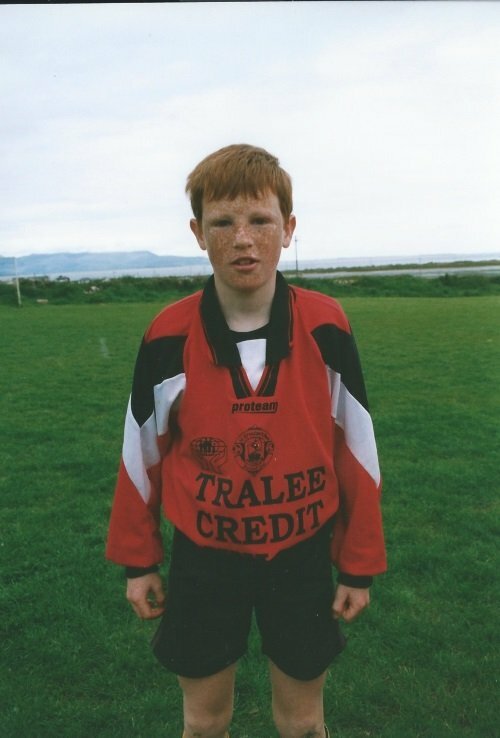 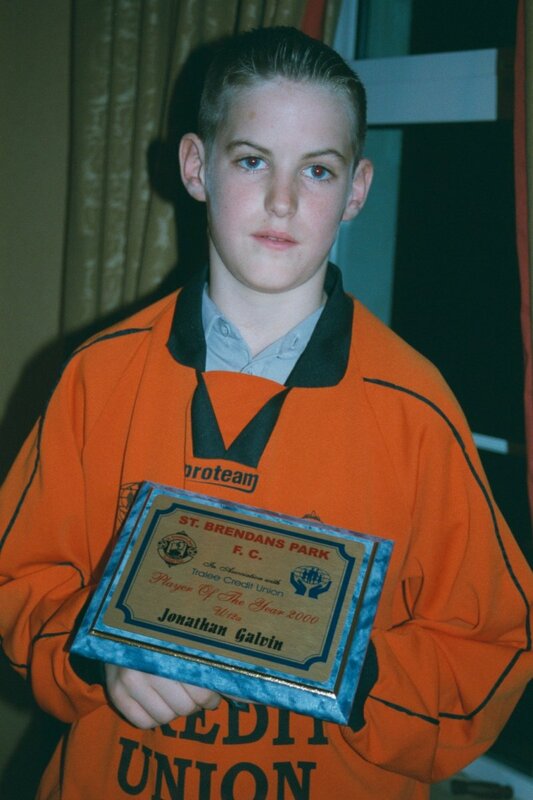 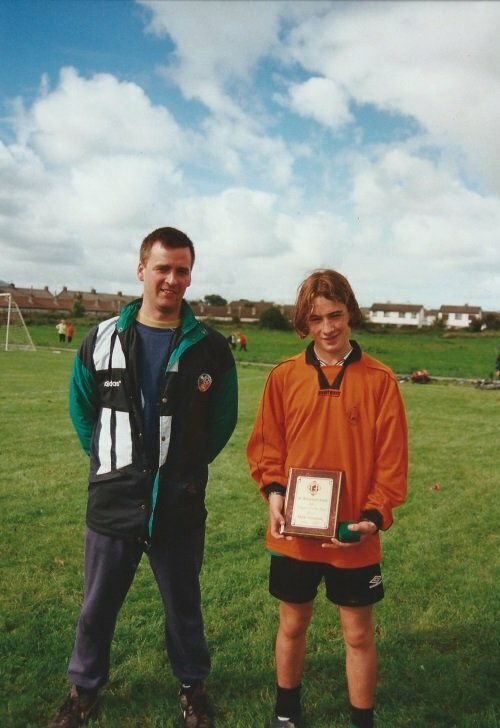 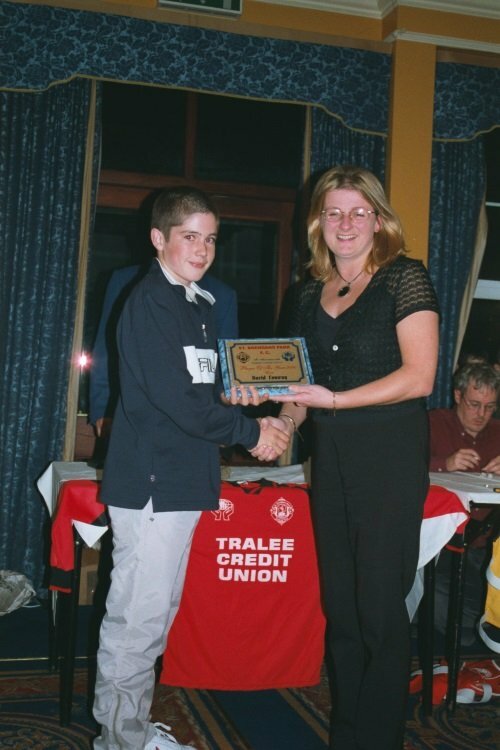 #86, Mark O'Connor Park Fc U13 , Alisha Dowling October 1996 . 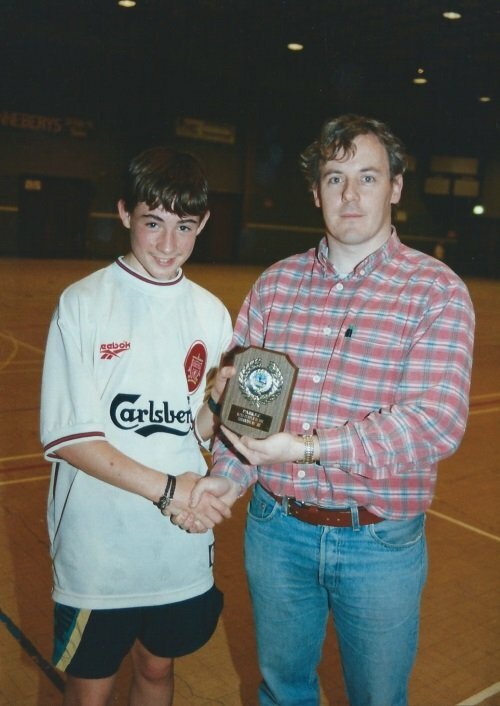 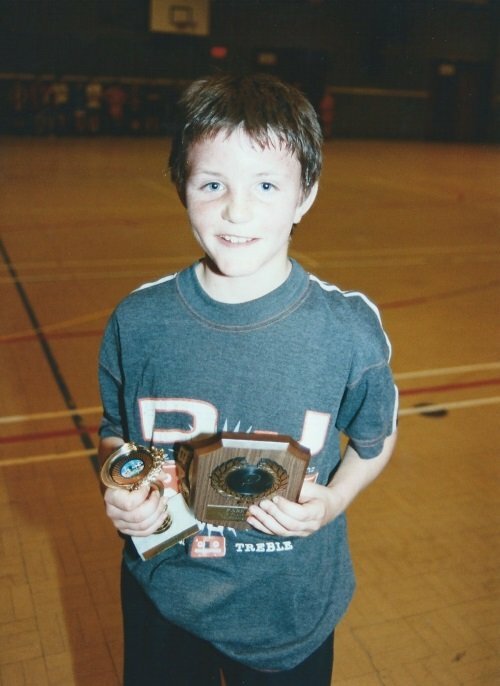 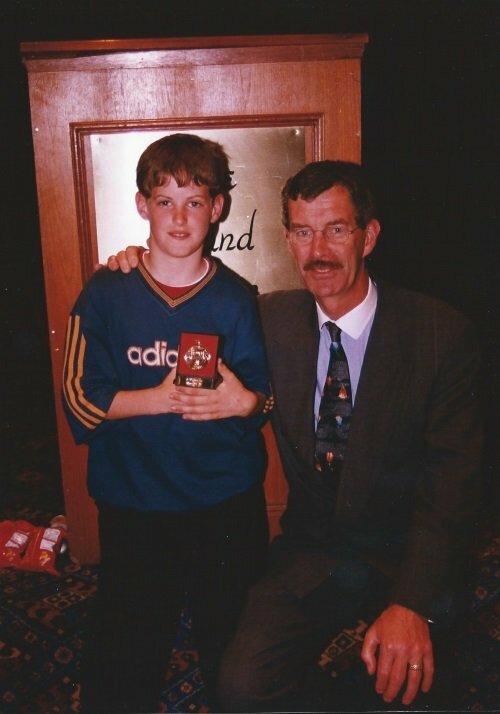 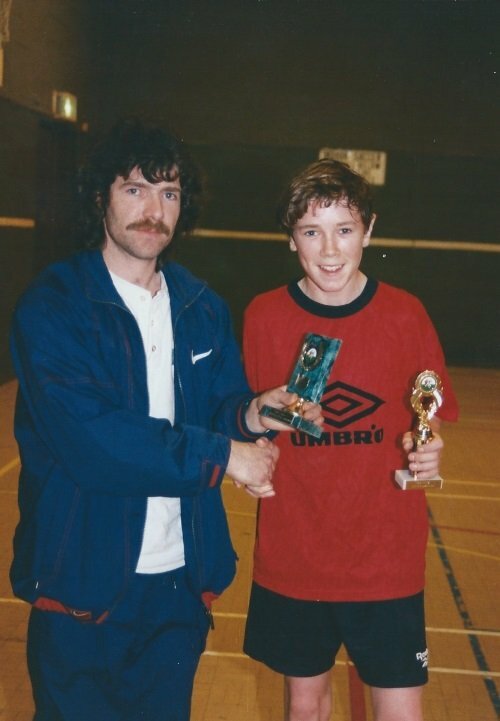 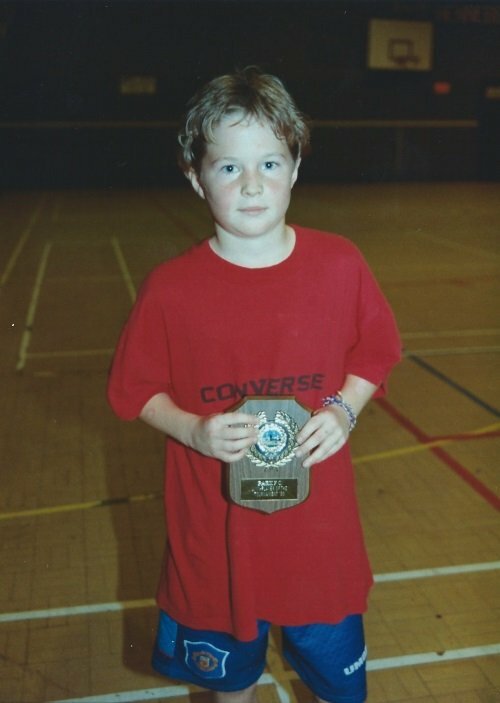 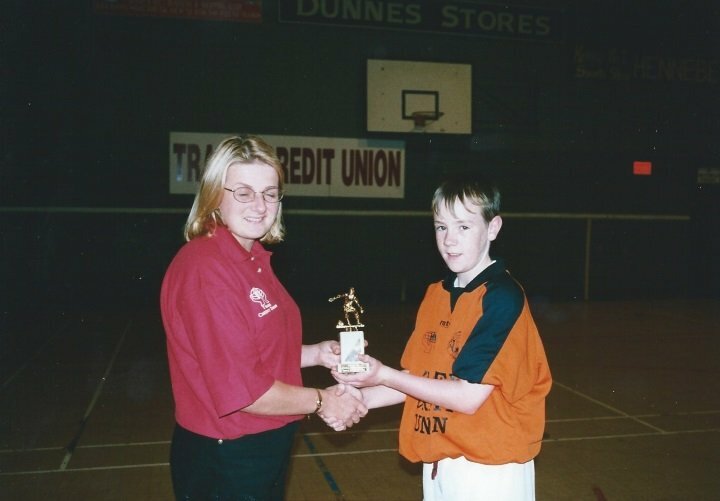 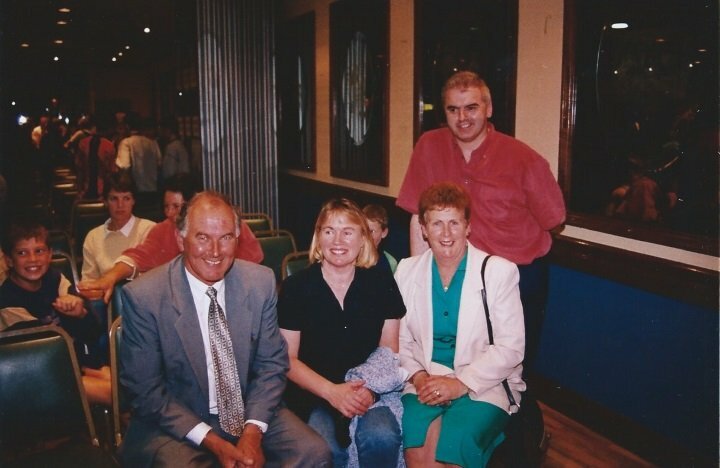 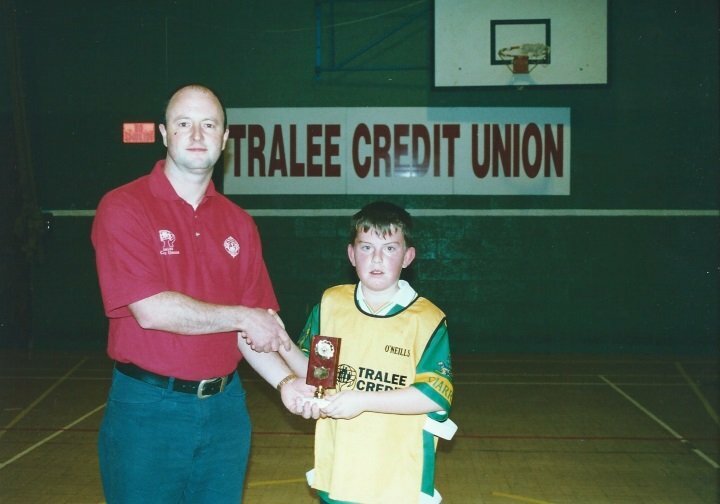 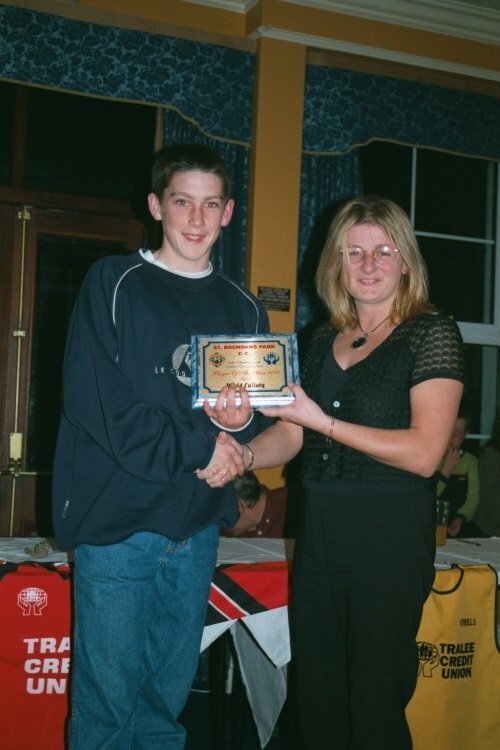 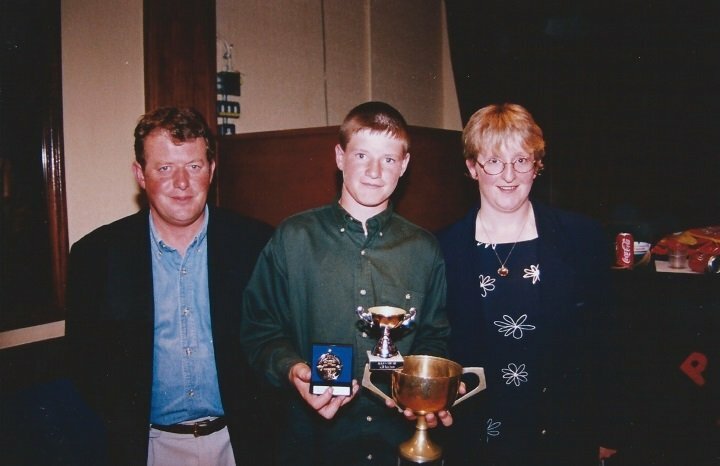 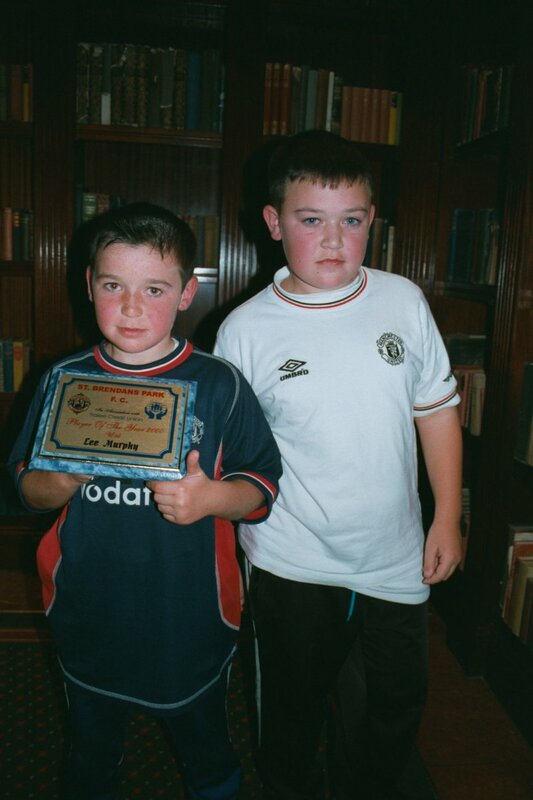 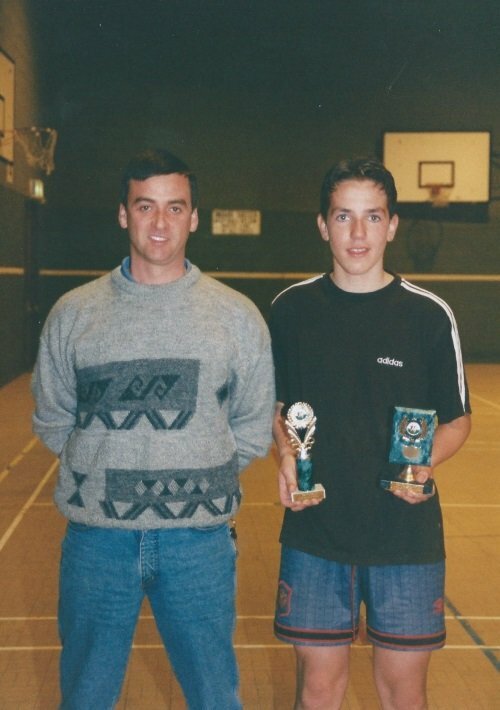 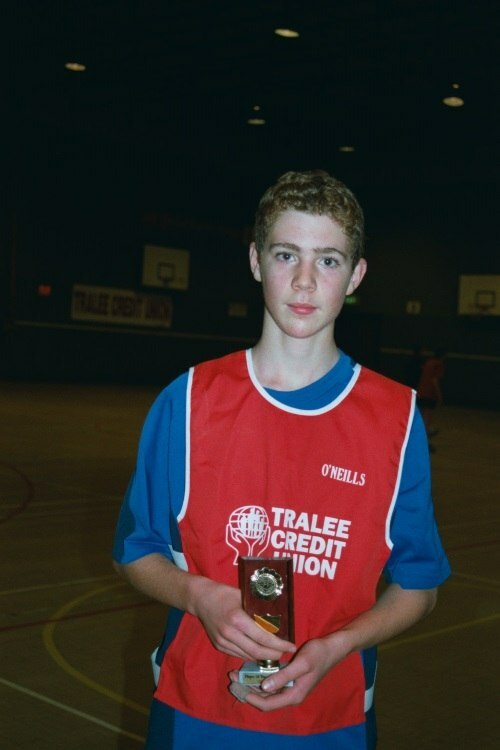 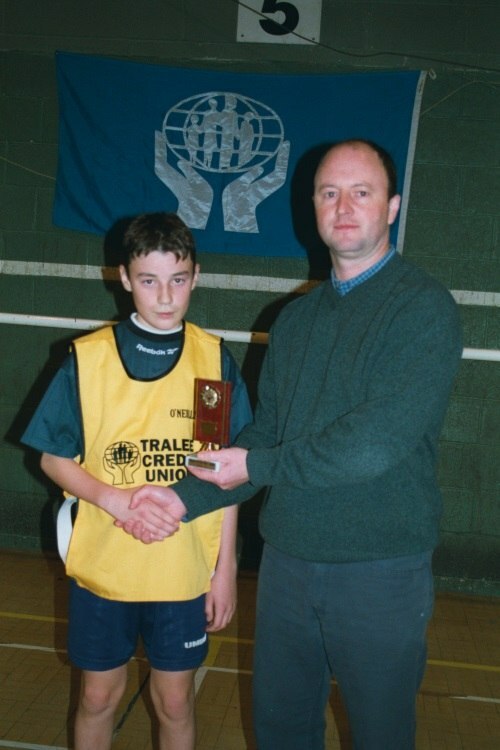 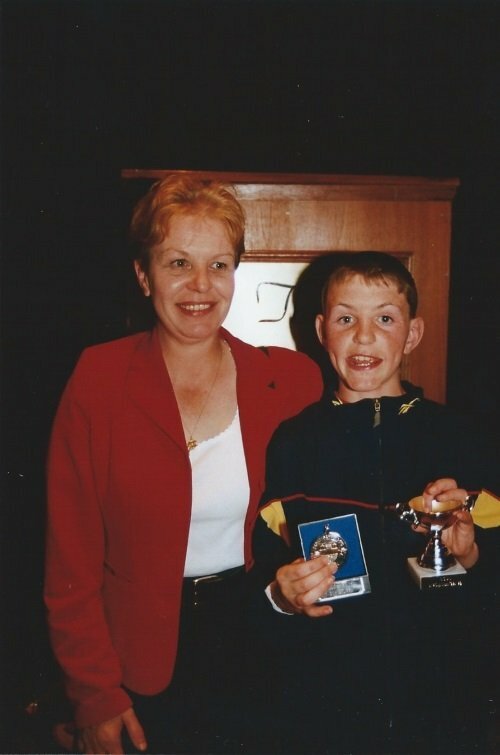 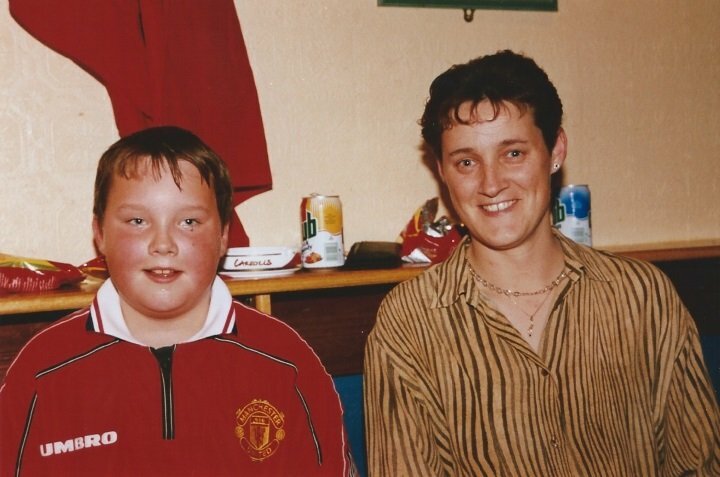 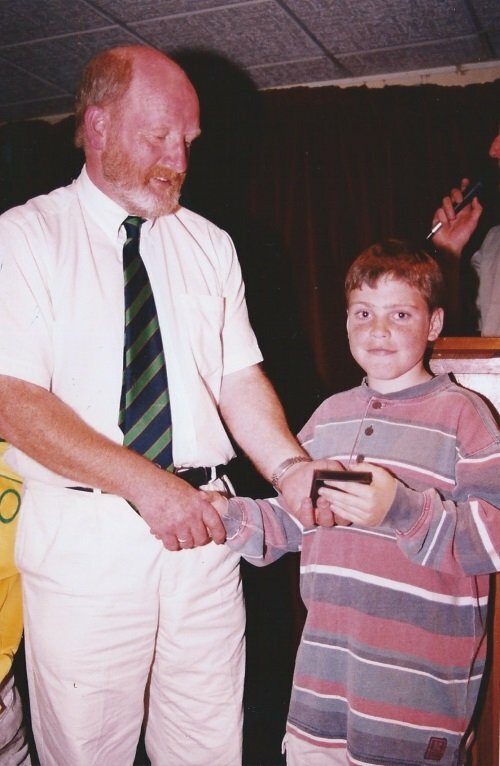 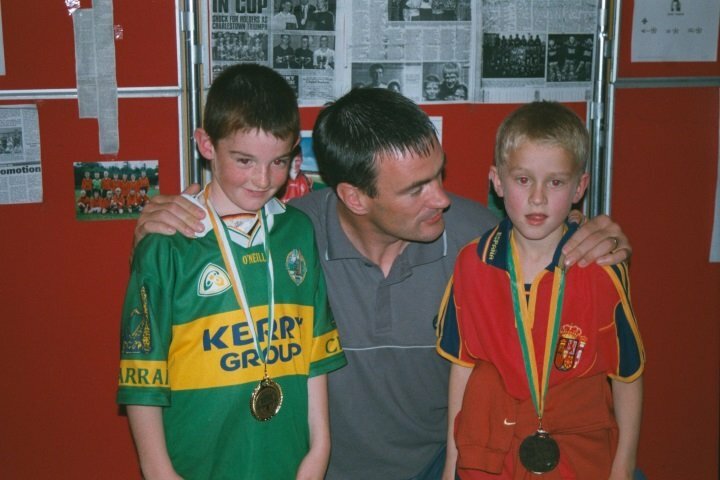 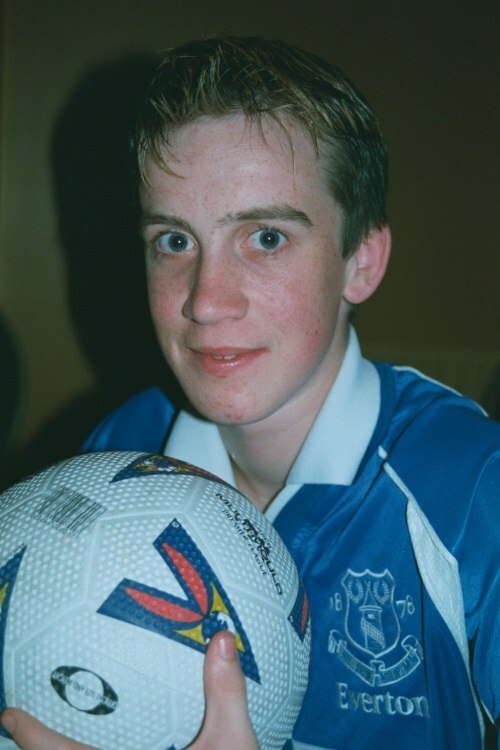 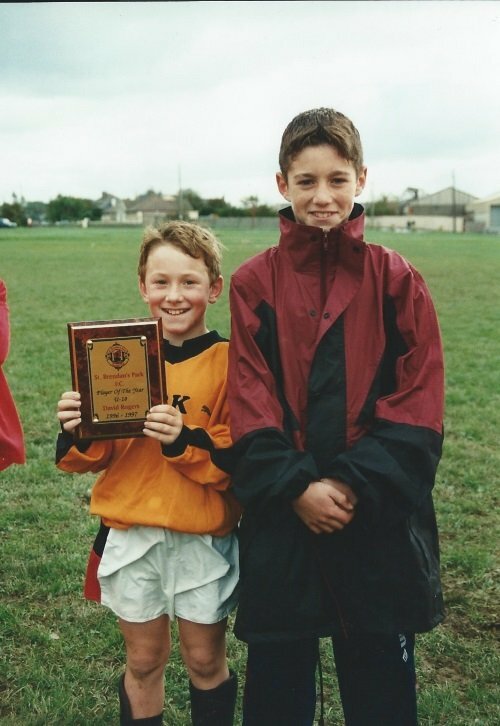 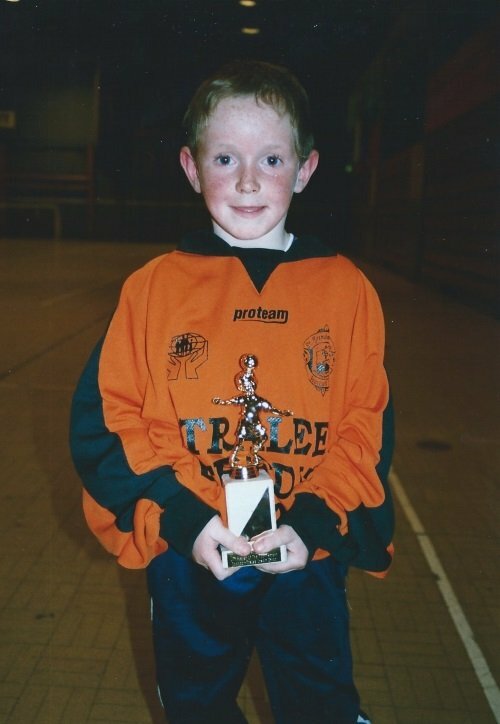 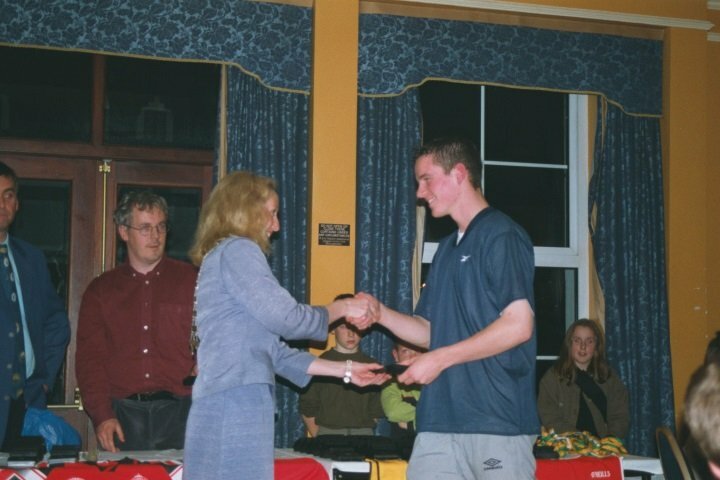 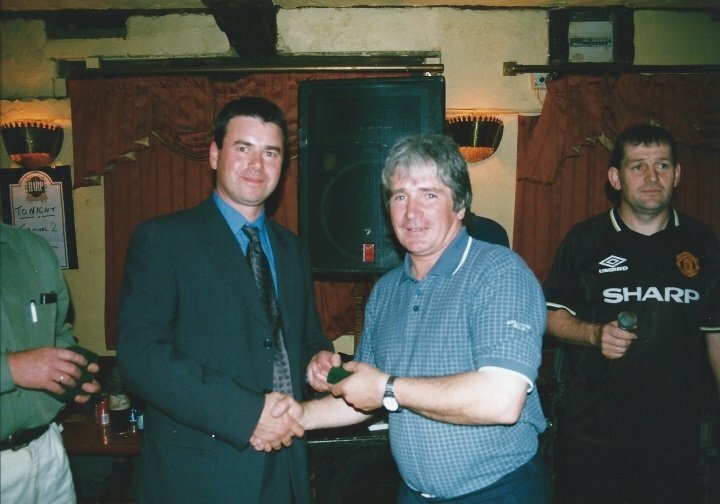 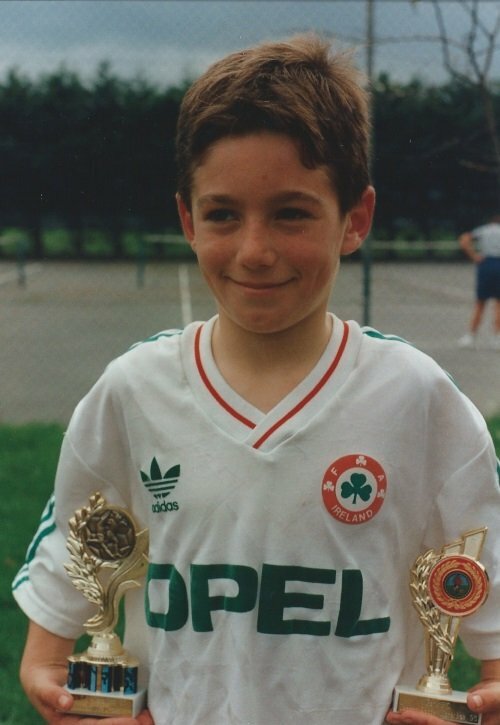 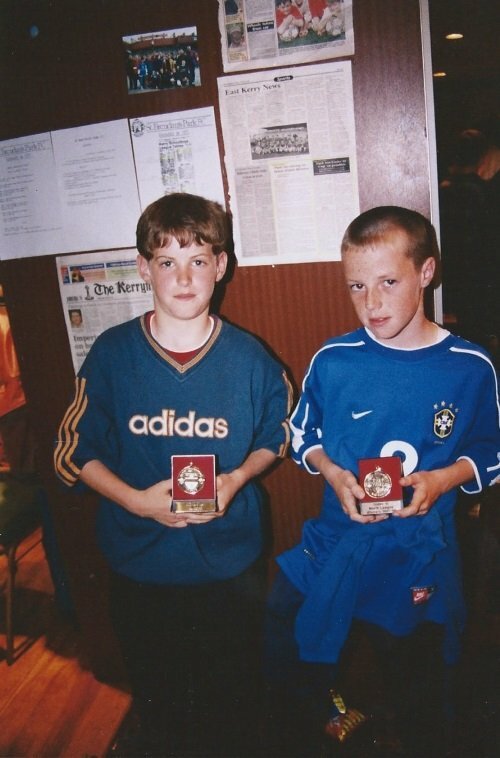 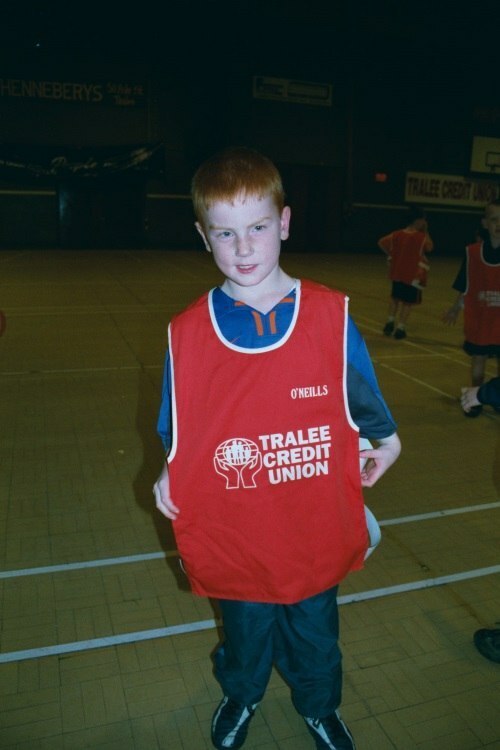 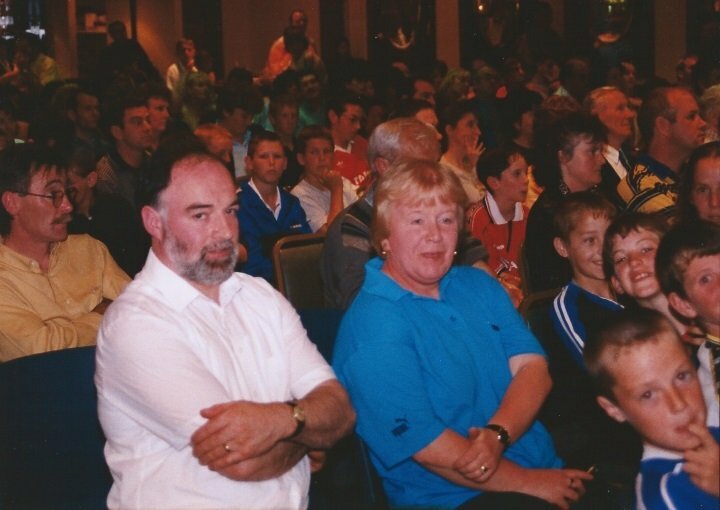 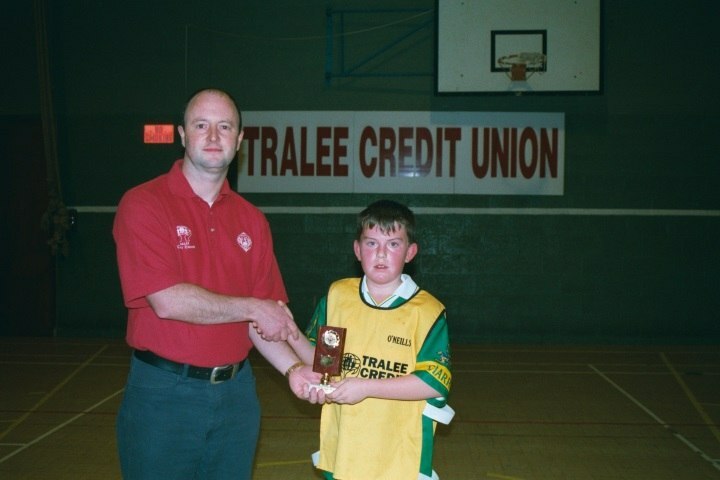 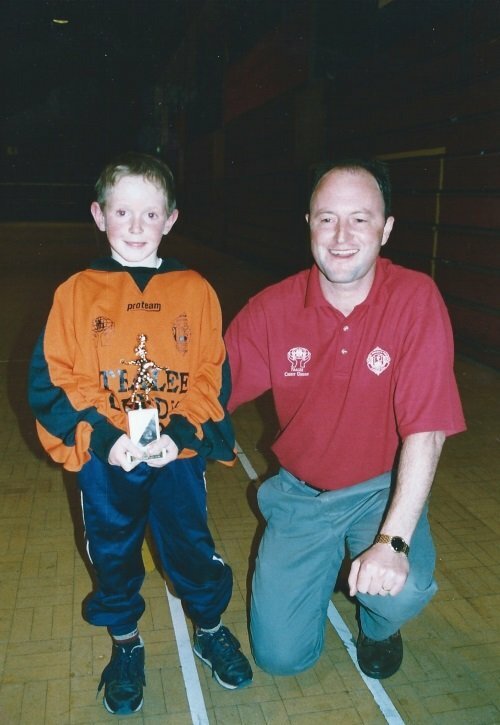 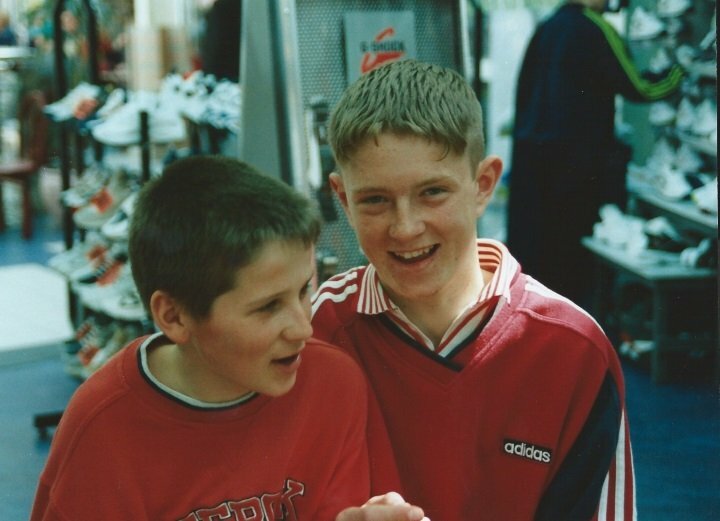 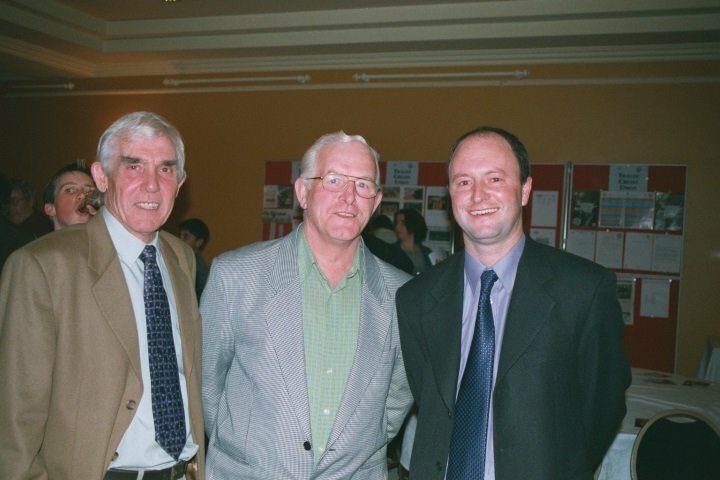 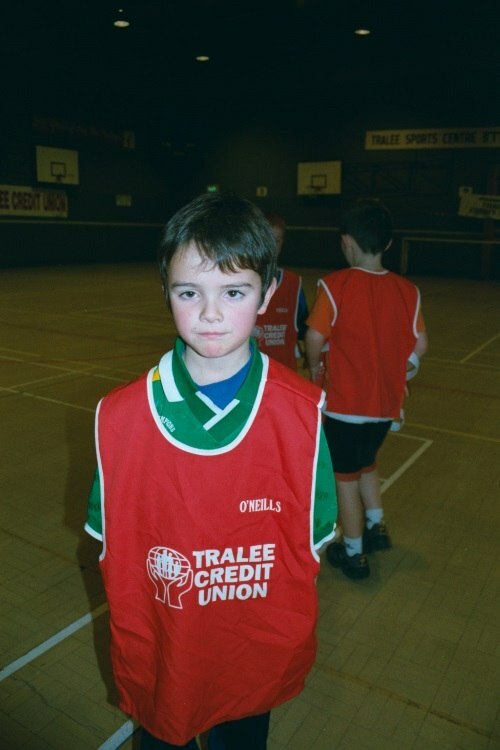 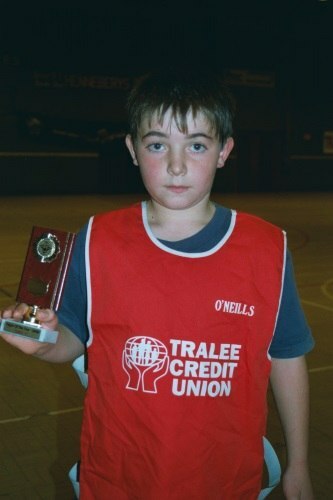 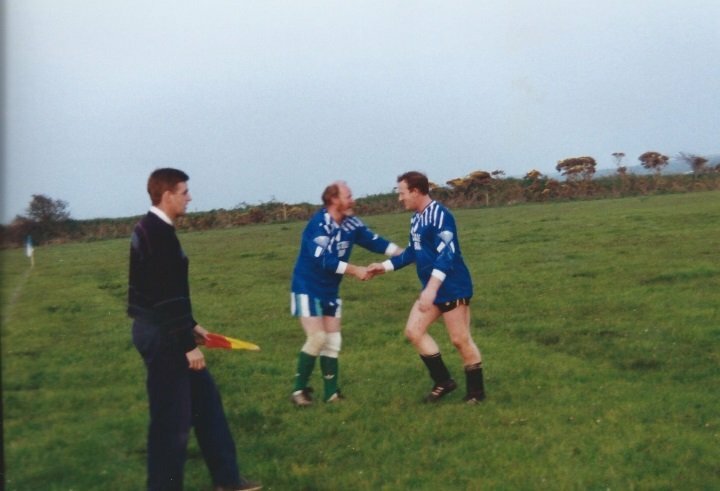 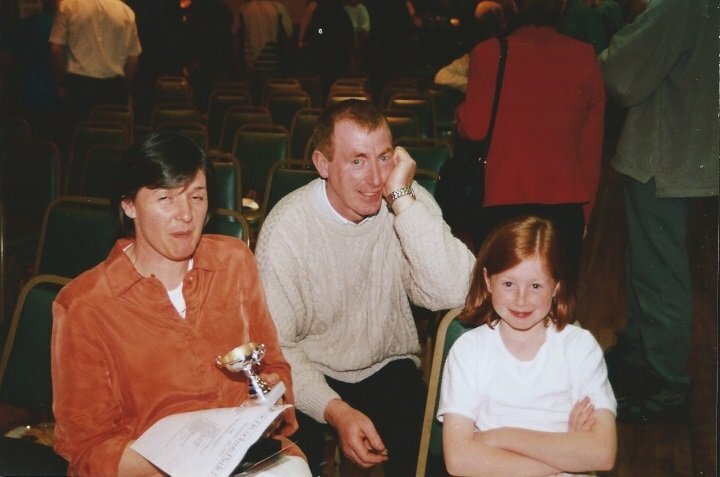 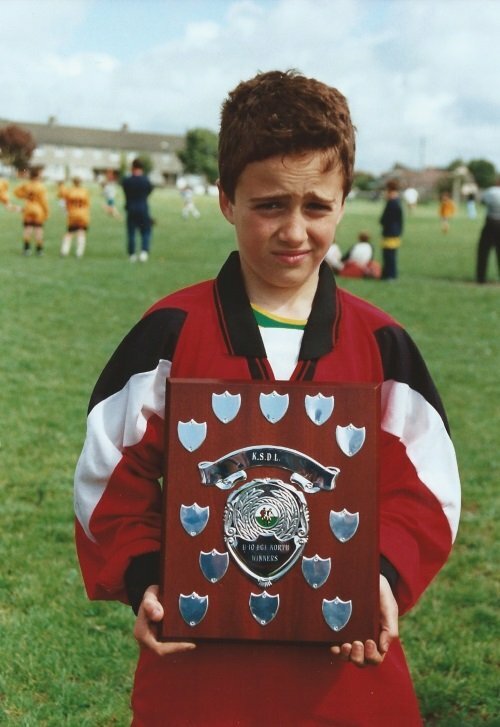 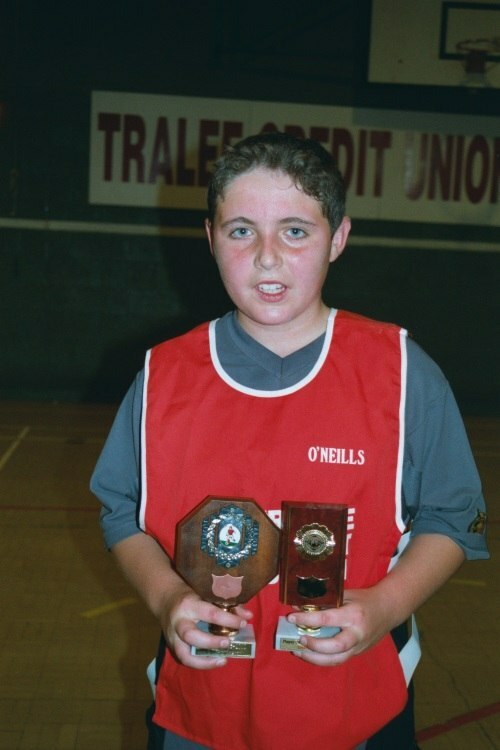 #100 , Denis McElligott & ? 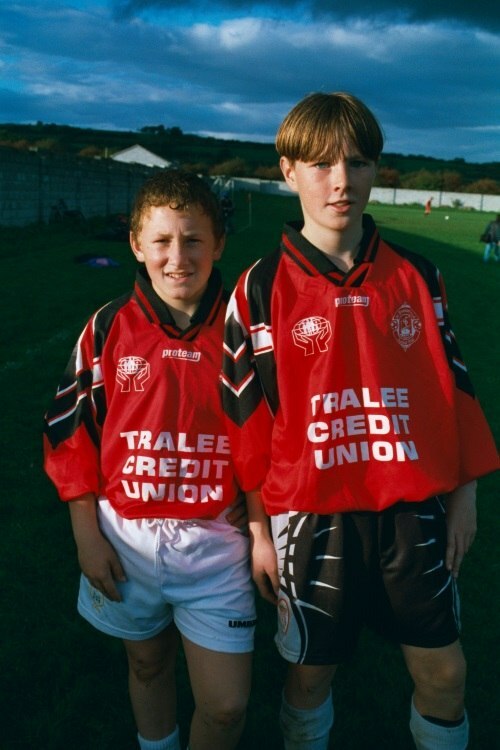 #100, Denis McElligott & ? 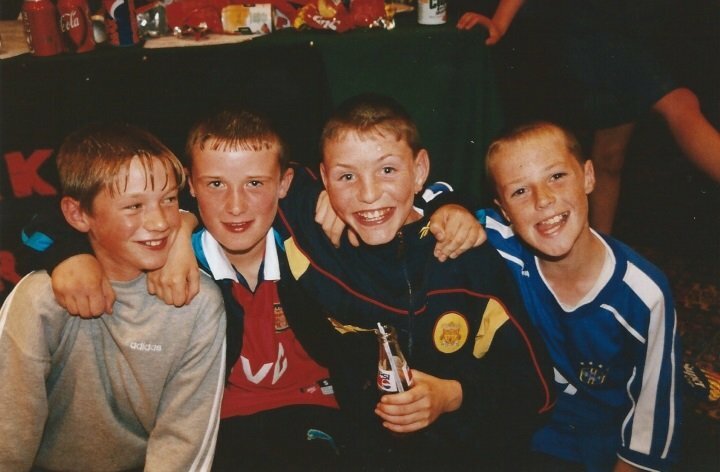 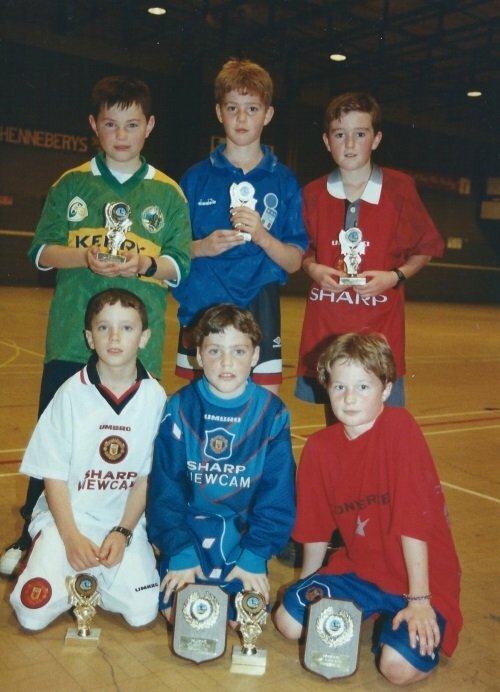 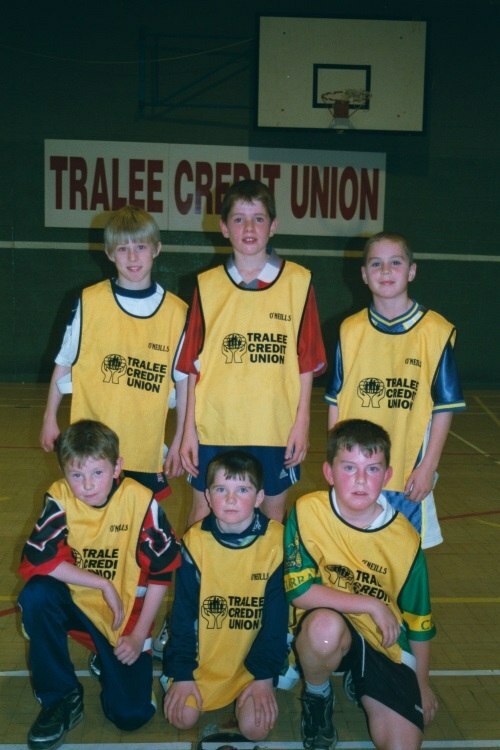 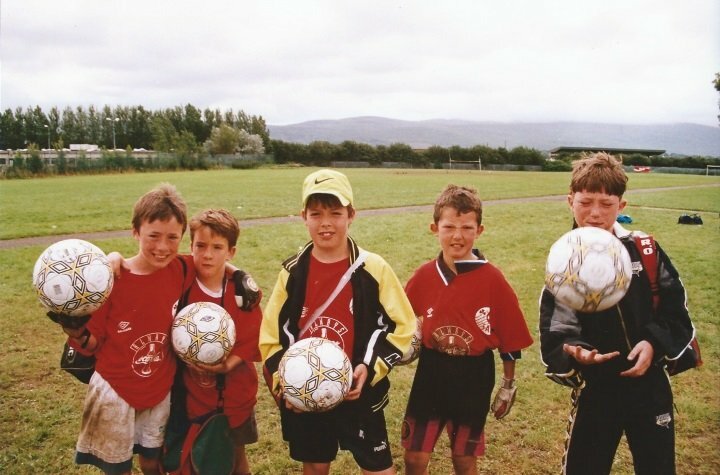 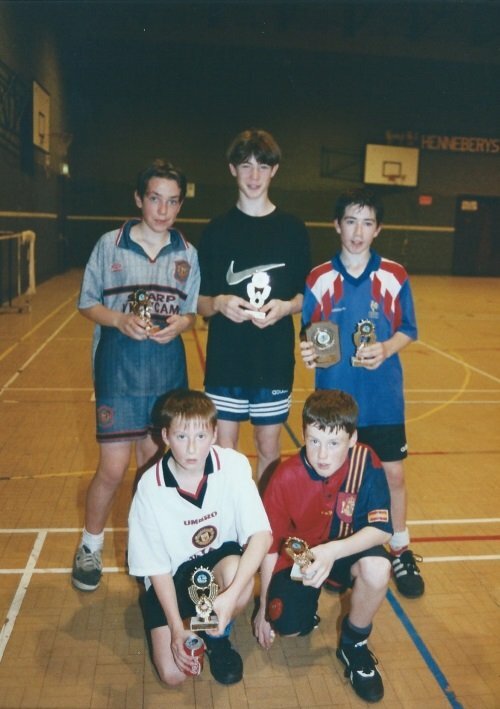 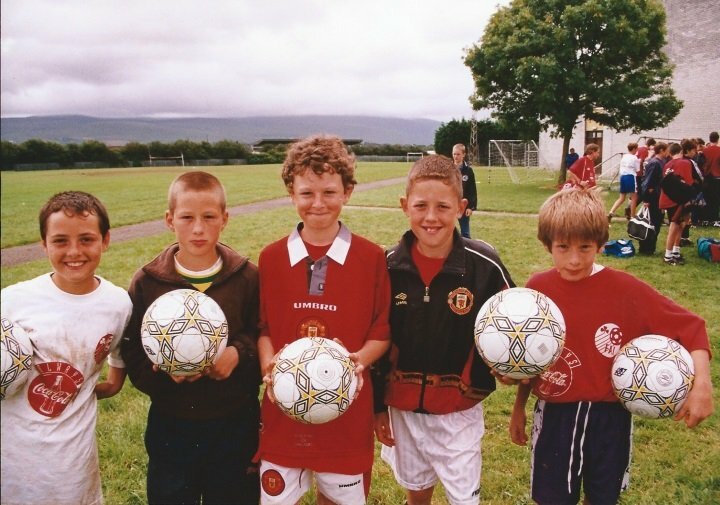 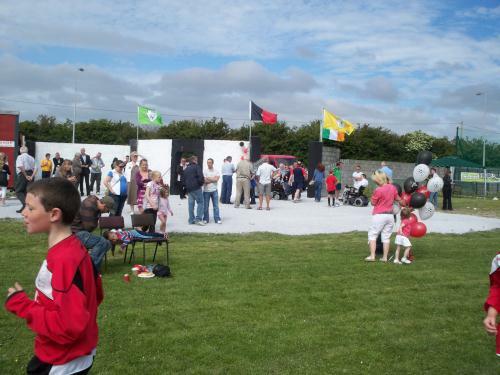 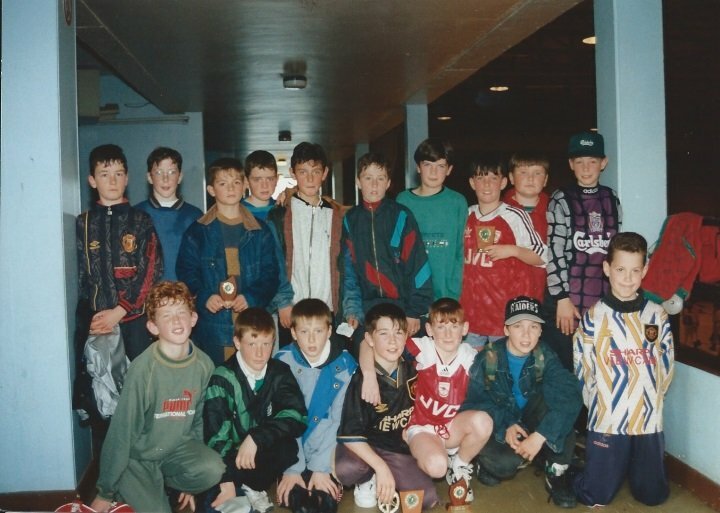 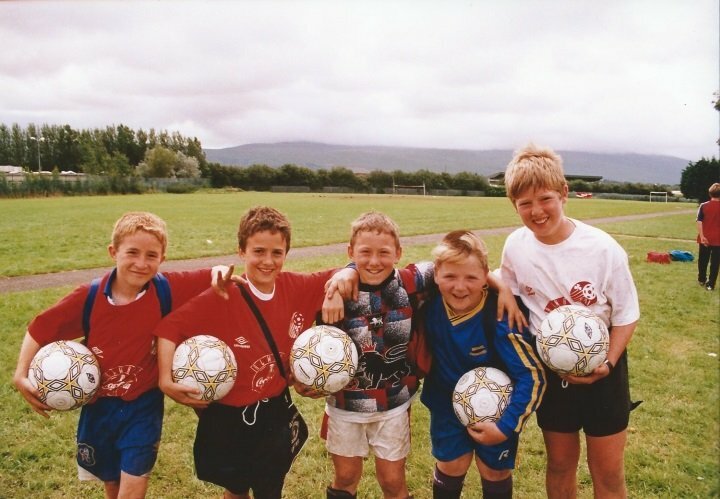 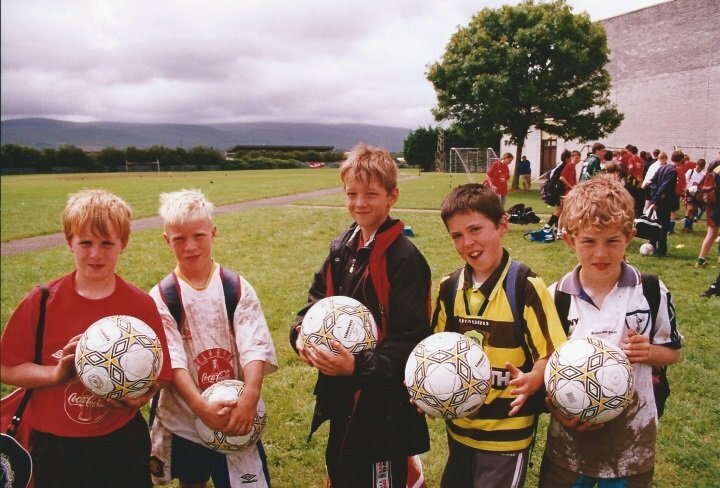 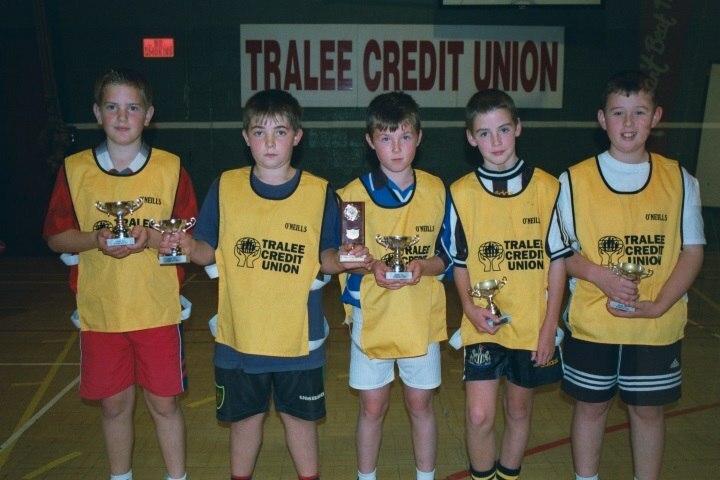 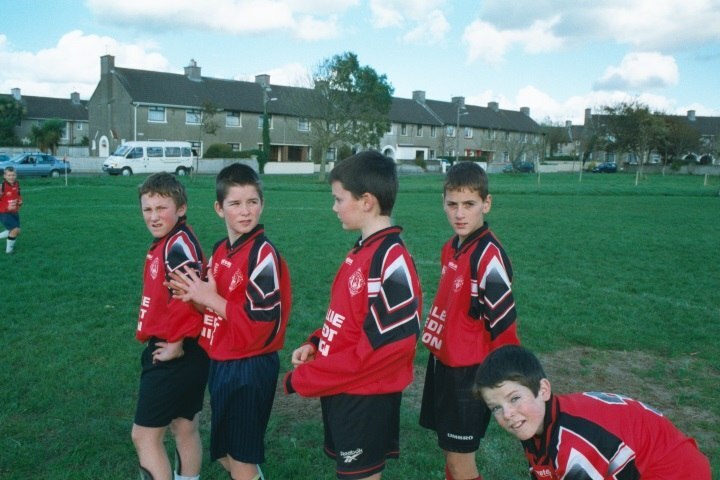 Martin Courtney , David o Leary , Tommy Naughton , David Conway , Timmy Lynch , David Hennebery . 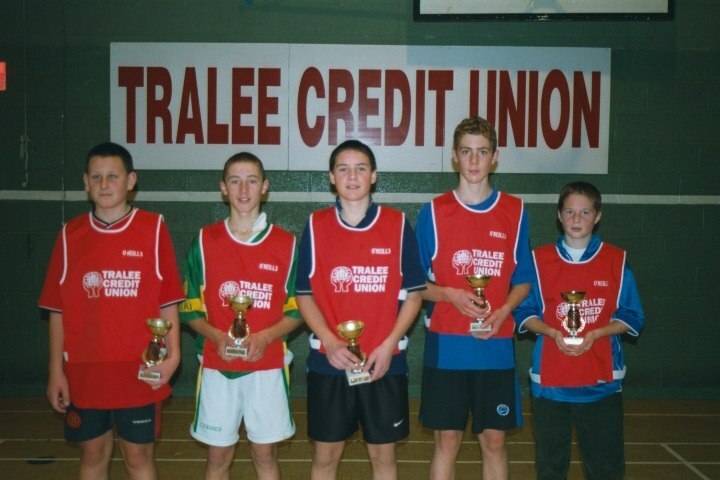 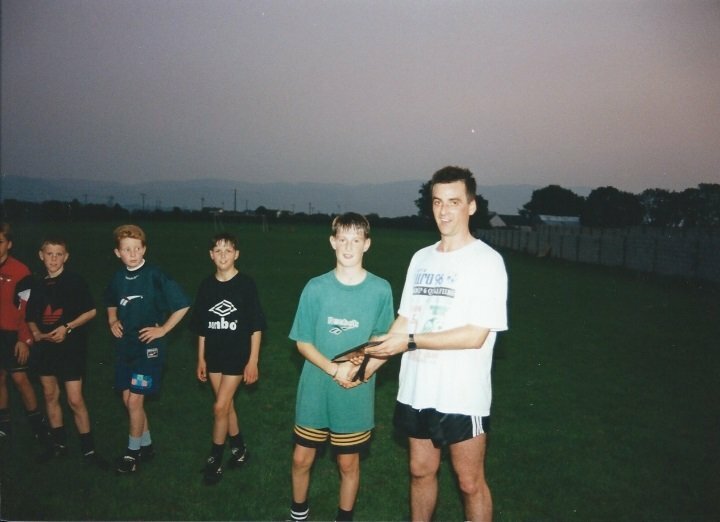 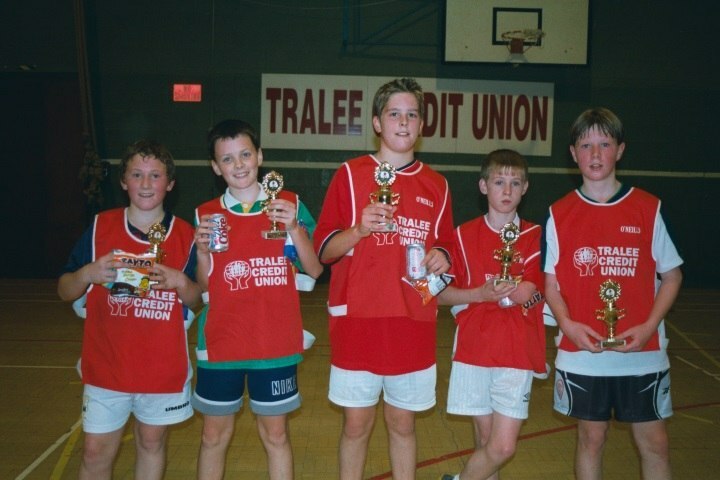 Owen Moynihan , Richie Greer , Darren Aherne , Adrian Quirke , Padraig McCannon . 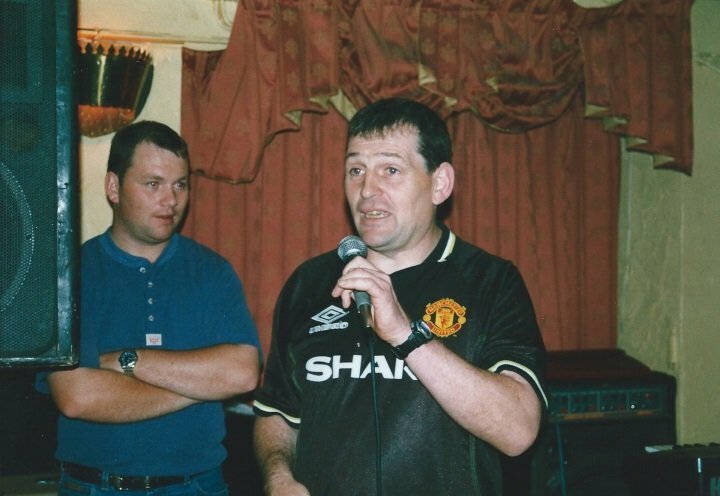 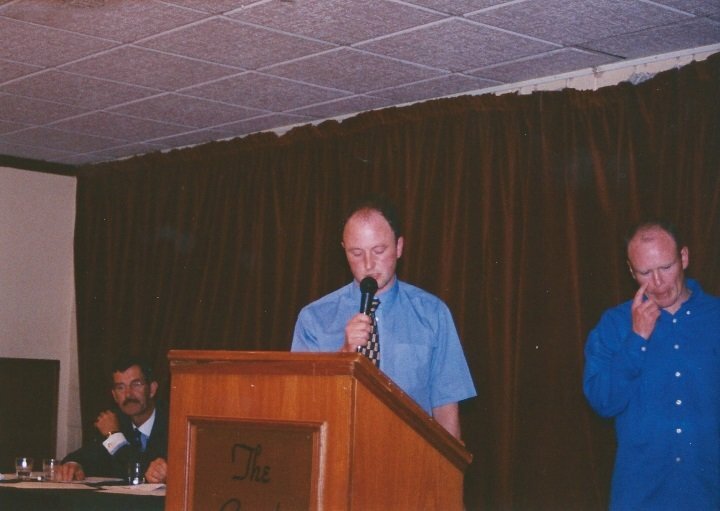 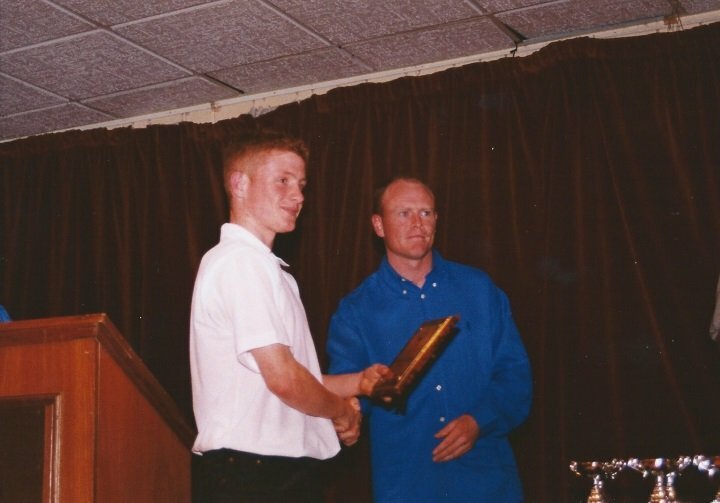 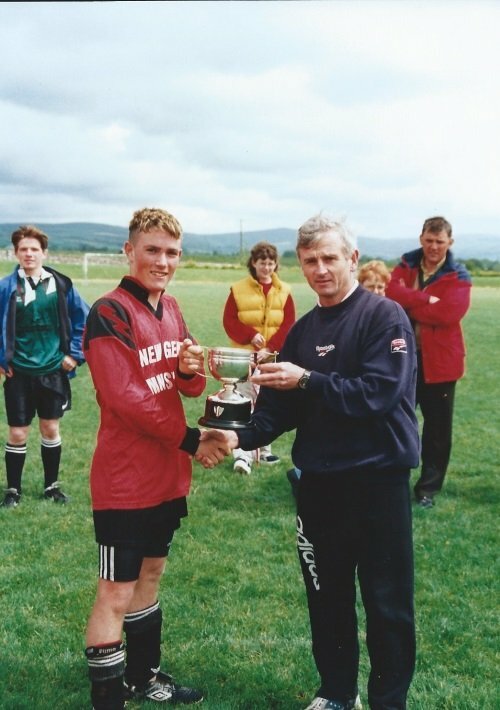 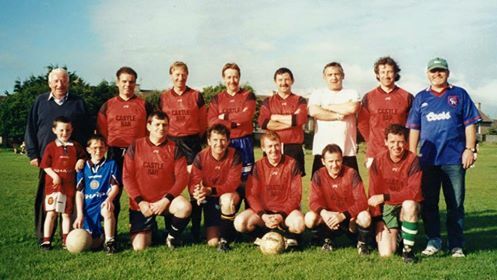 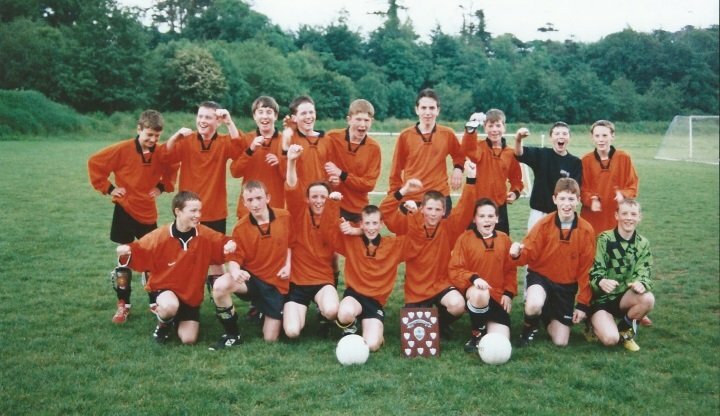 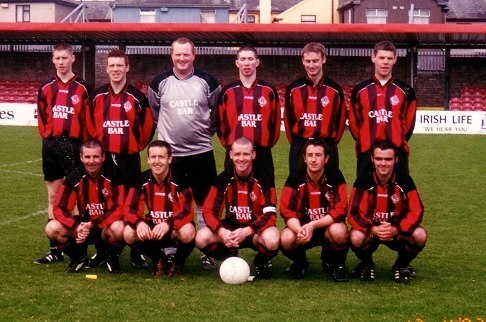 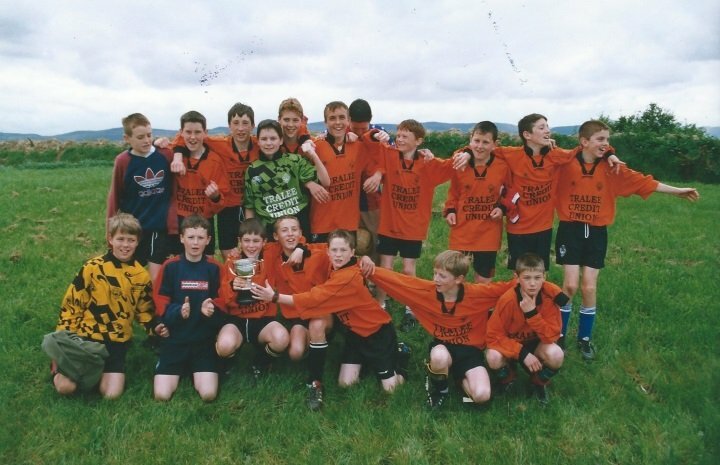 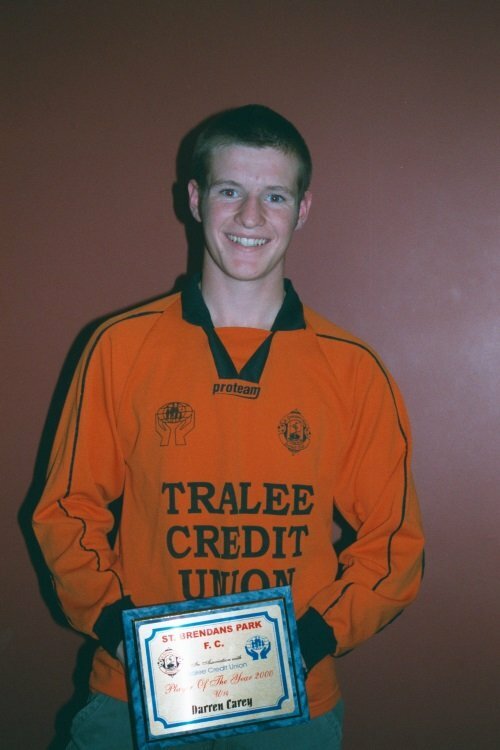 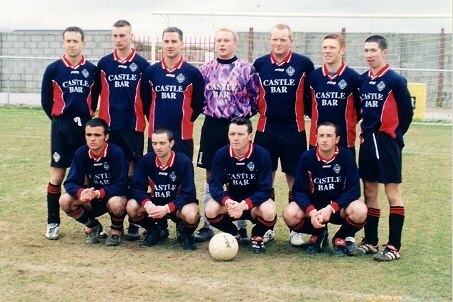 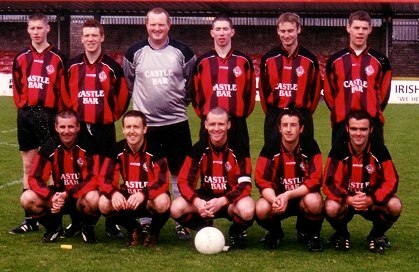 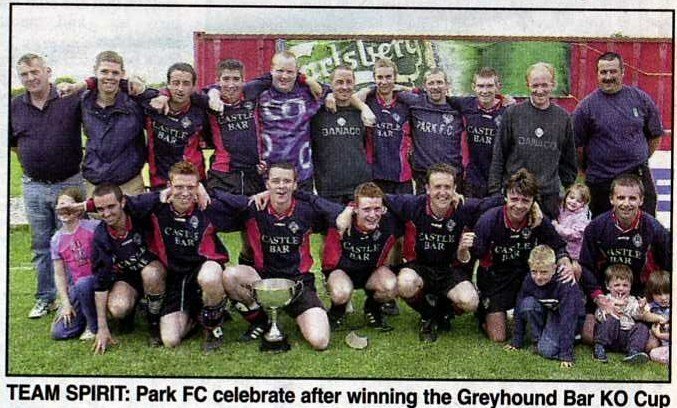 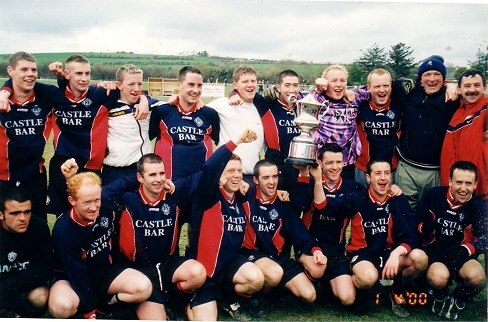 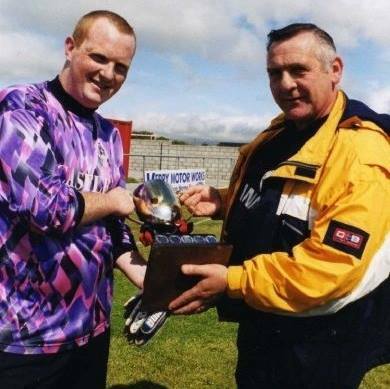 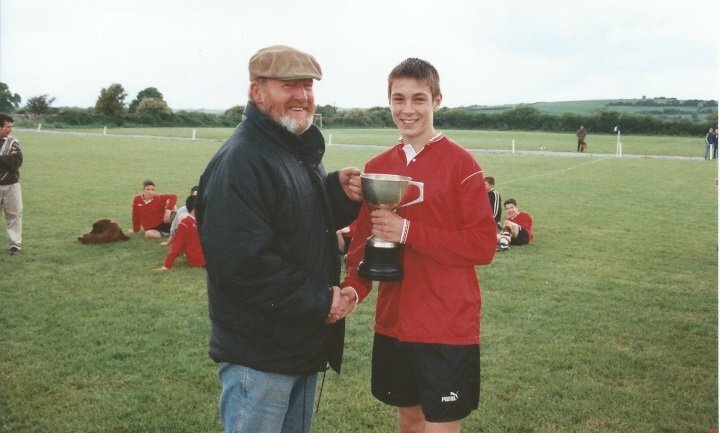 #151, Senior A team, Castle Bar League Cup Winners 2000 . 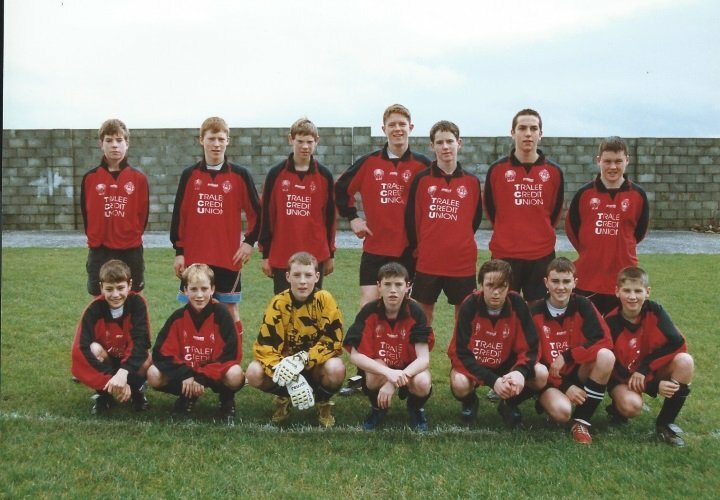 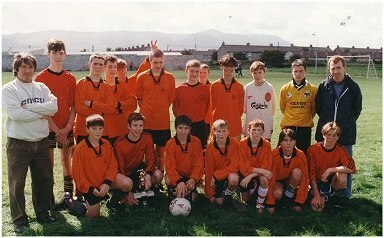 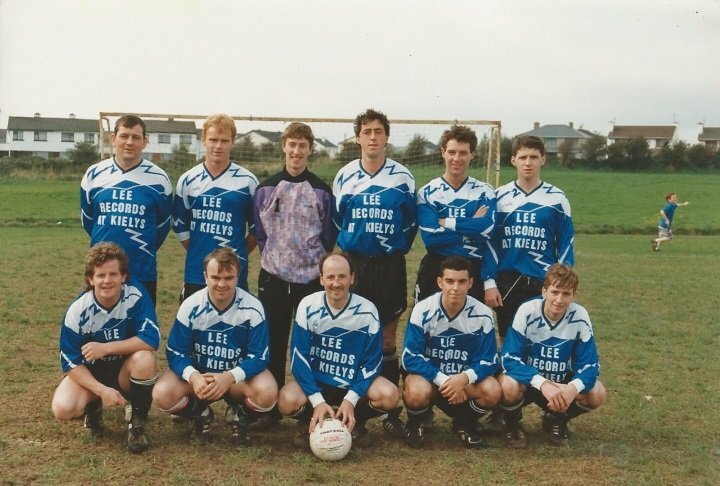 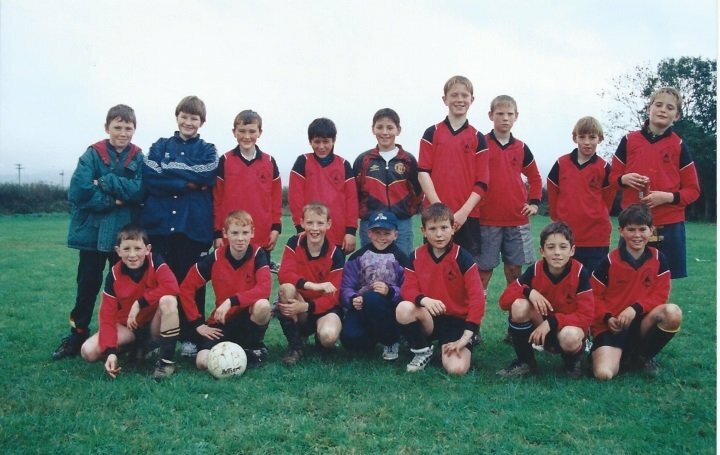 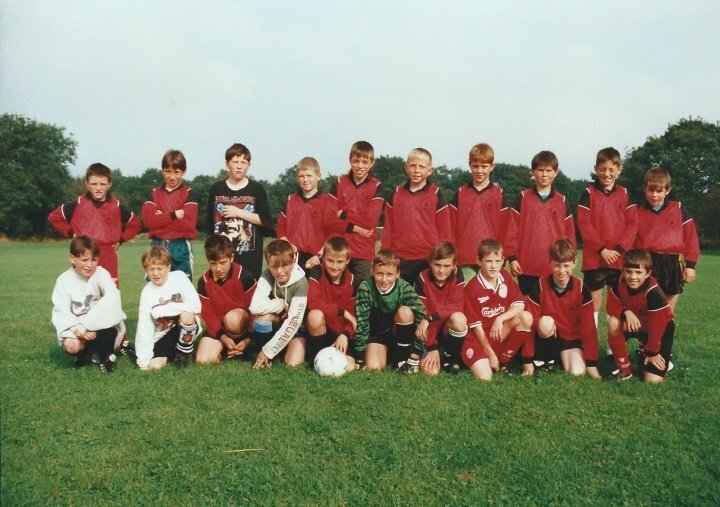 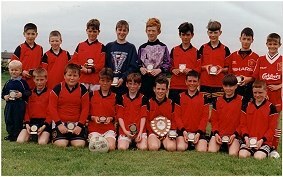 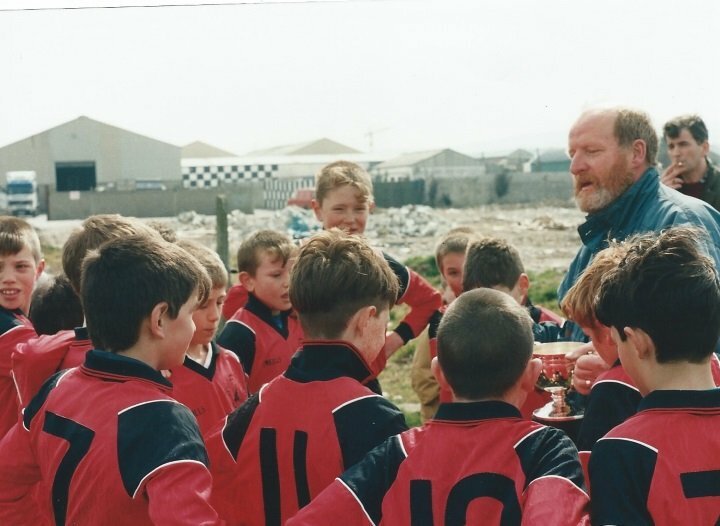 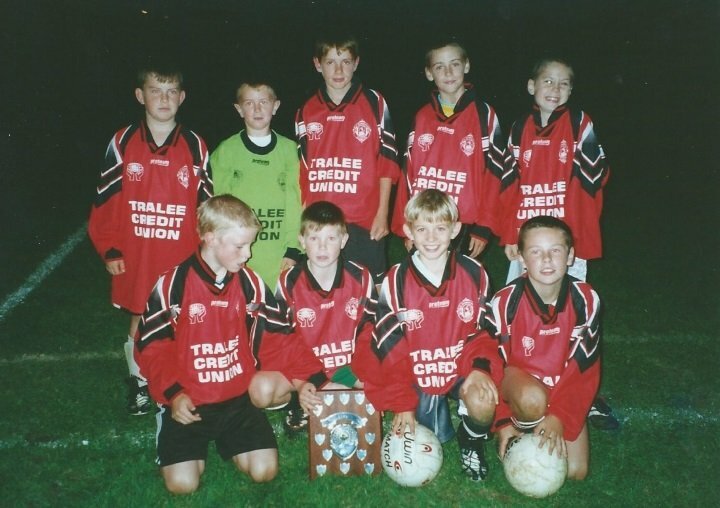 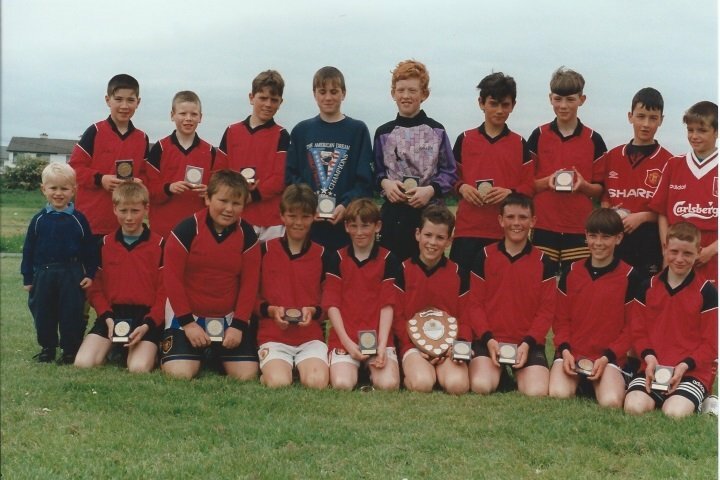 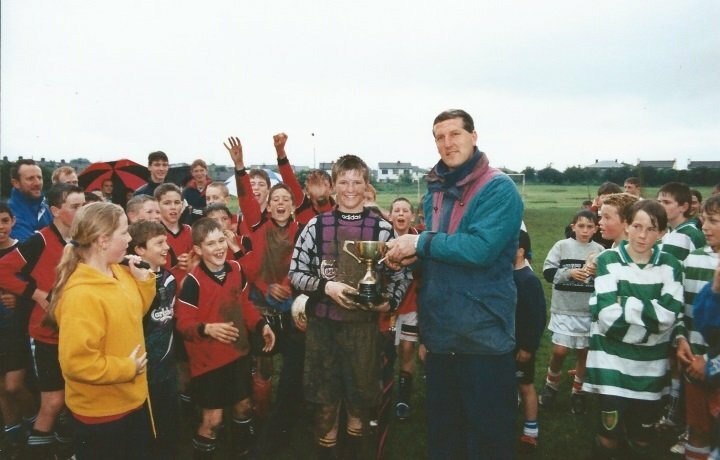 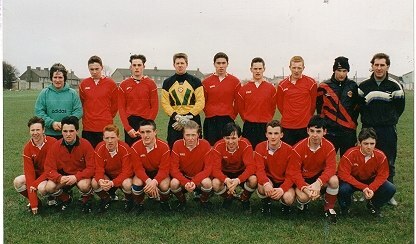 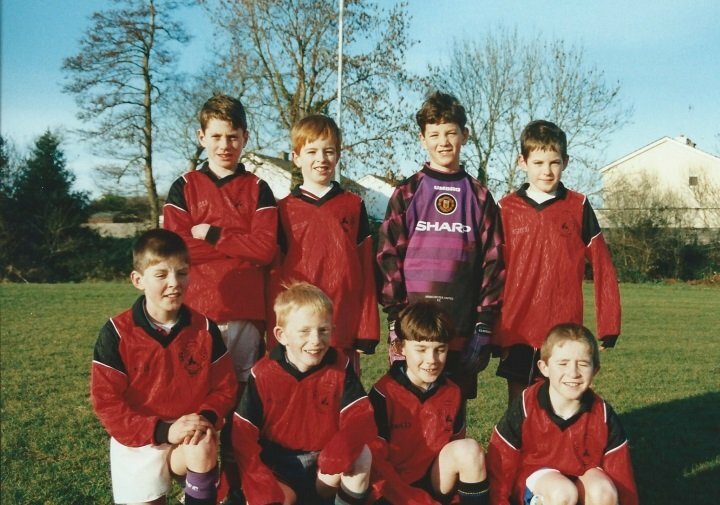 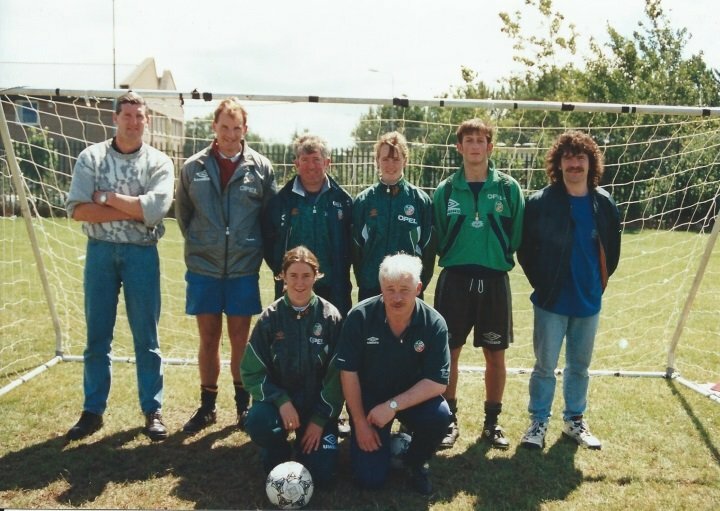 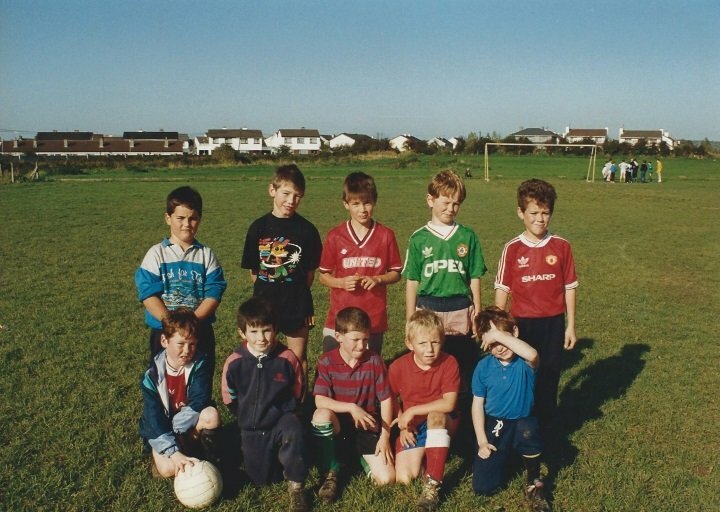 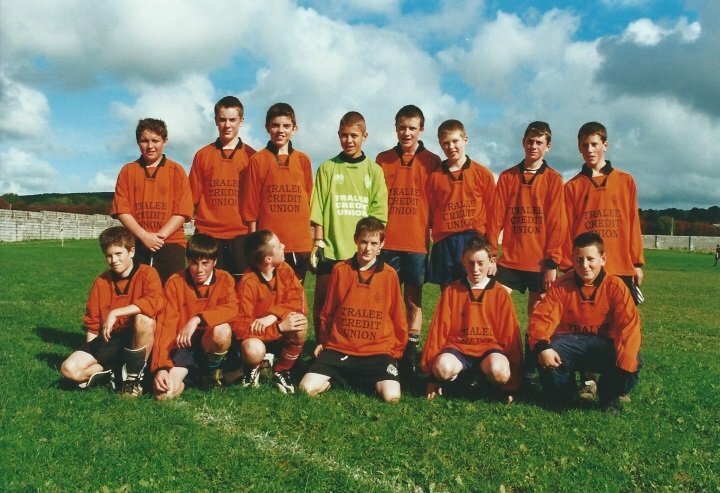 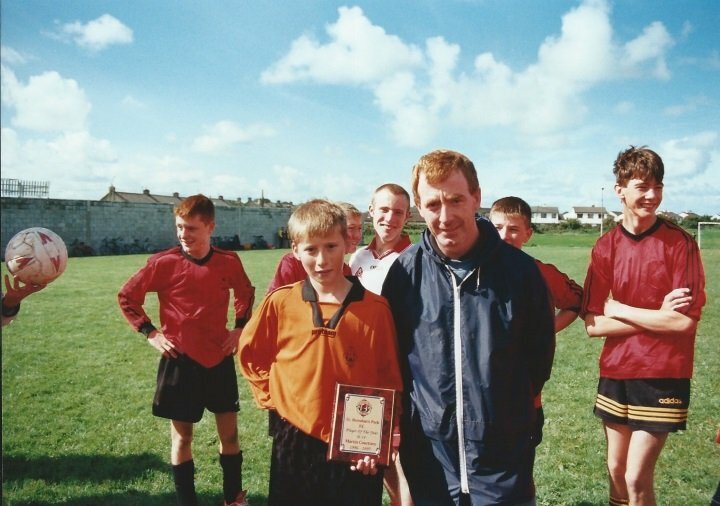 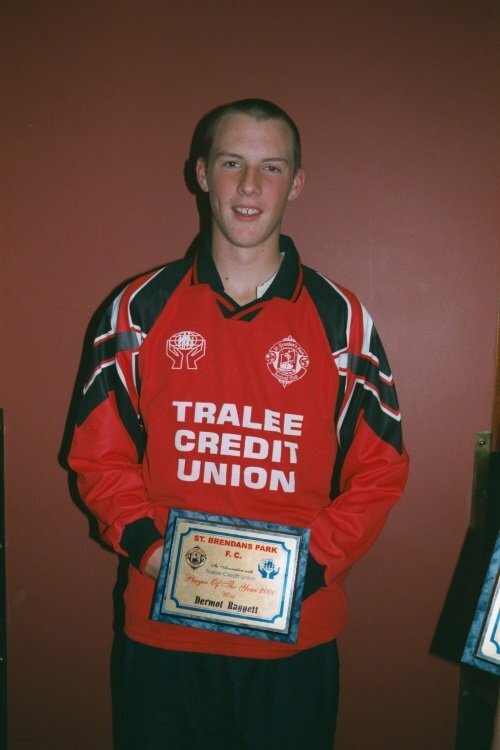 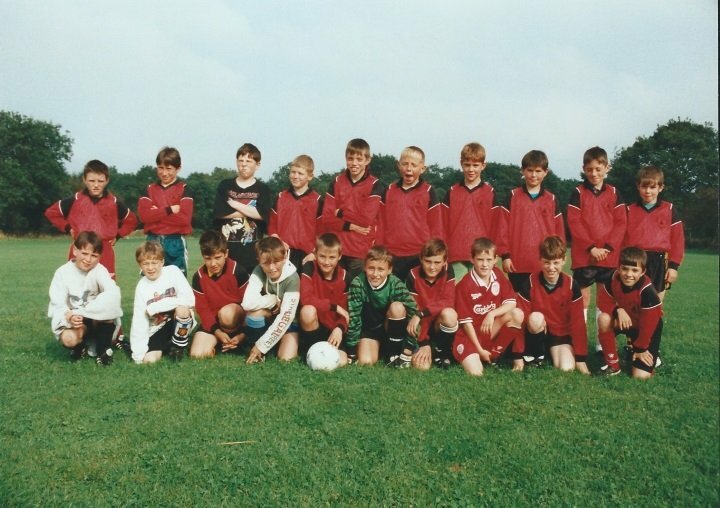 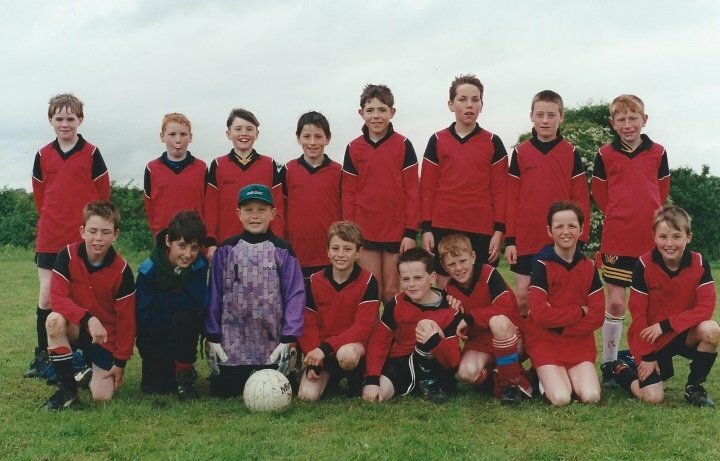 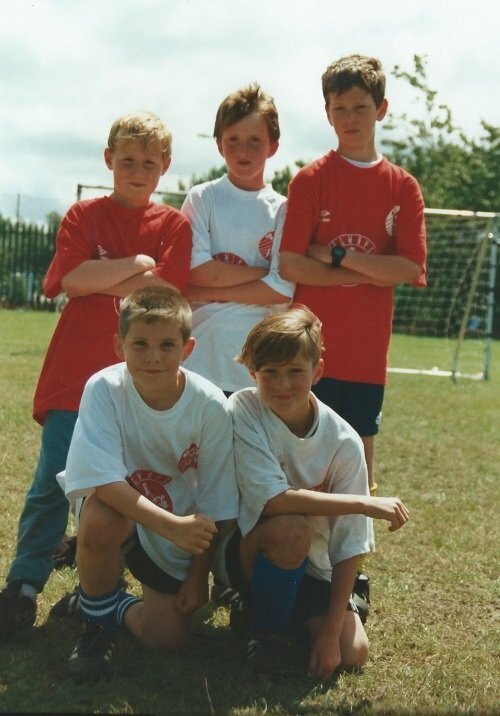 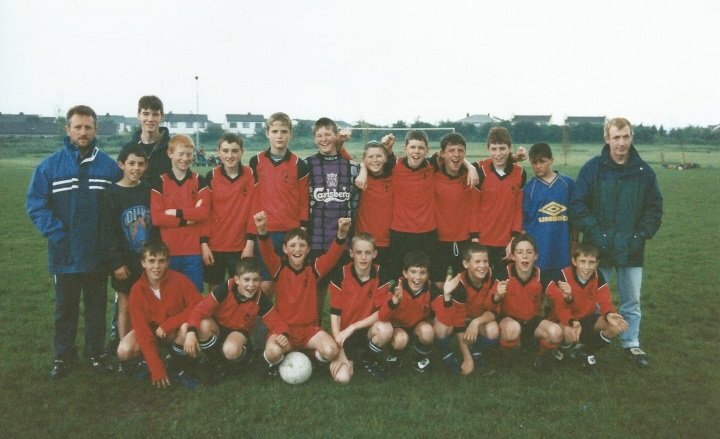 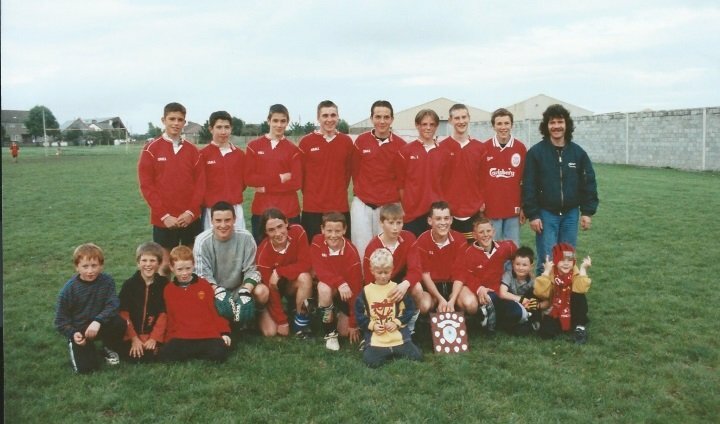 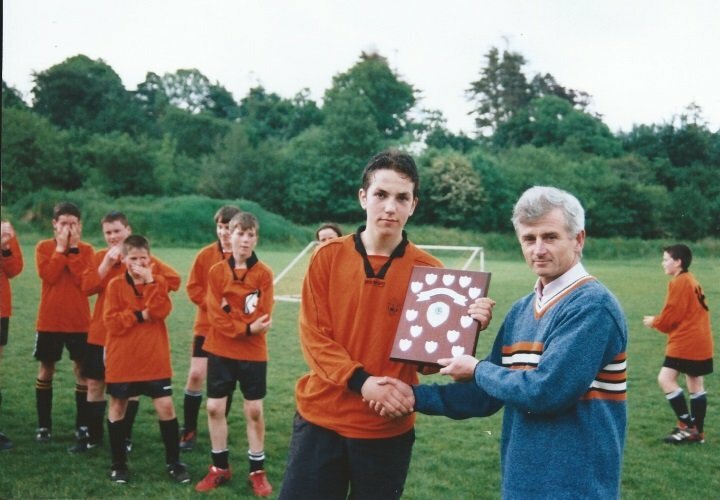 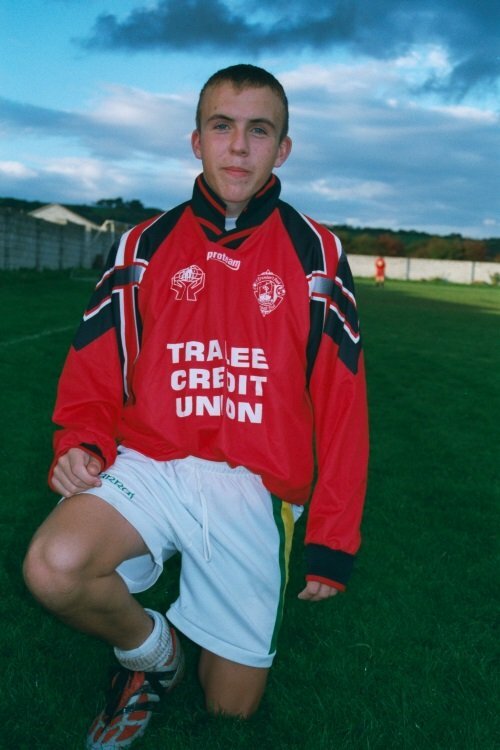 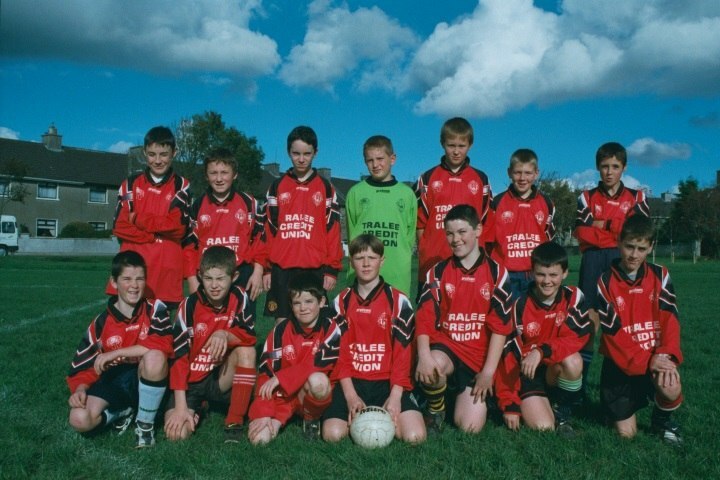 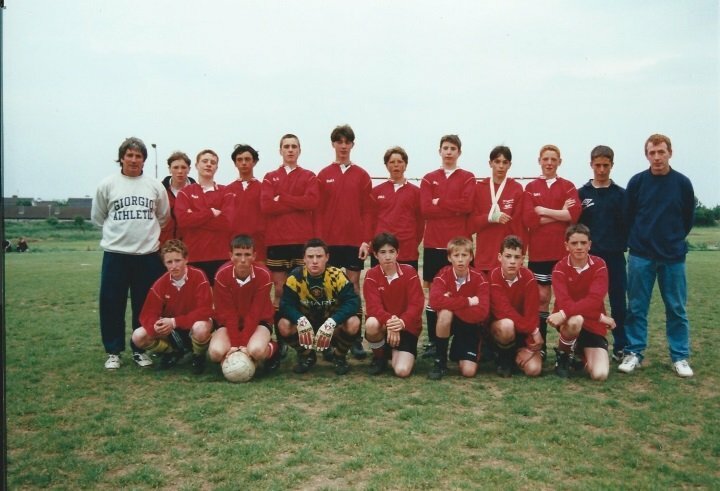 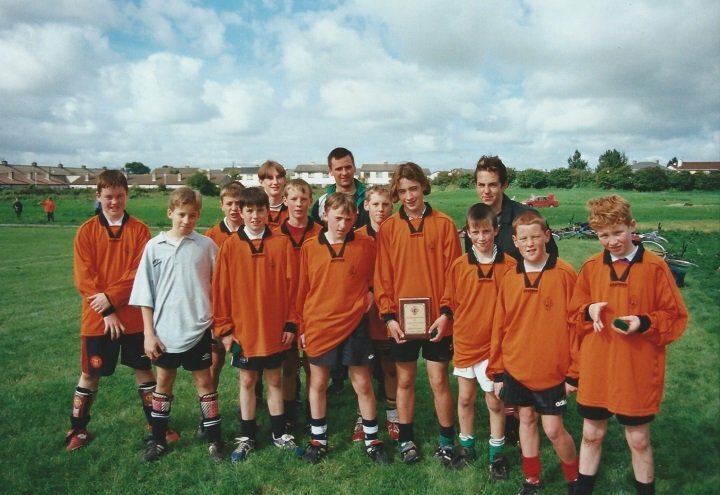 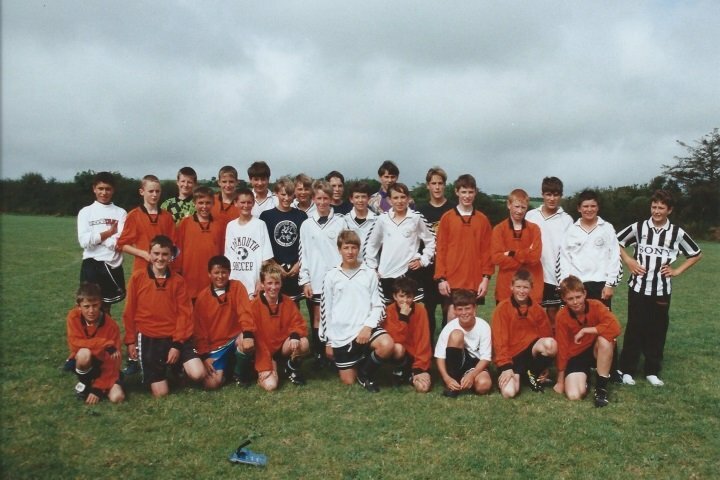 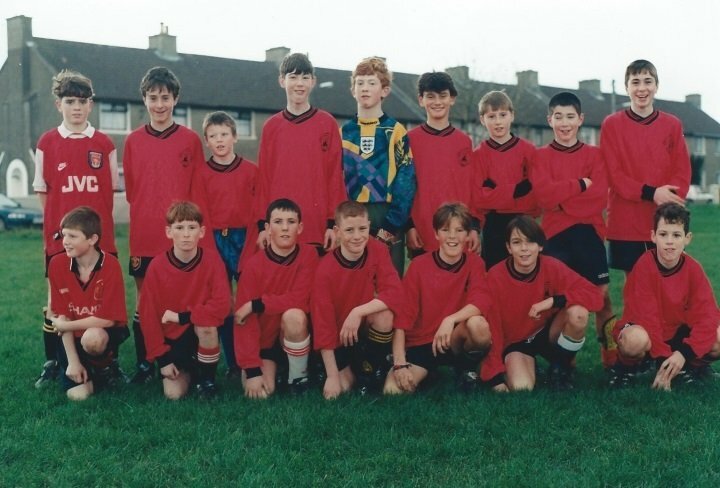 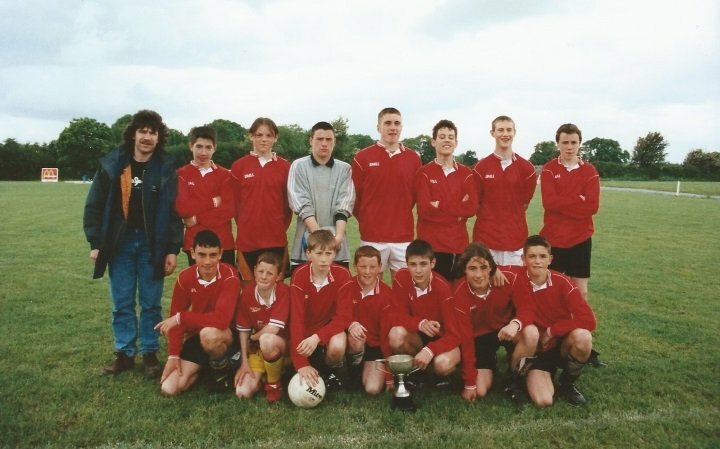 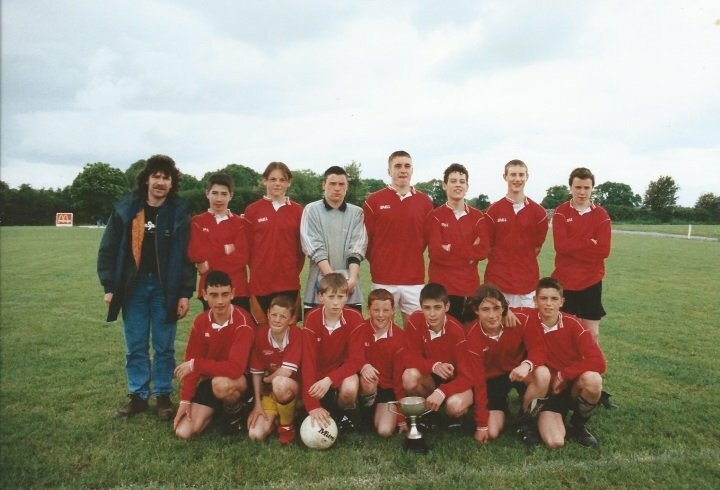 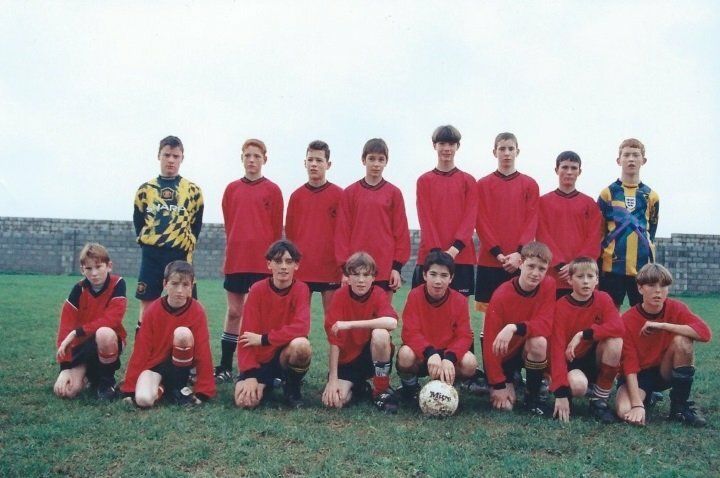 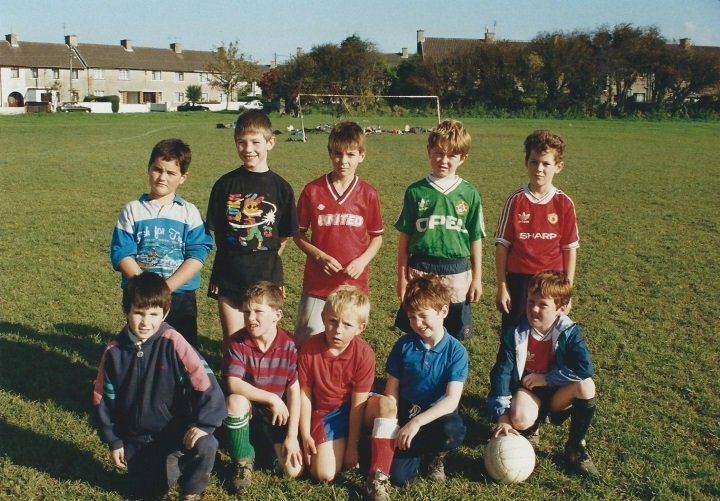 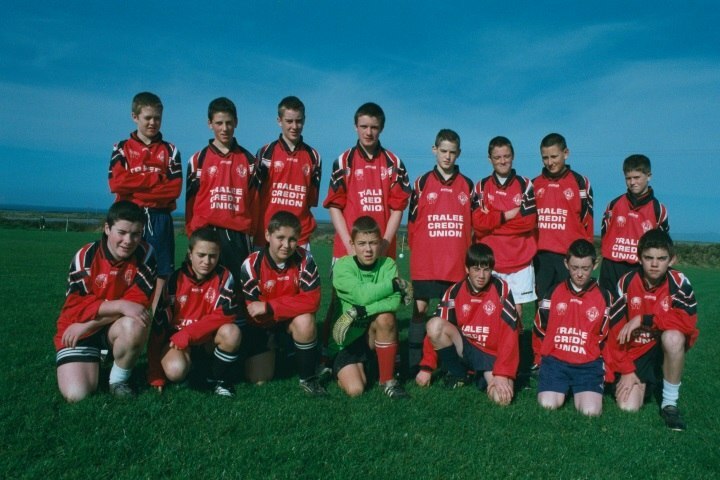 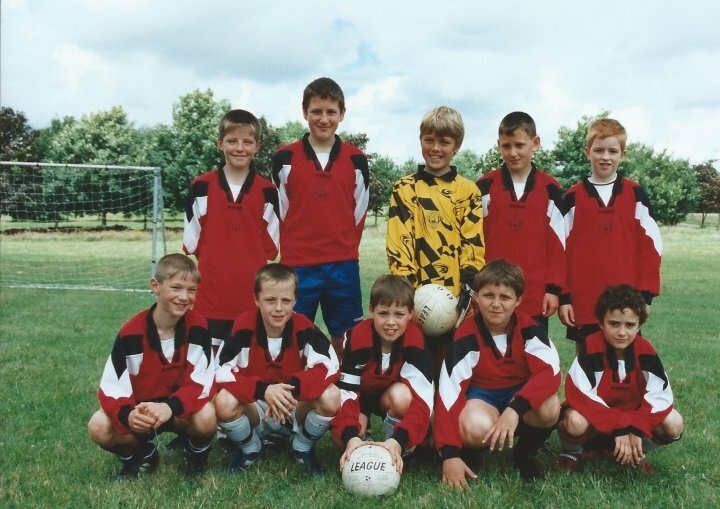 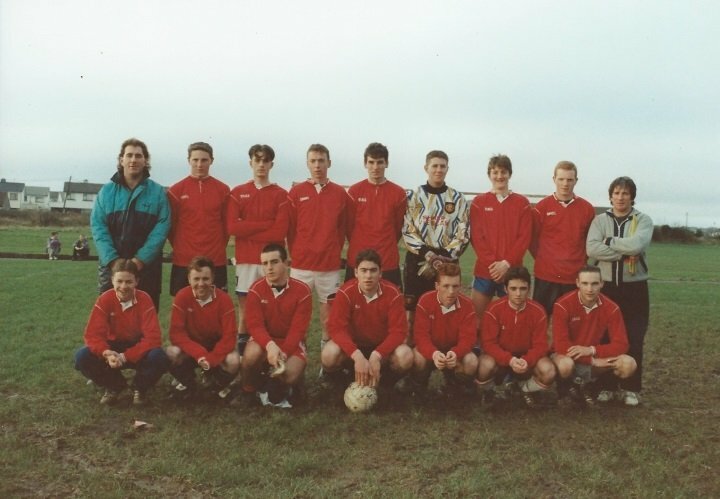 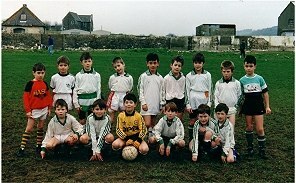 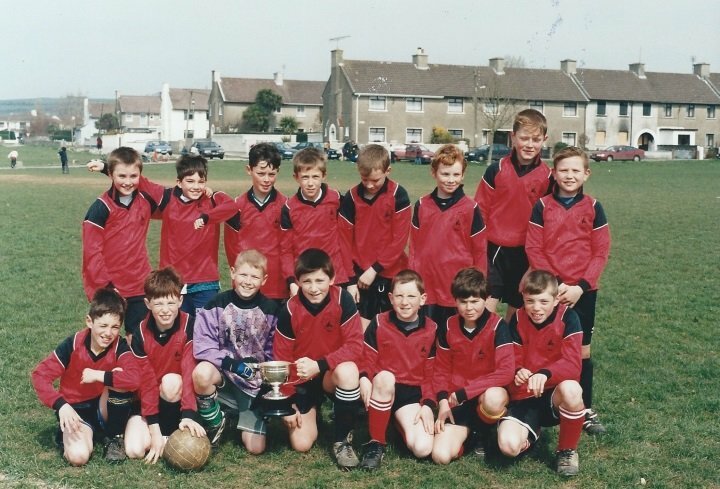 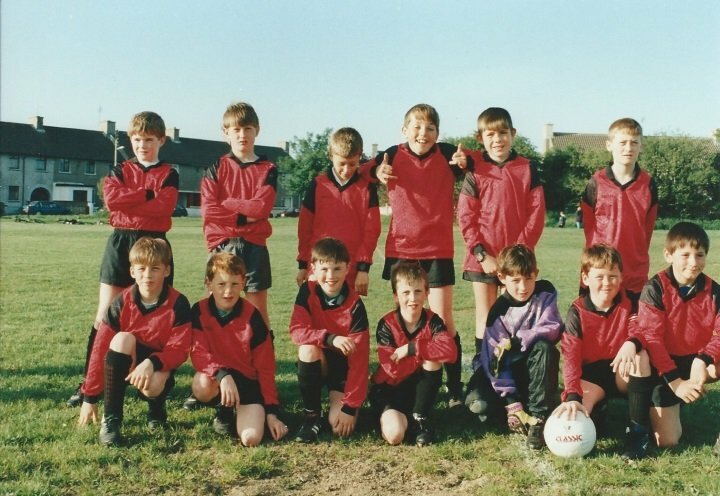 #162, St Brendans Park Fc Senior A Team 1995 . 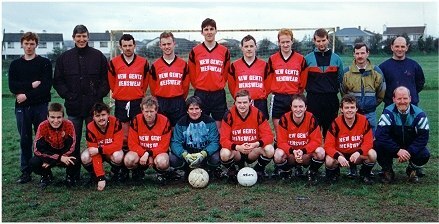 #162 , St Brendans Park Fc Senior A Team 1995 . 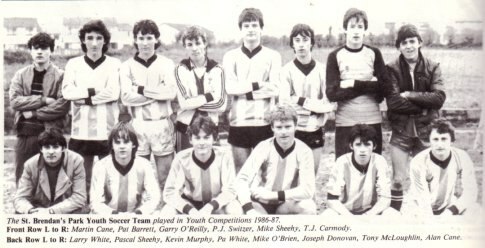 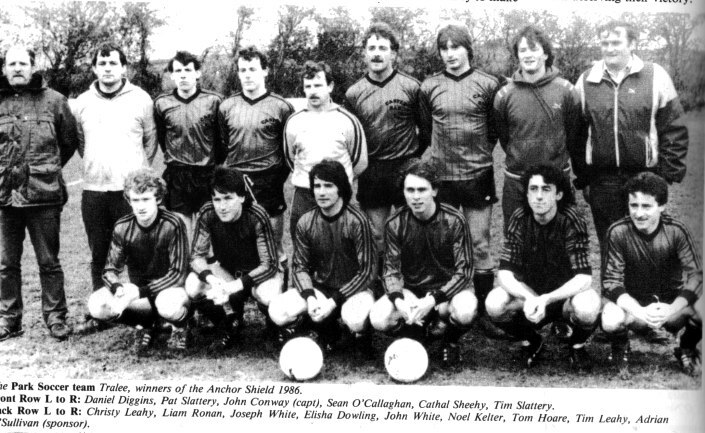 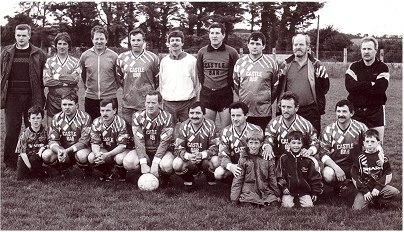 Back Row , Left to right , Christy Leahy , Ernie Lehane , Richie Greer , Danny Diggins, Kevin o Regan , Declan Sweeney , John o Flynn , Denis Sayers , Michael Clifford . 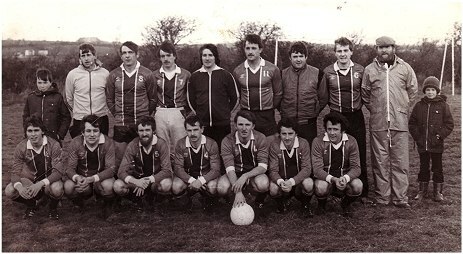 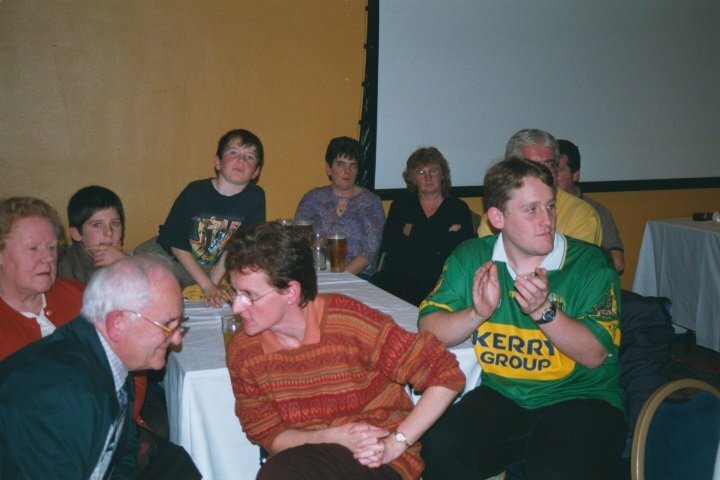 Front Row , PJ Houlihan , Peter Williams , Colin Daly , Owen Moynihan, Mike McCannon , Karl o Brien . 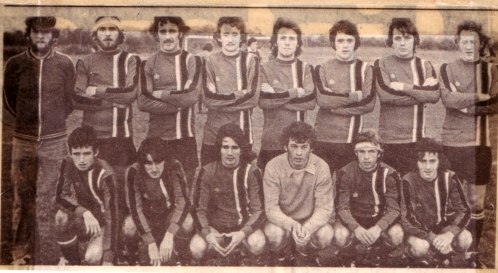 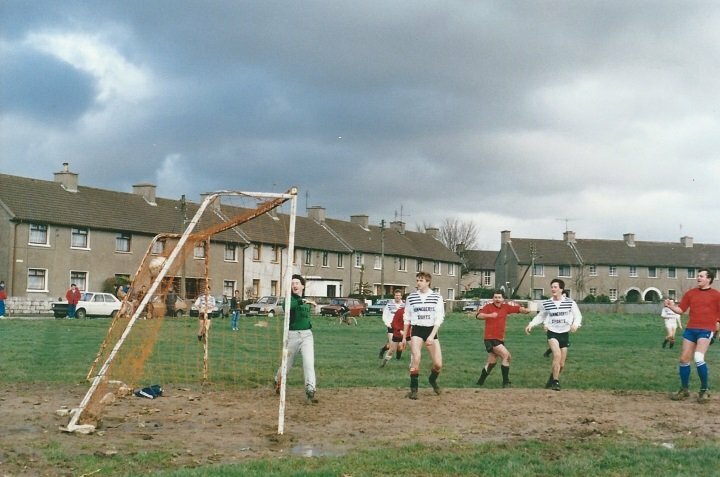 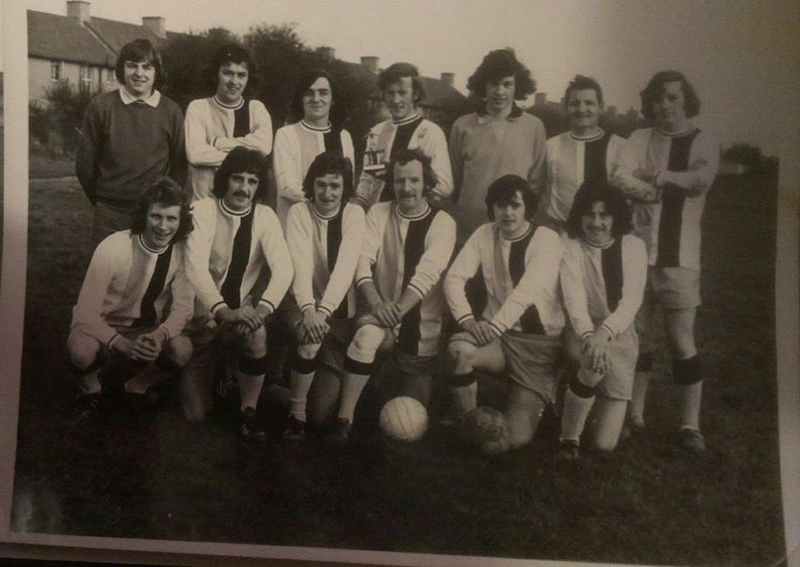 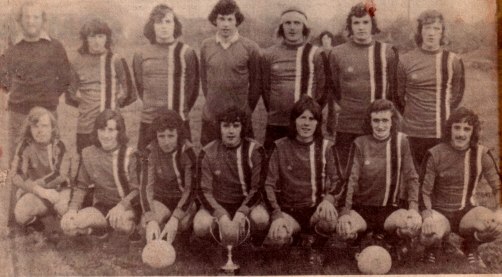 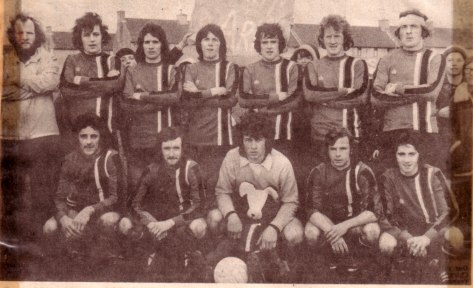 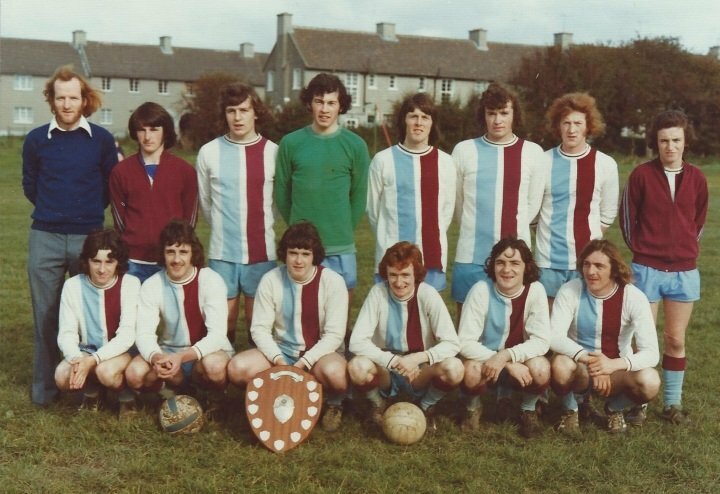 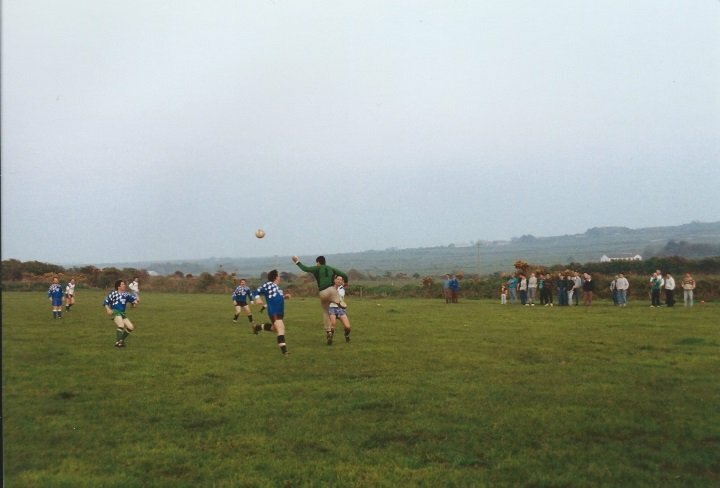 #164, St Brendans Park Fc 1974 , Back (L to R) Tommy Sugrue, Fintan Lawlor, Brian Fitzgerald, Sean Callaghan, Teddy Brick, Larry White, Liam Ronan. 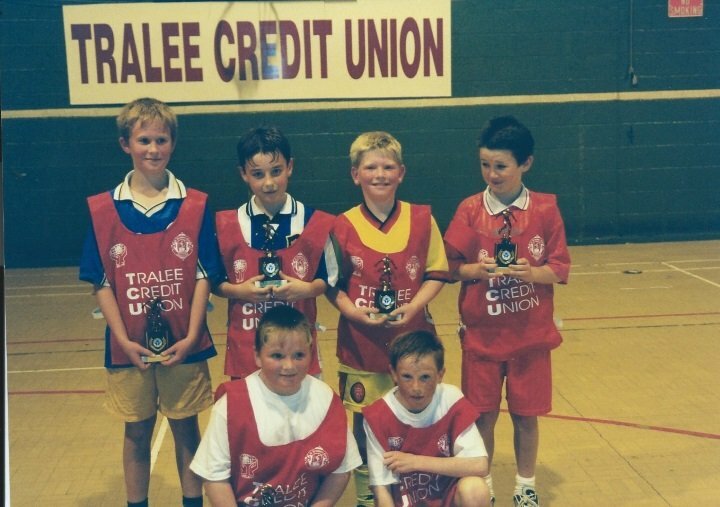 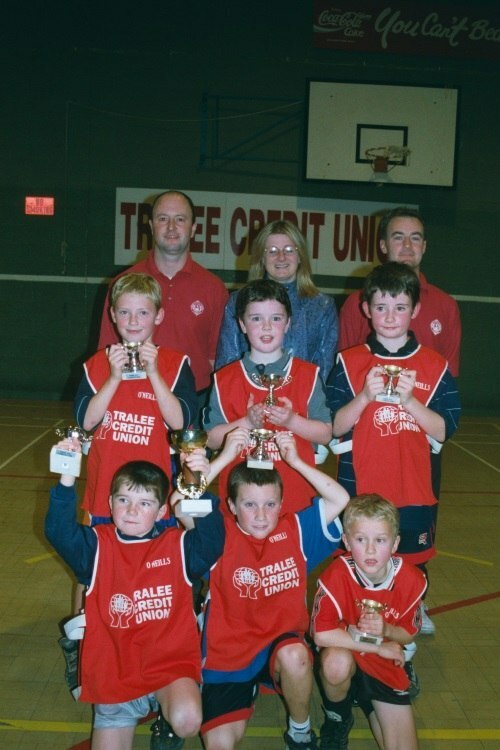 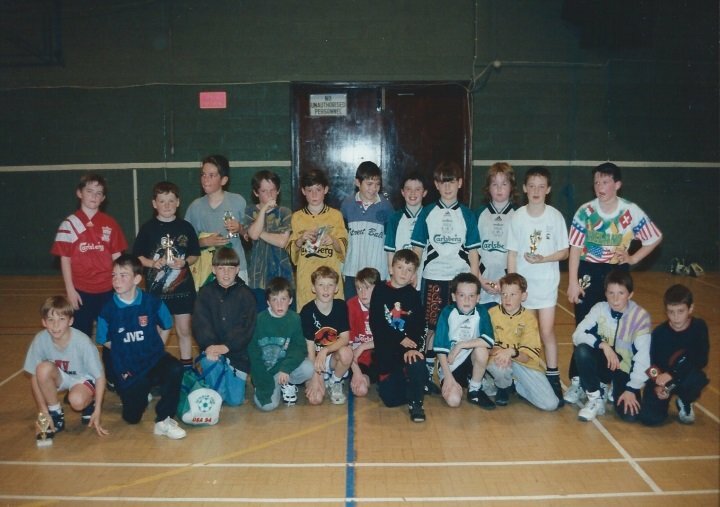 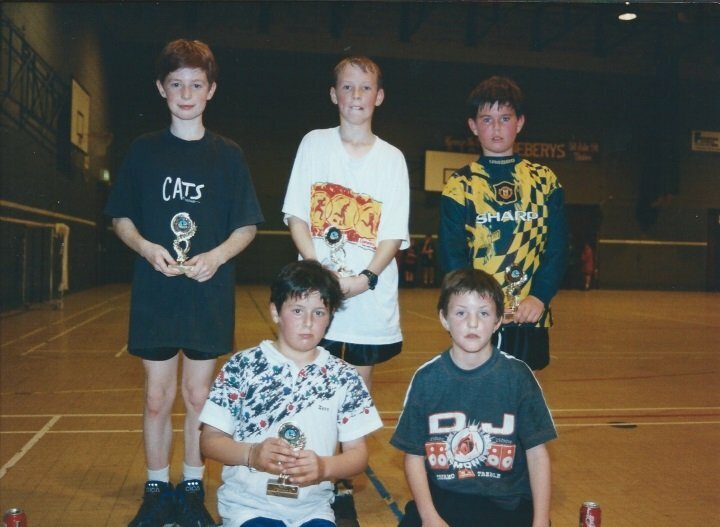 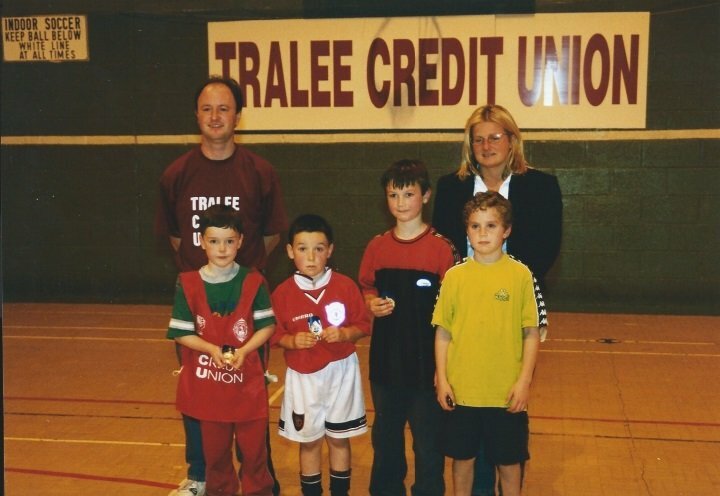 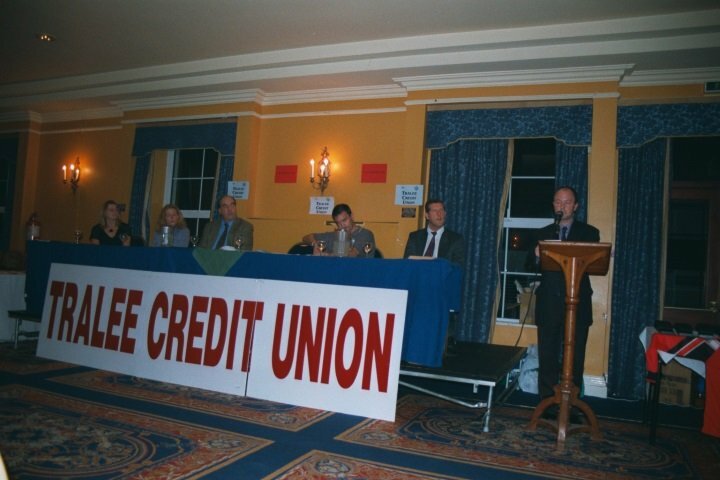 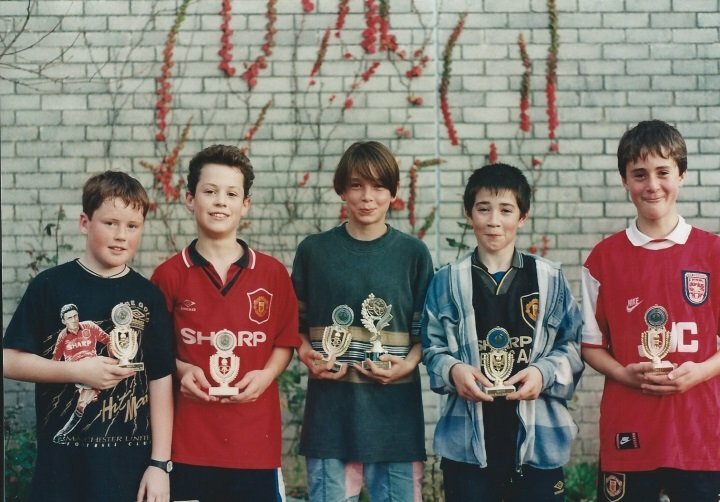 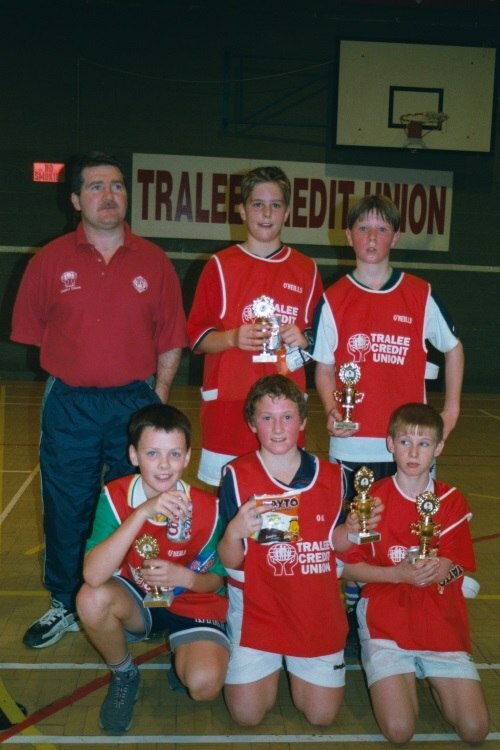 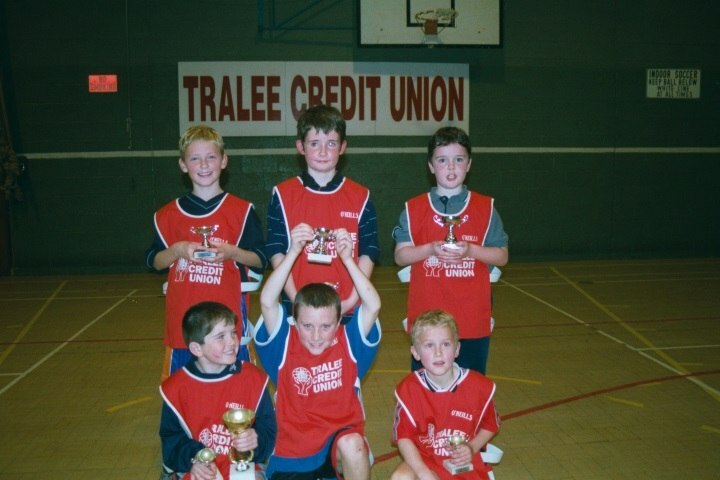 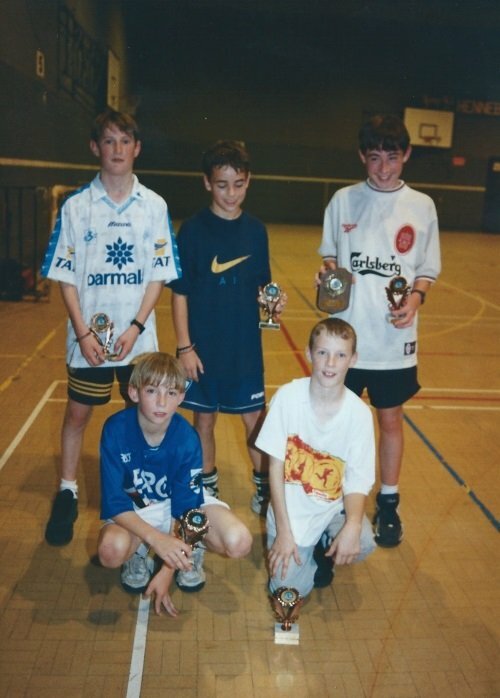 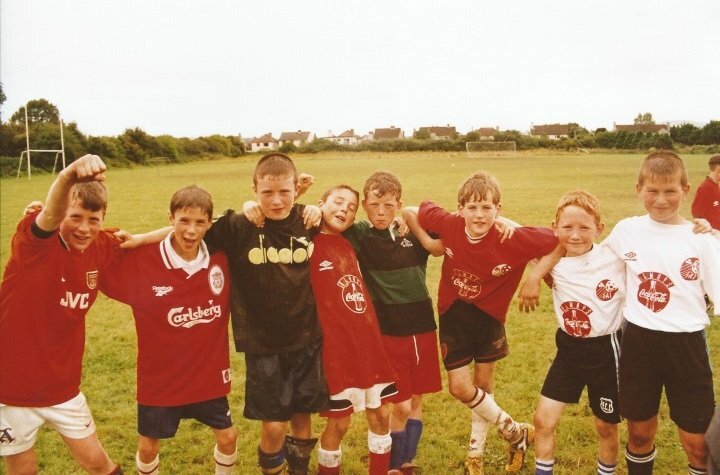 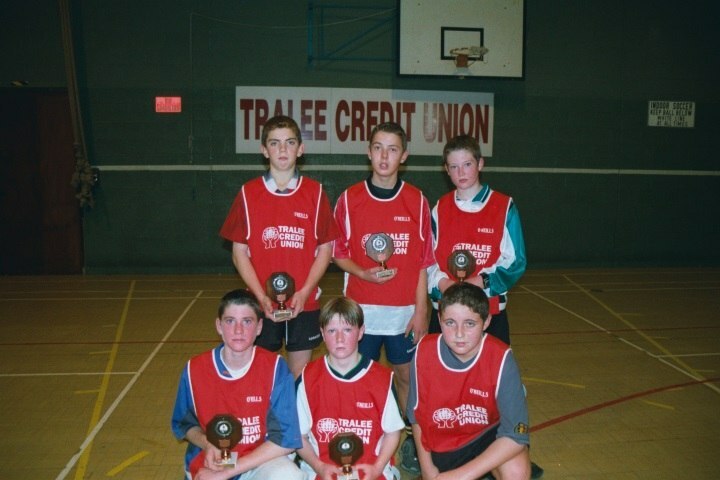 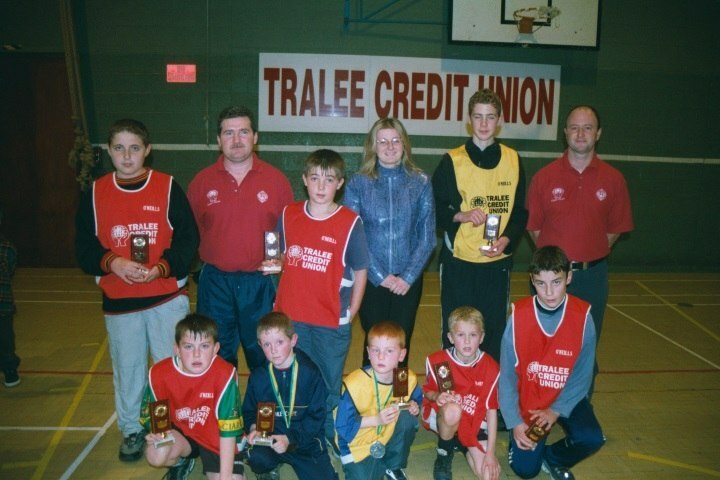 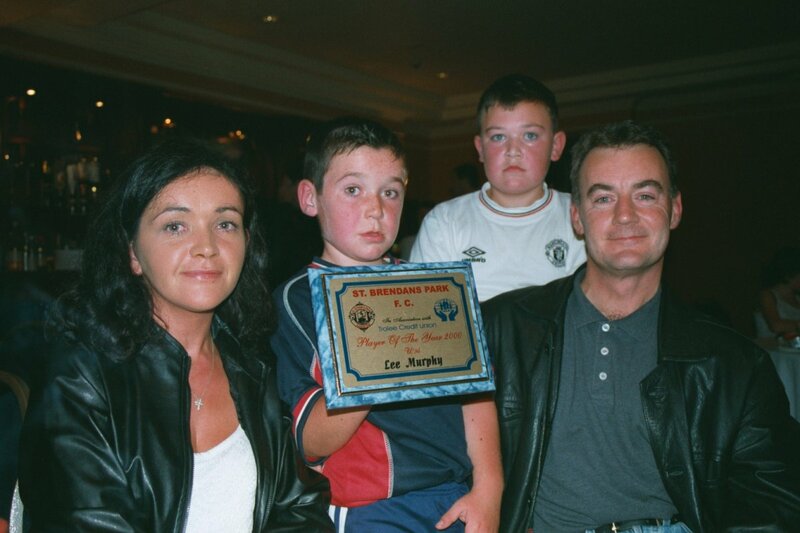 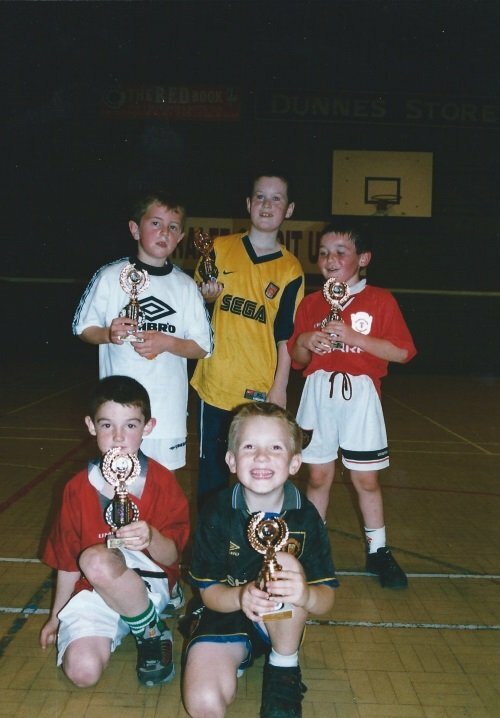 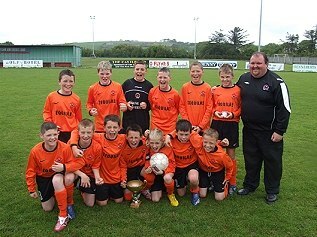 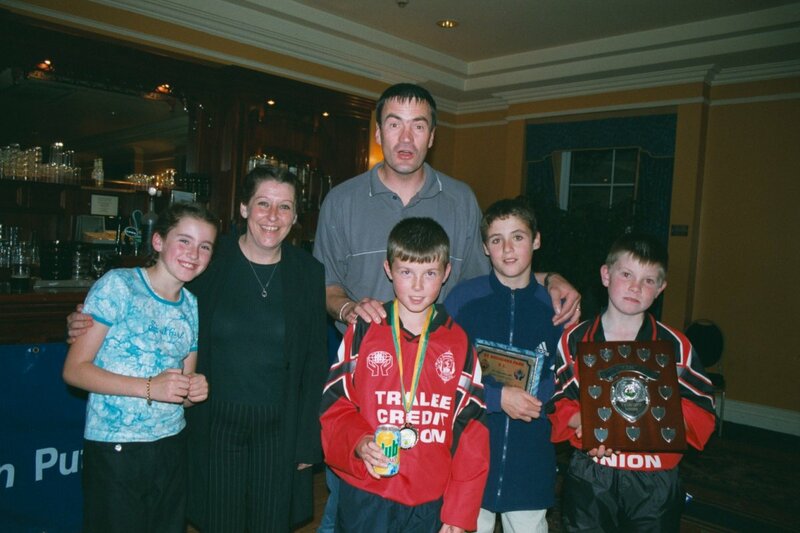 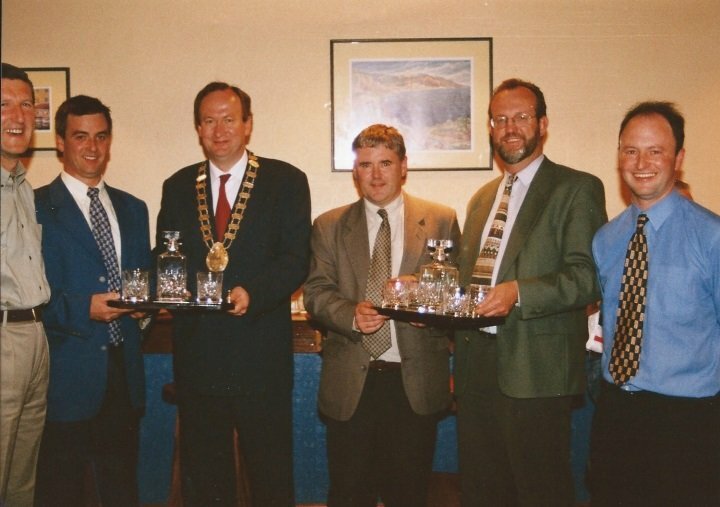 Front; Timmy Sheehan, Noel Kelter, David Diggins, Christy Leahy, John Dowling, Tim Slattery. 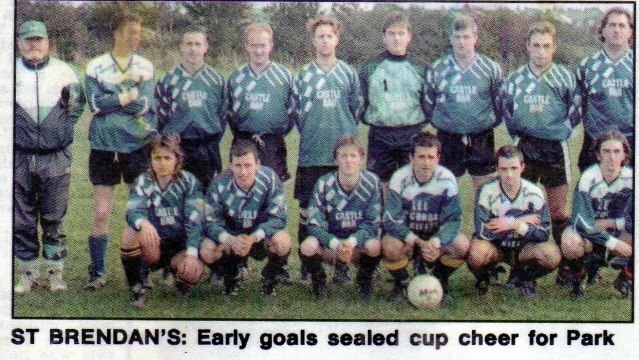 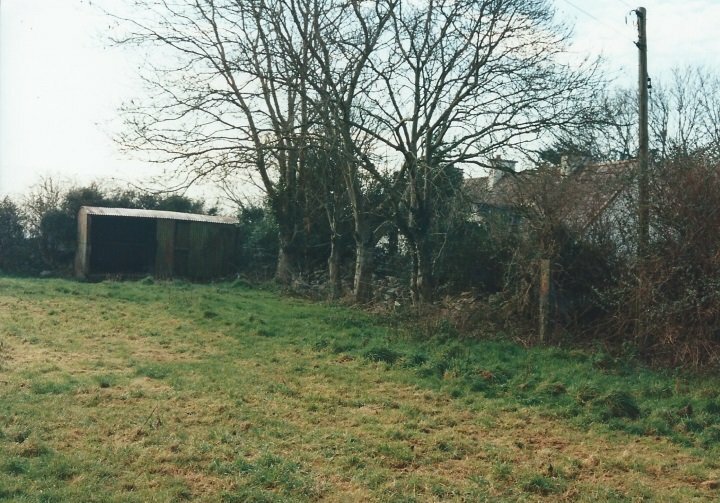 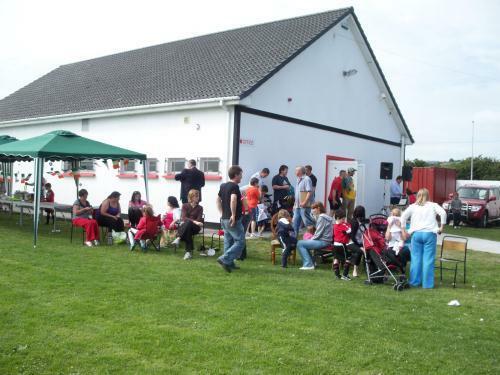 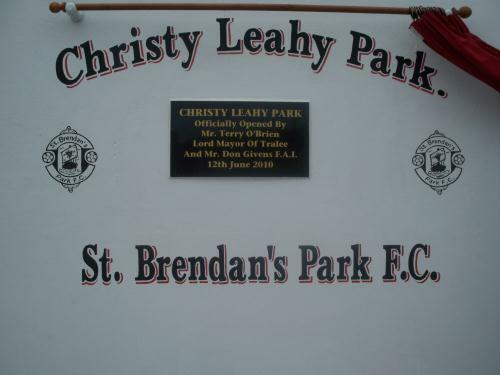 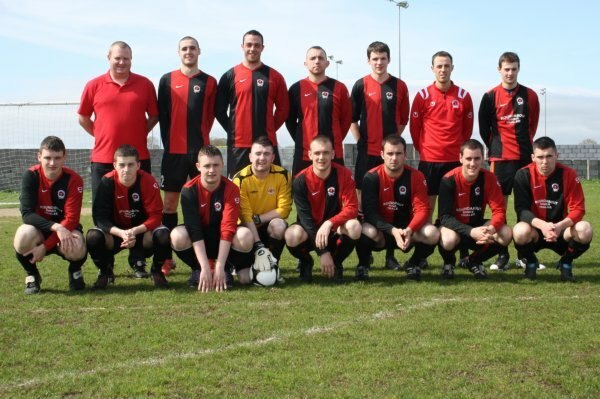 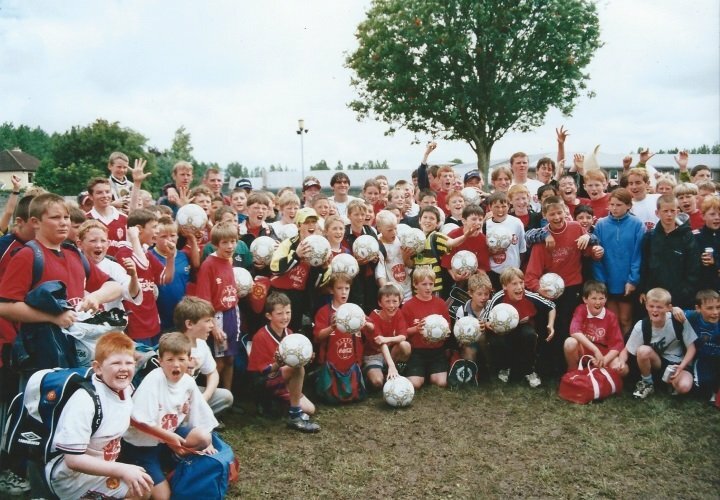 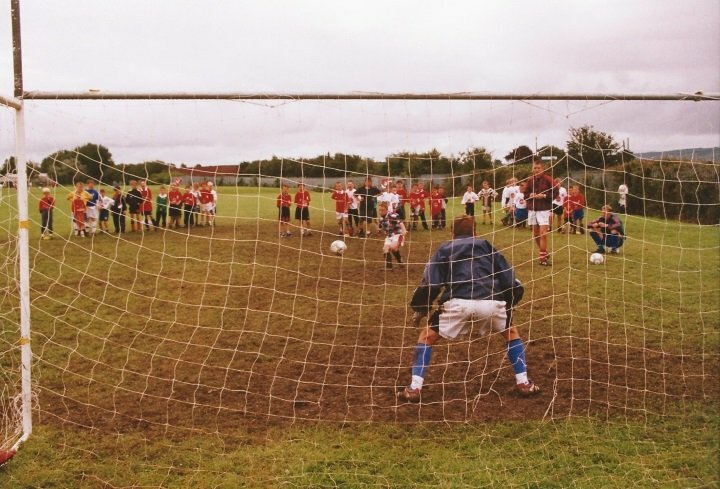 #165, St Brendans Park Fc Over 35 Team 1996 . 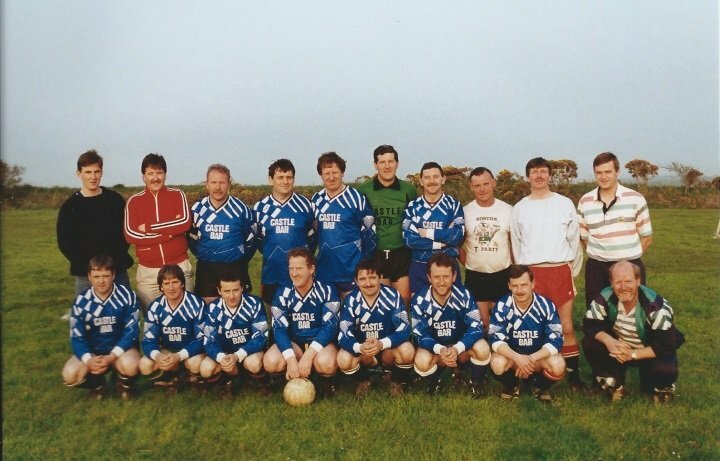 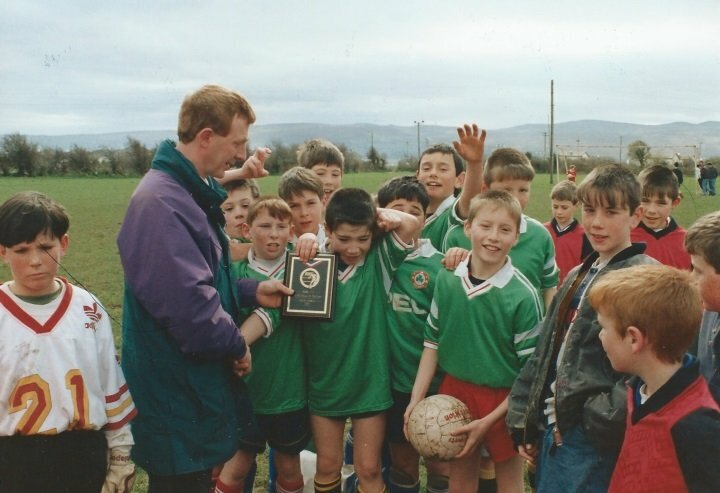 Back Row : Tommy McLoughlin(RIP), Johnny walker, Damien McLoughlin, Colm McLoughlin, Mike Duggan, JonhJoe Naughton (RIP), Charlie McMahon and Christy Leahy. 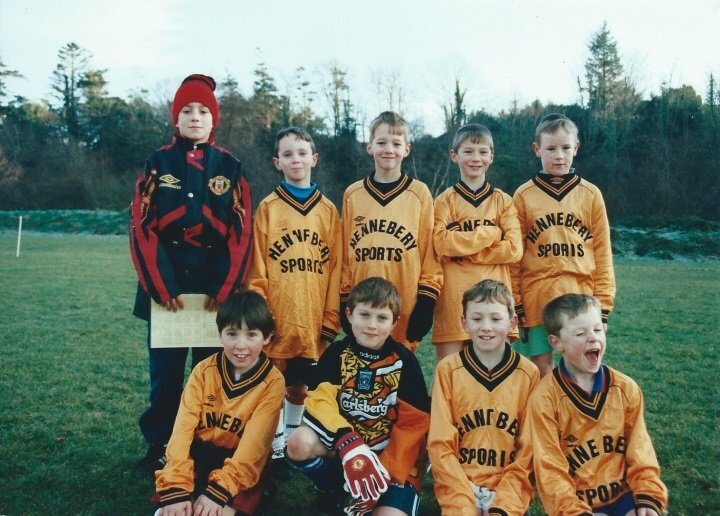 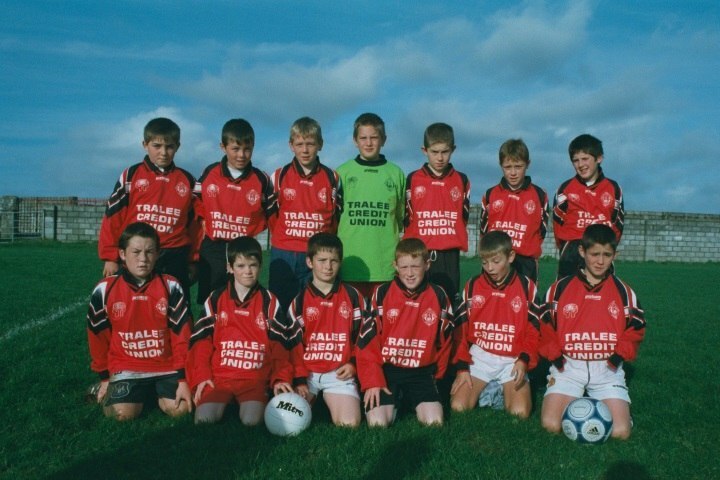 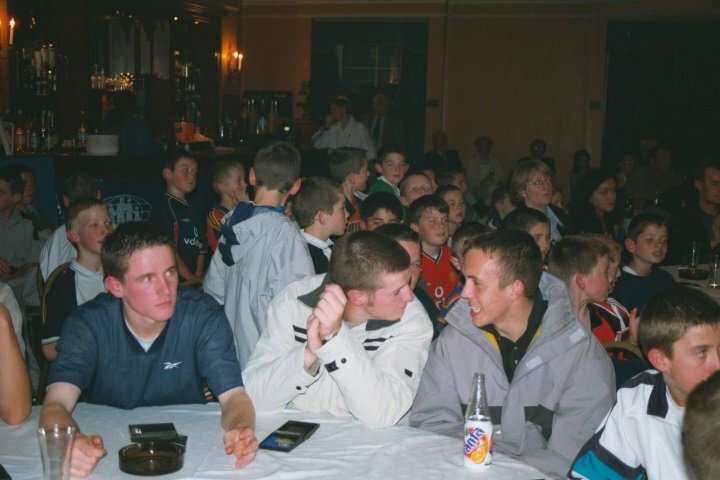 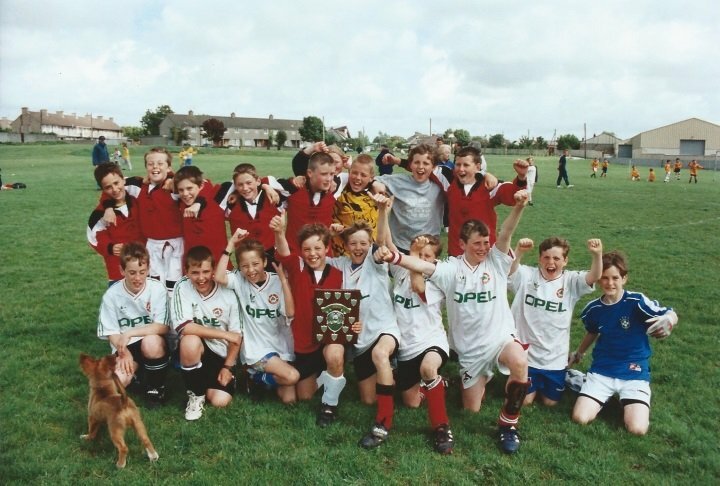 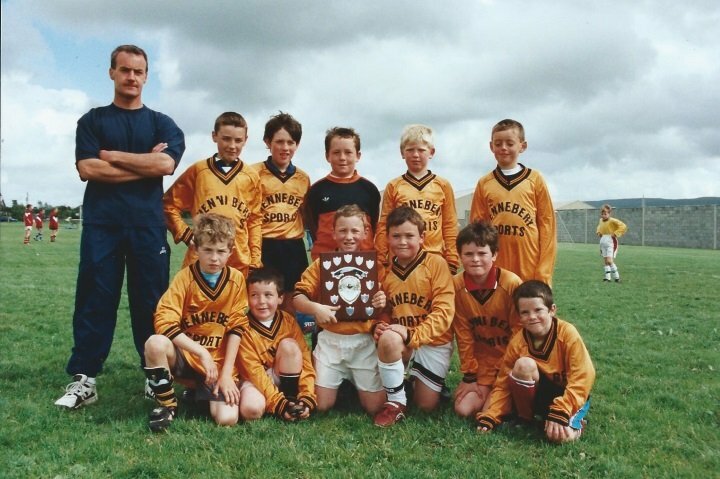 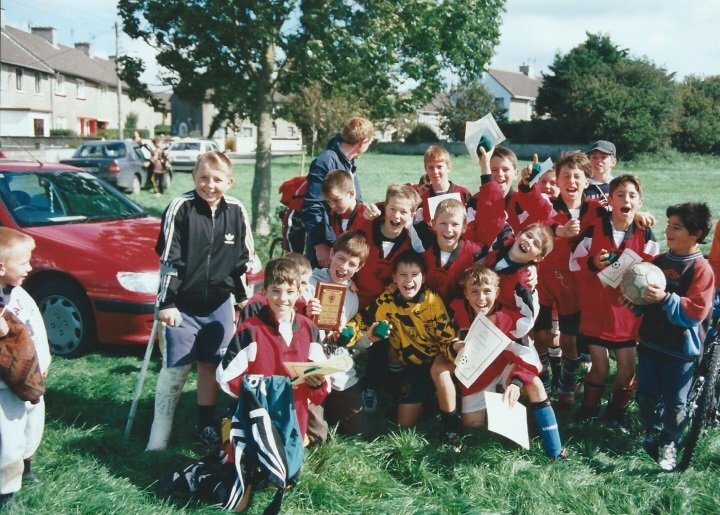 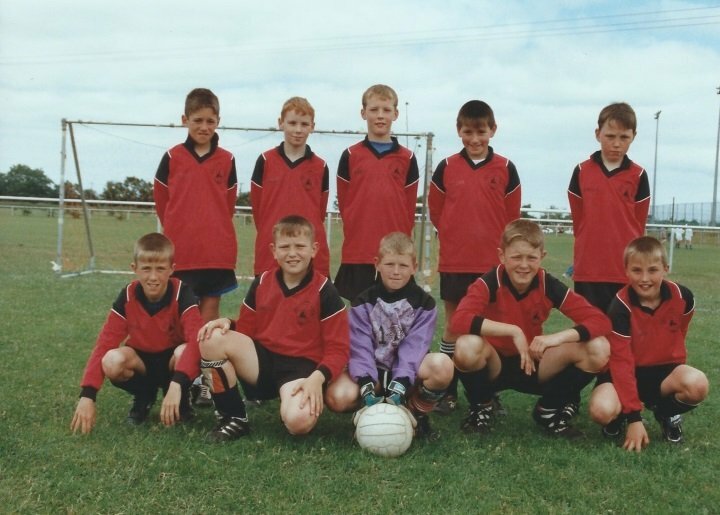 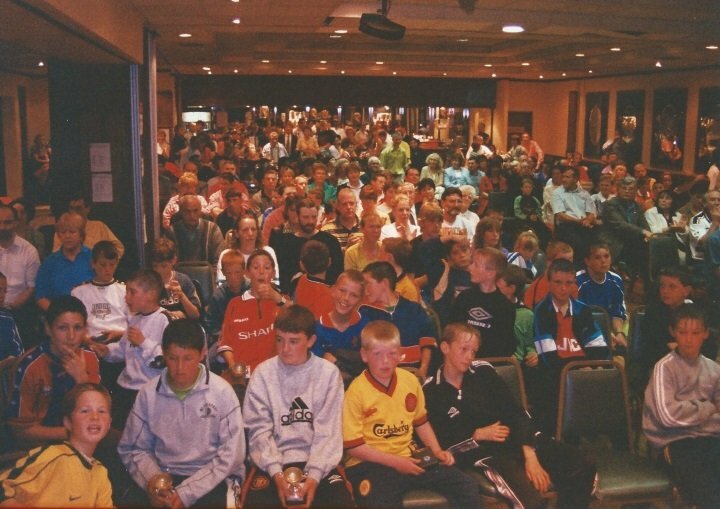 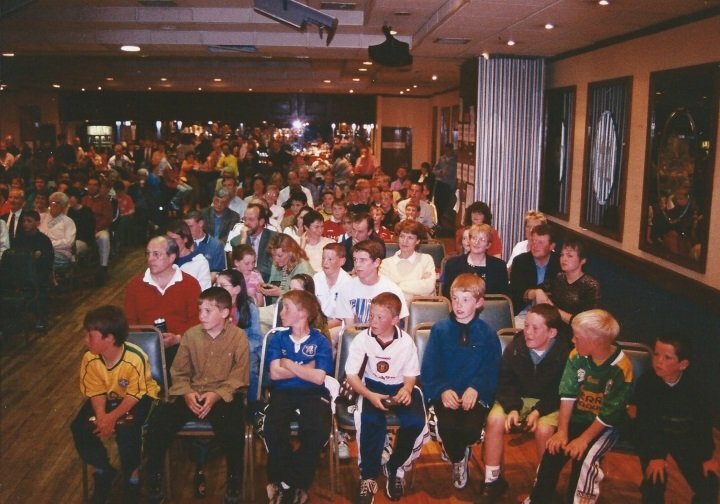 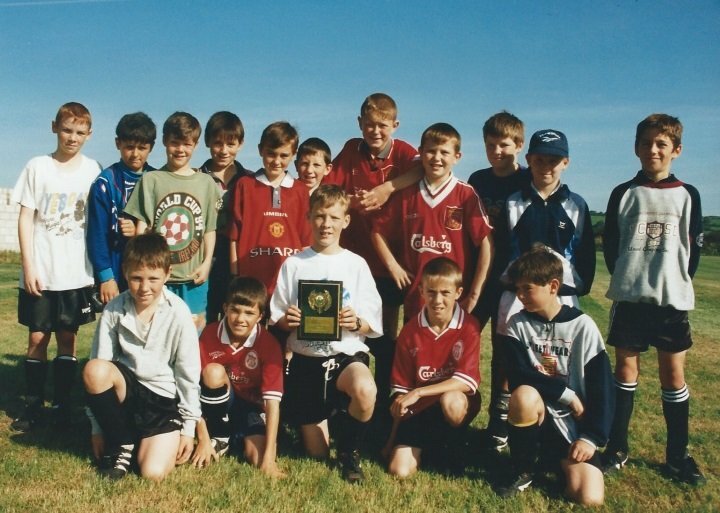 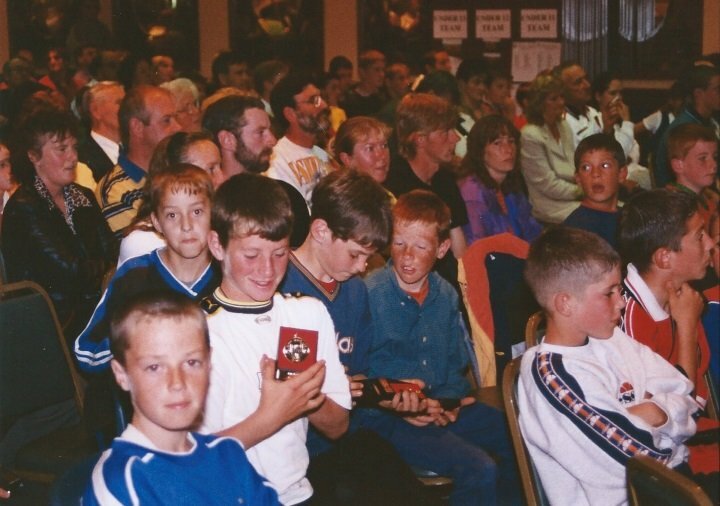 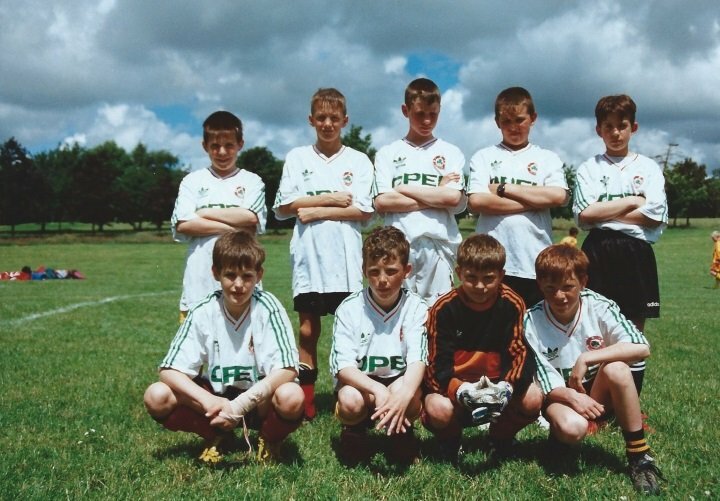 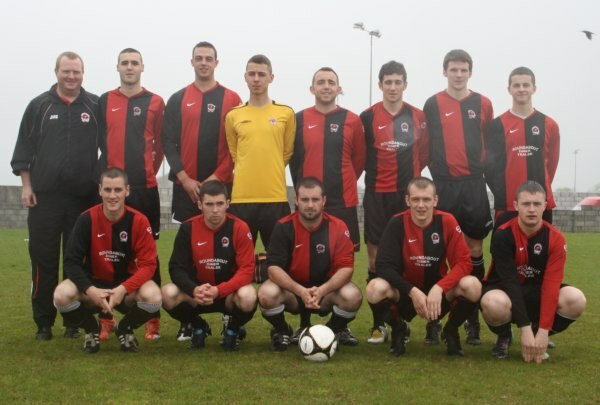 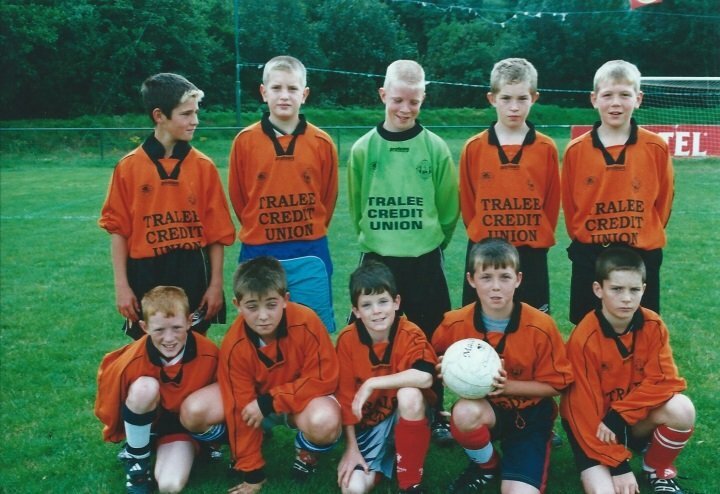 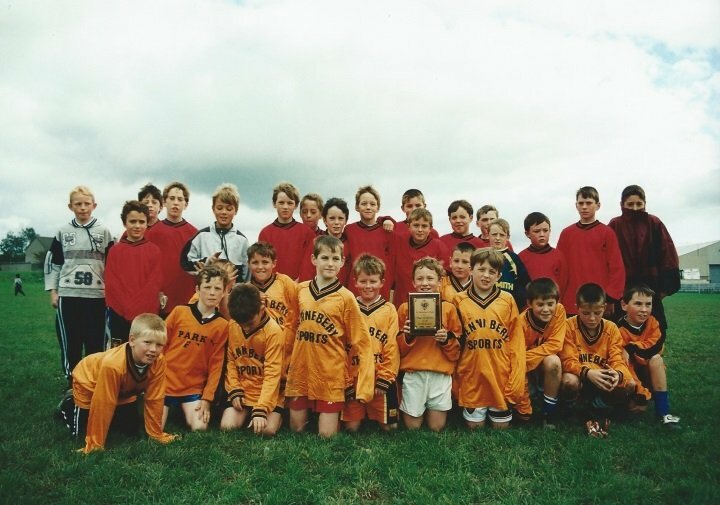 Front Row; Barry Duggan, Robert Duggan, Liam Ronan, Mike Dennehy, Joe Mulcahy, Tiger Slattery, John Cullinane. 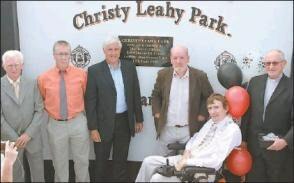 #315 , Gerry Ryan & ?